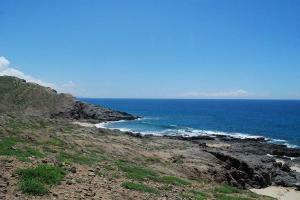 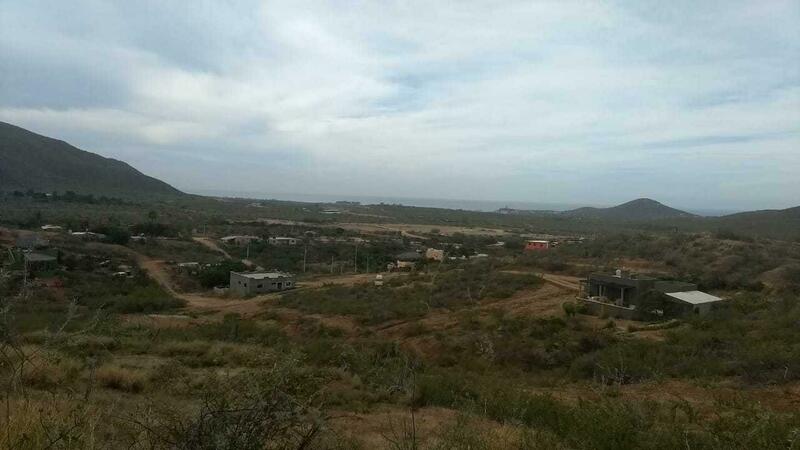 Description: Excellent property to develop a hotel, condominiums, villas or private homes. 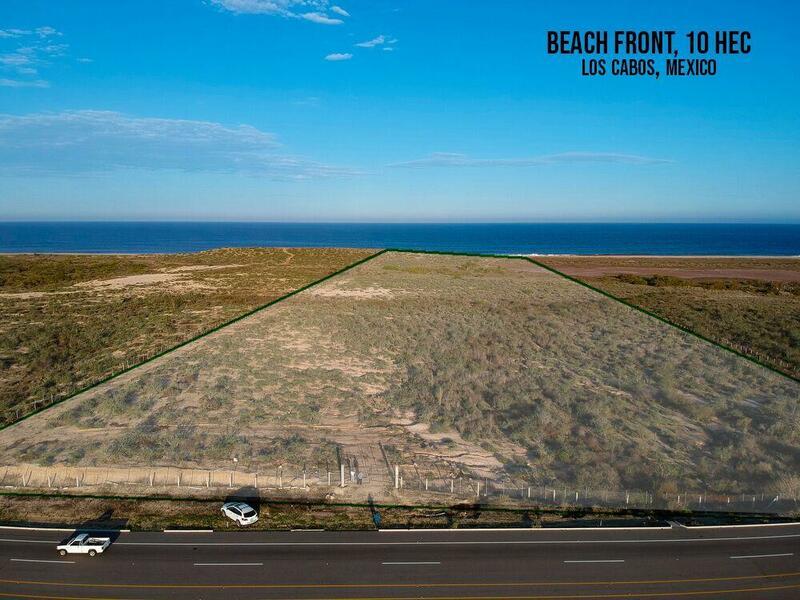 This location is perfect for big or small development. 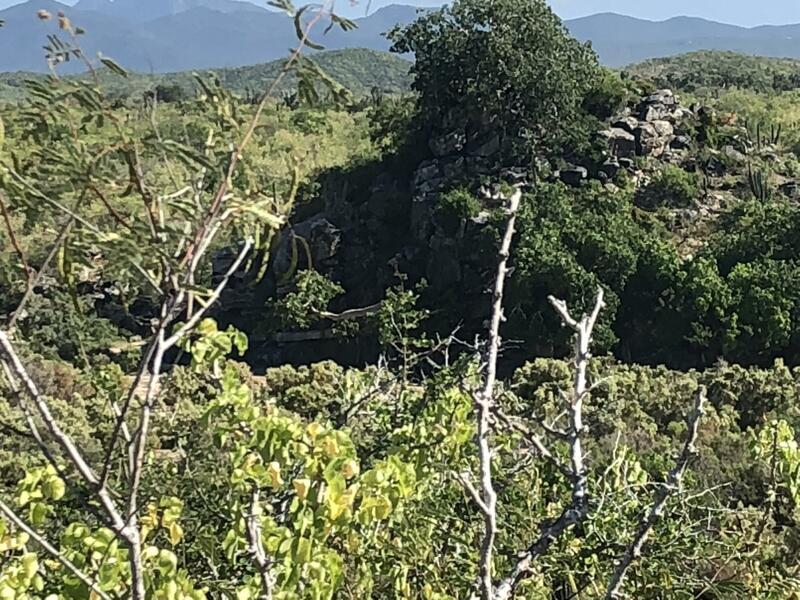 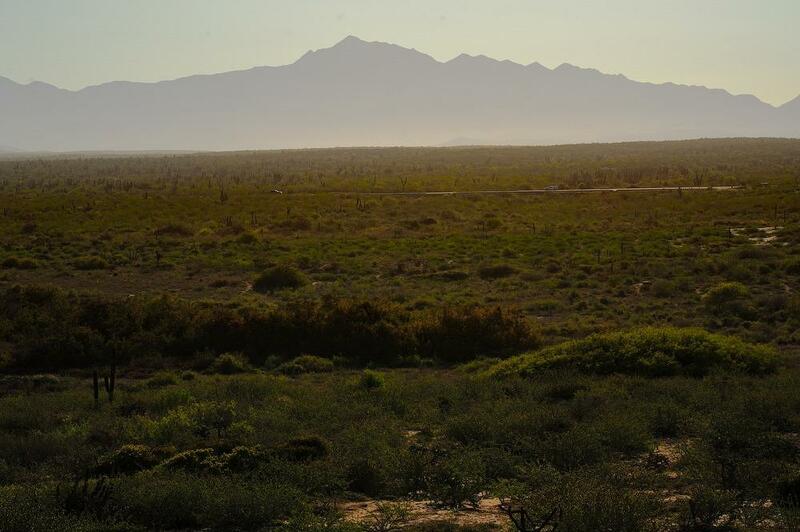 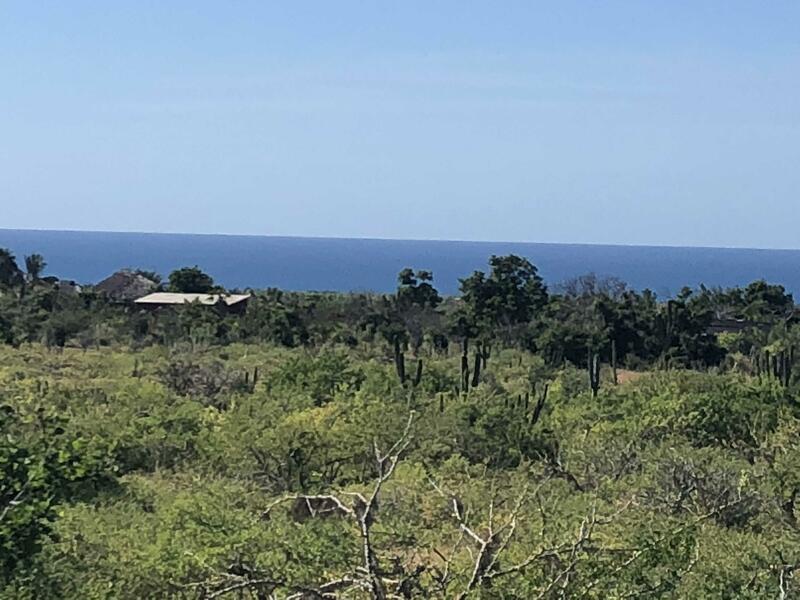 The sunset in this area are the most spectacular ones.If you are looking for a larget property, there are few more lots next to this one: we can get a total of 6 hectareas all together. 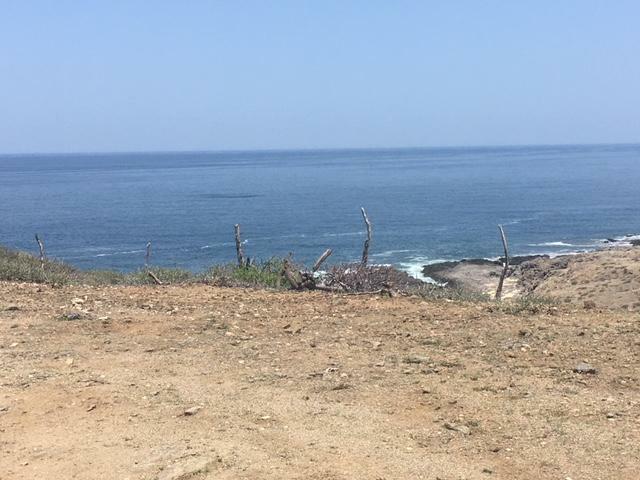 However, on the other side of the road, there are and additional 850 hectareas avalable too and offer a great view in to the ocean. 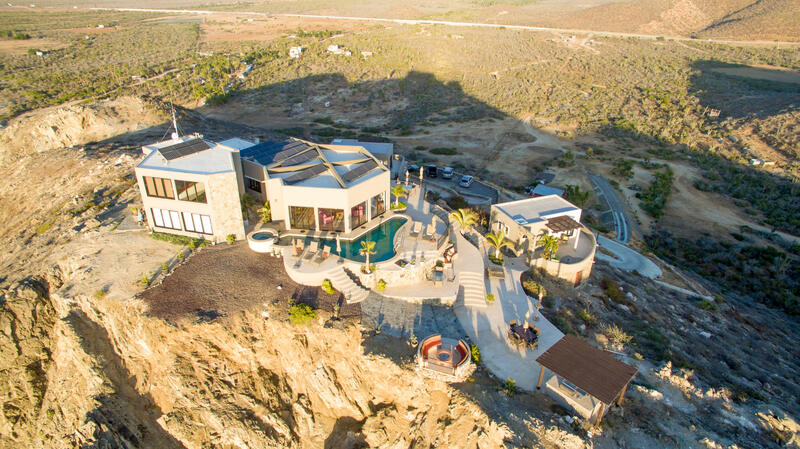 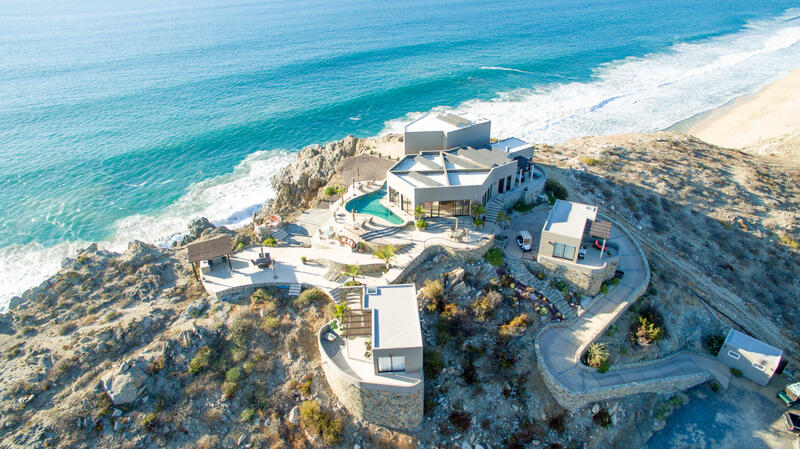 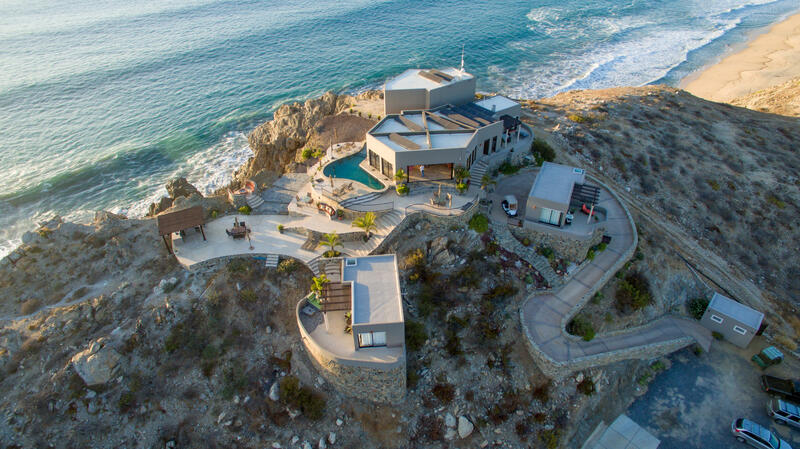 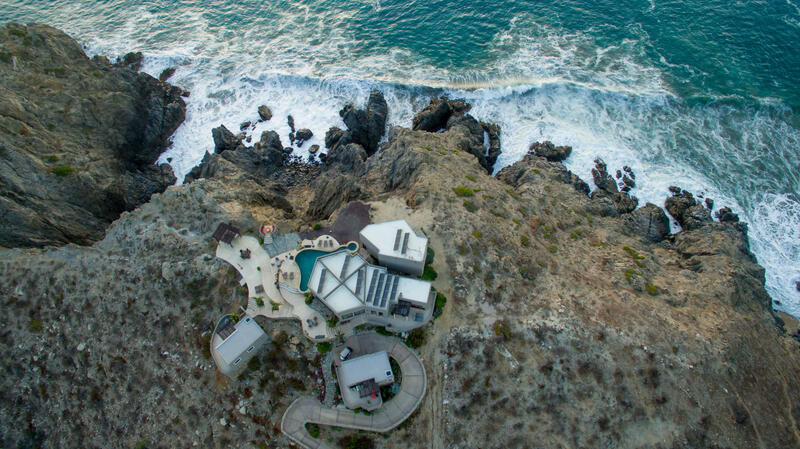 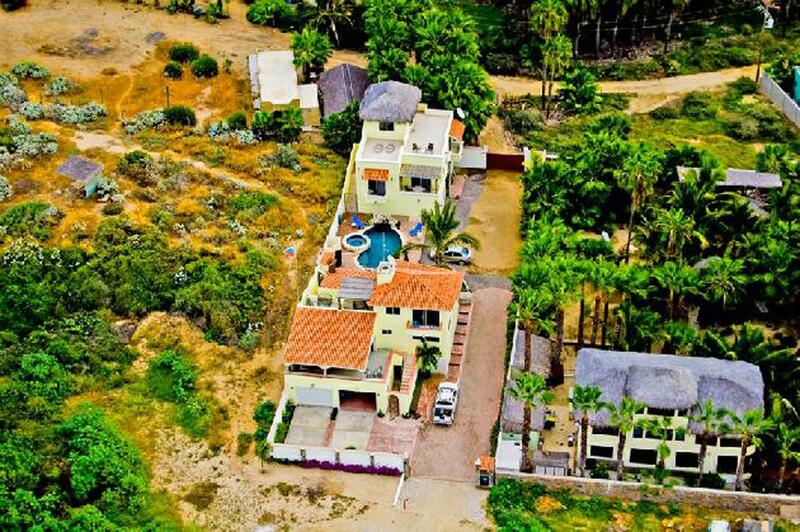 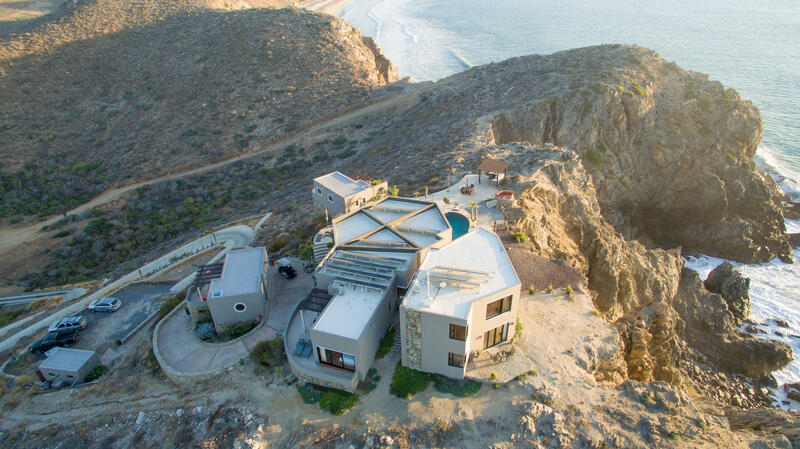 Description: Secluded, one of a kind hilltop residence overlooking the Pacific Ocean. 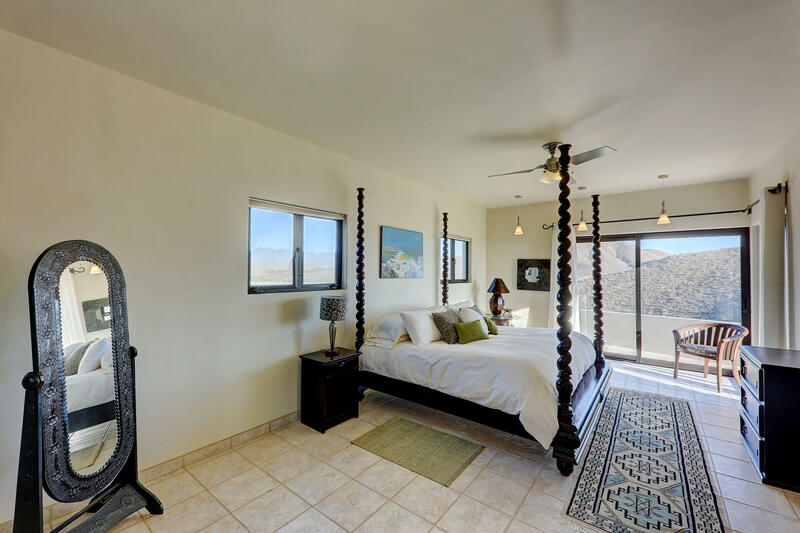 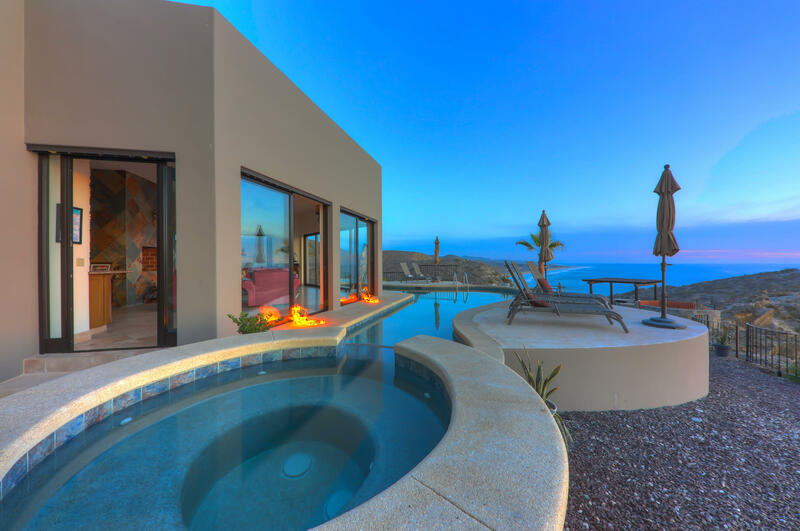 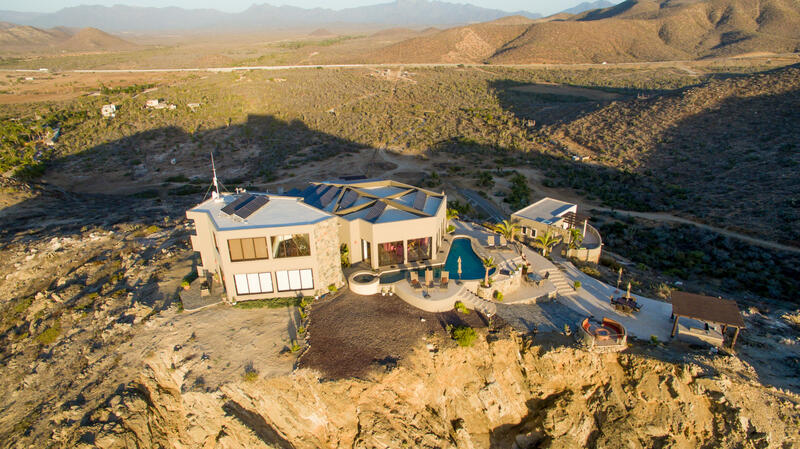 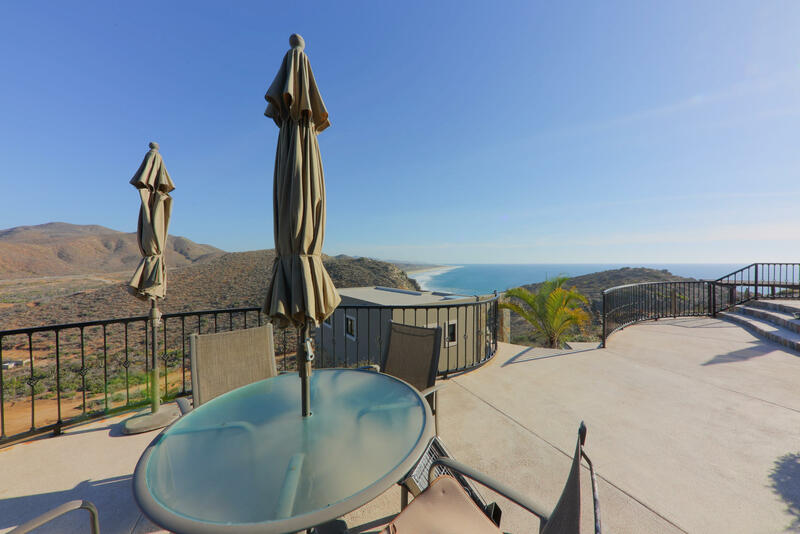 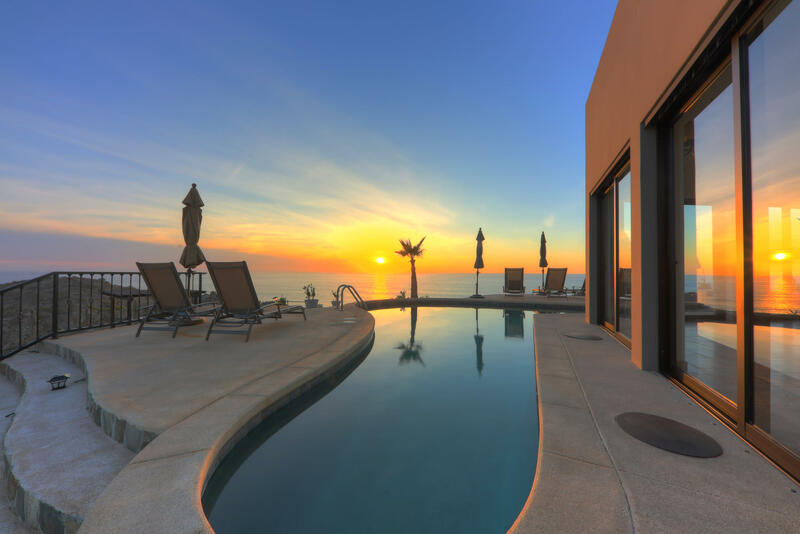 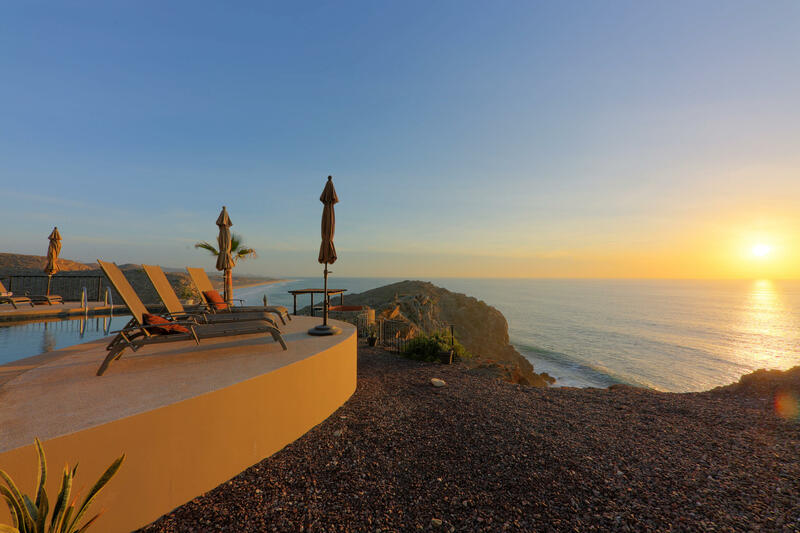 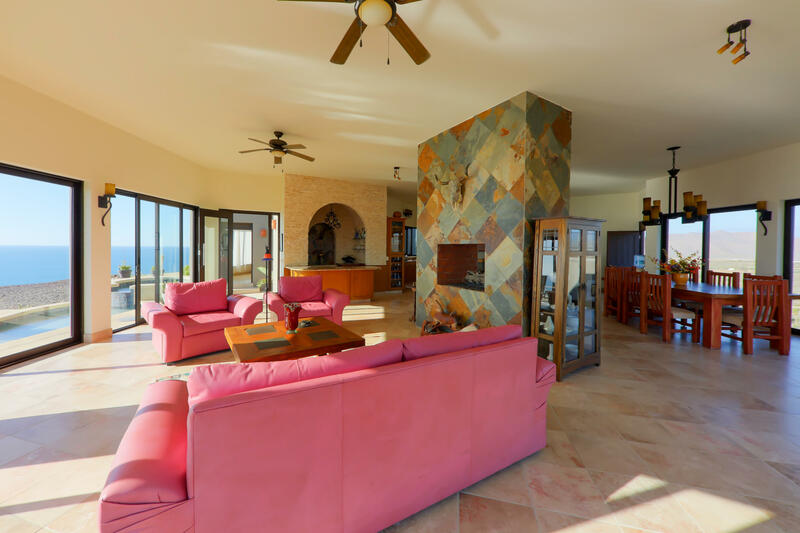 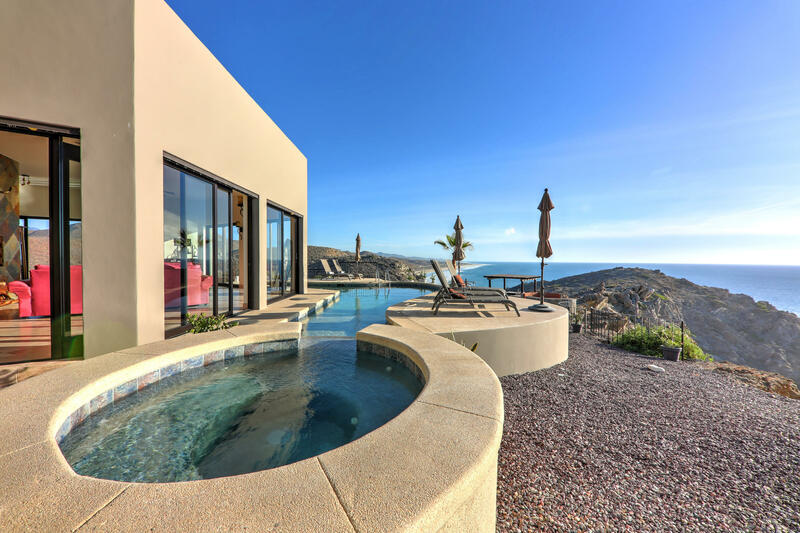 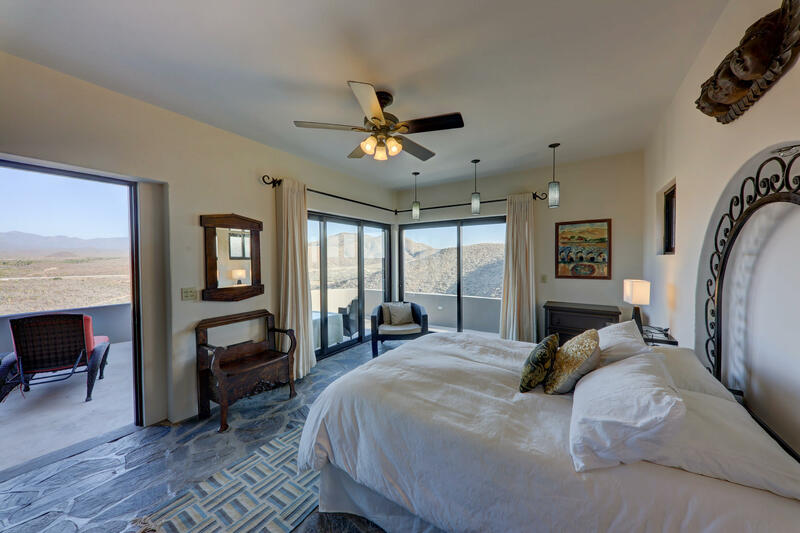 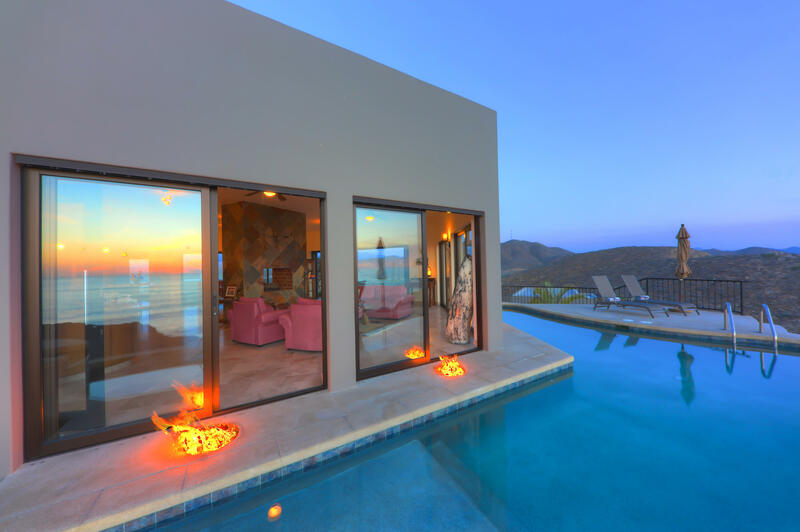 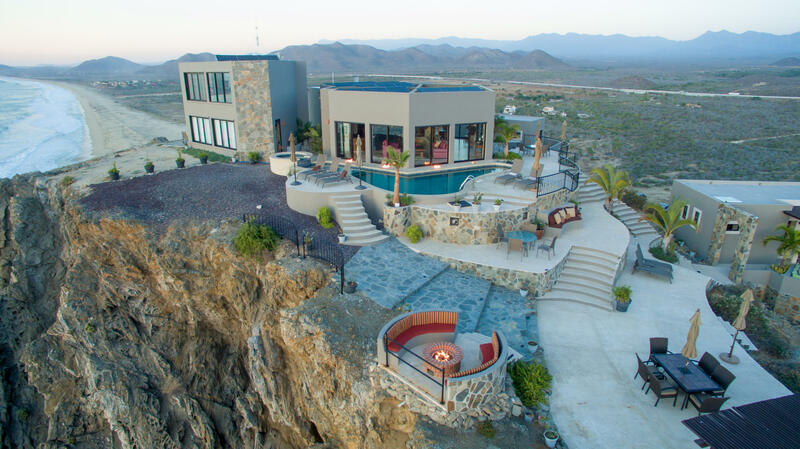 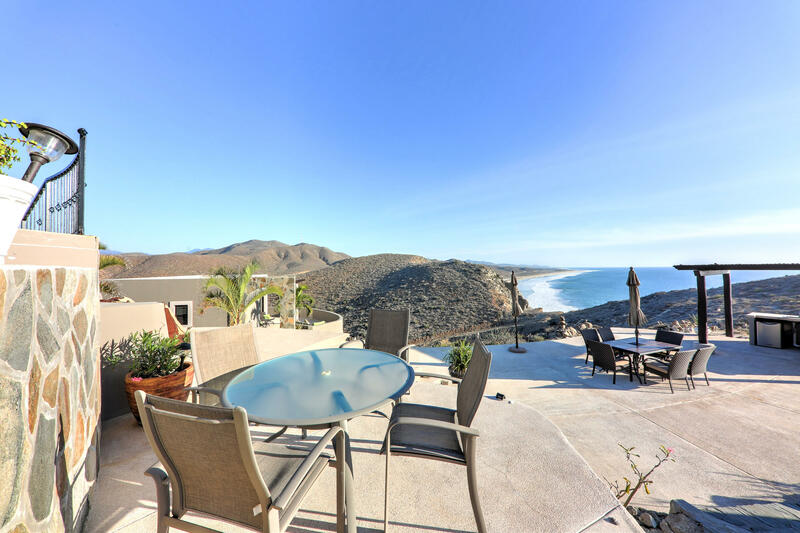 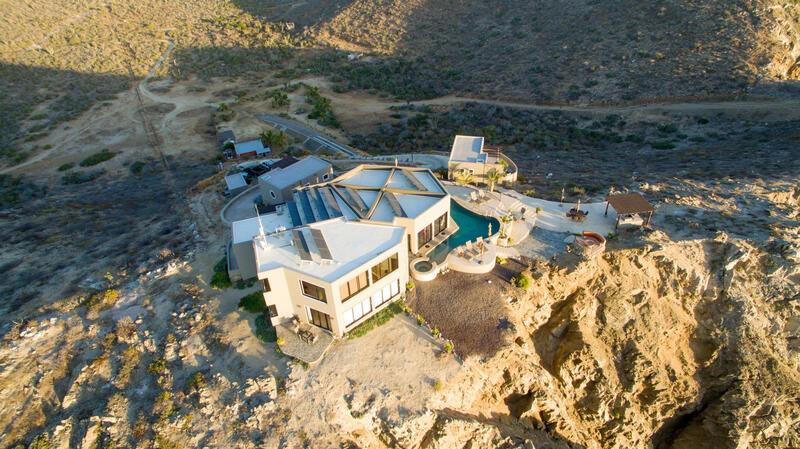 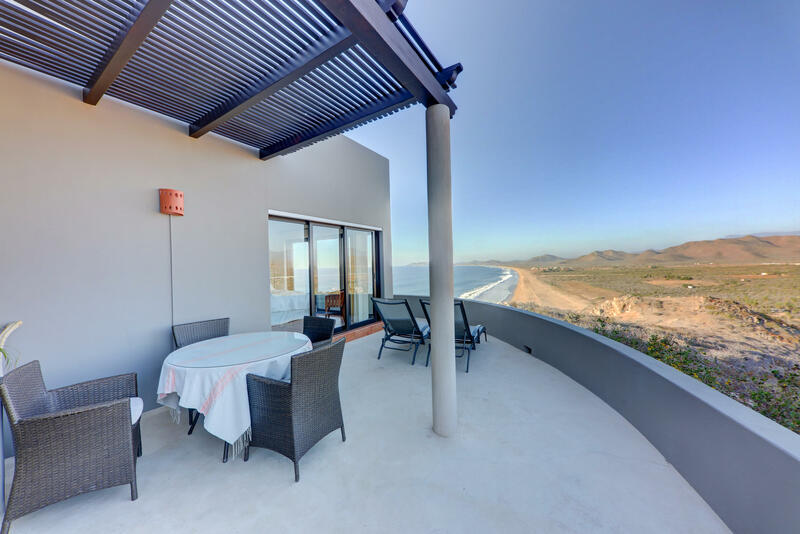 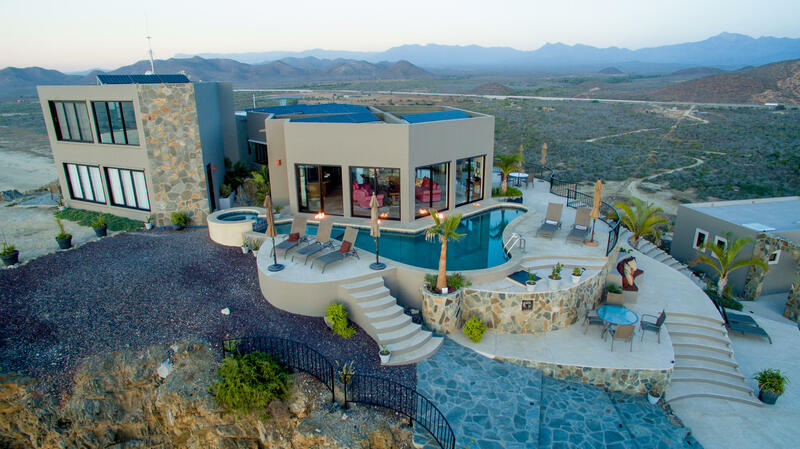 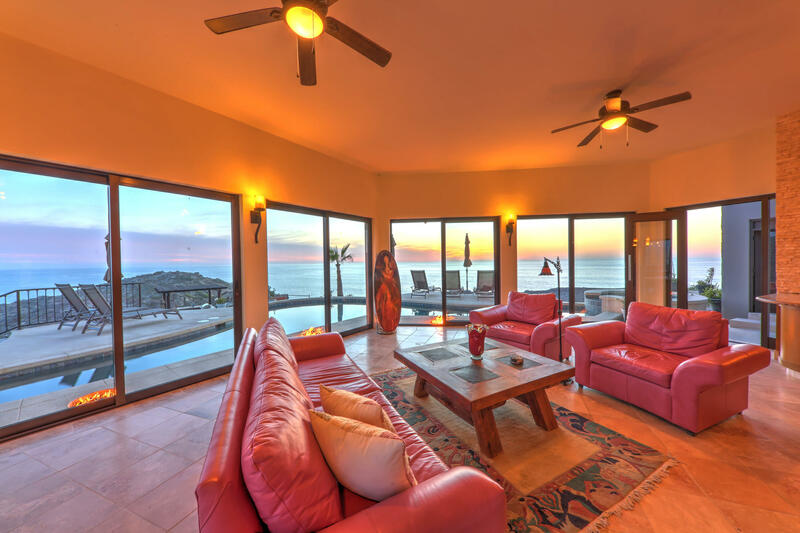 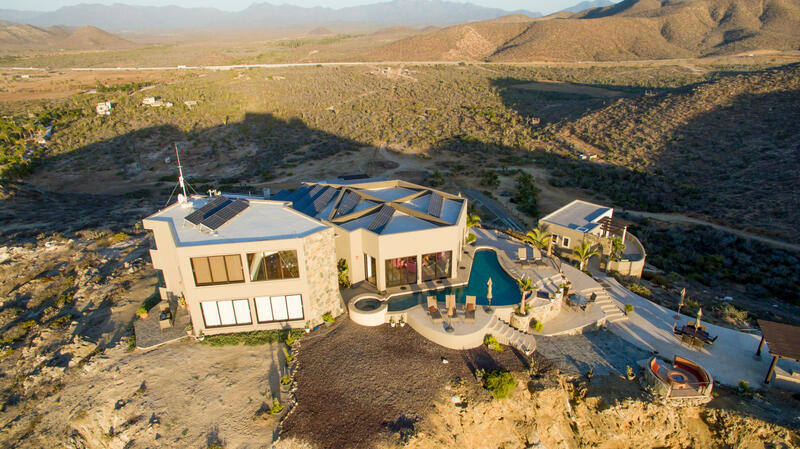 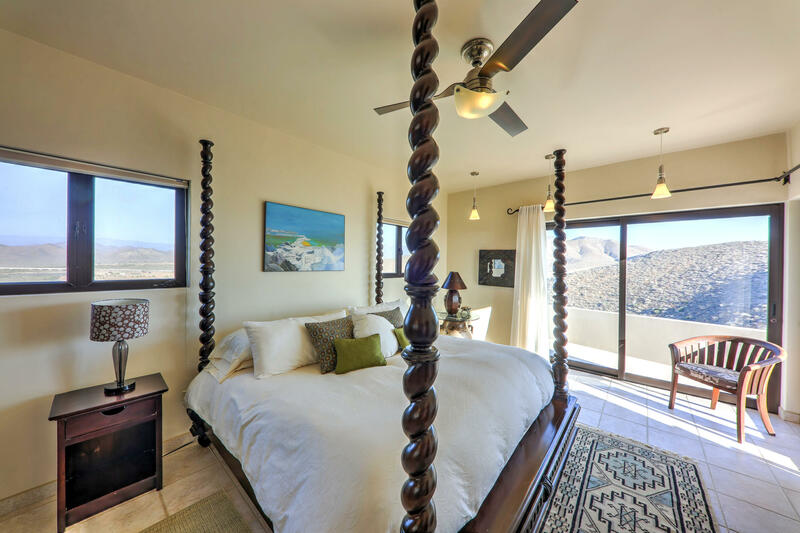 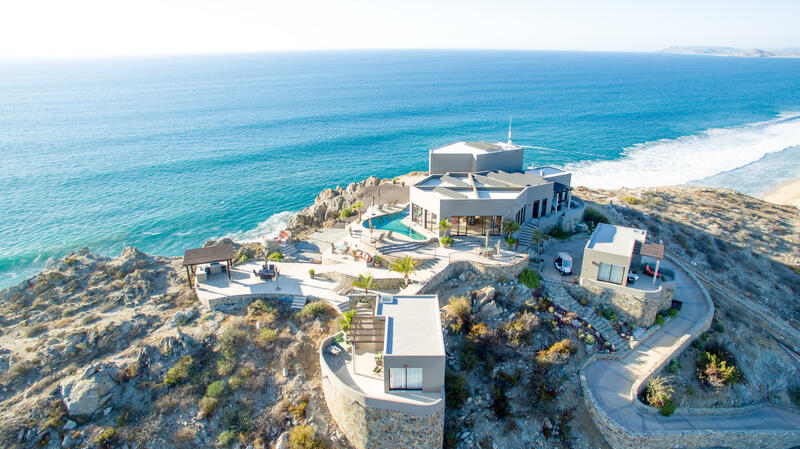 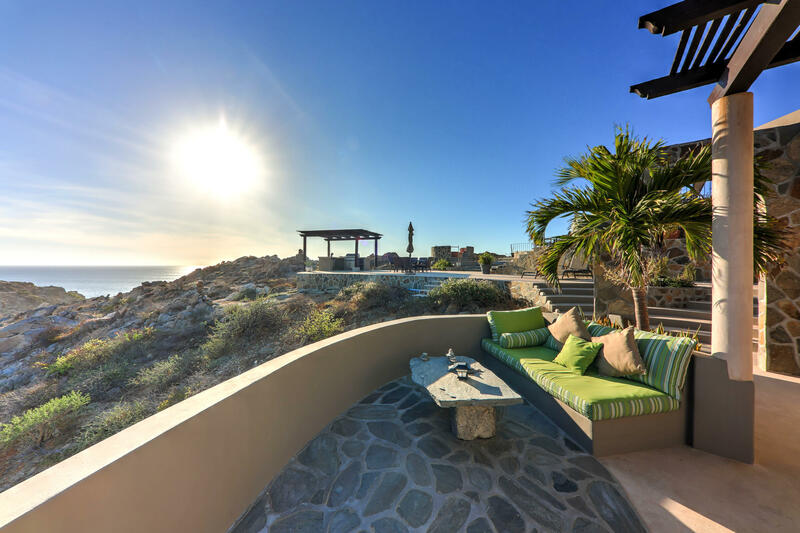 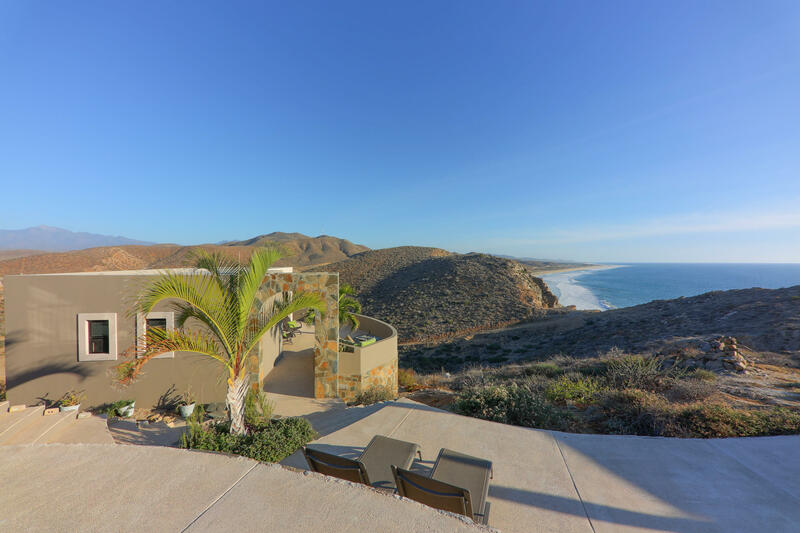 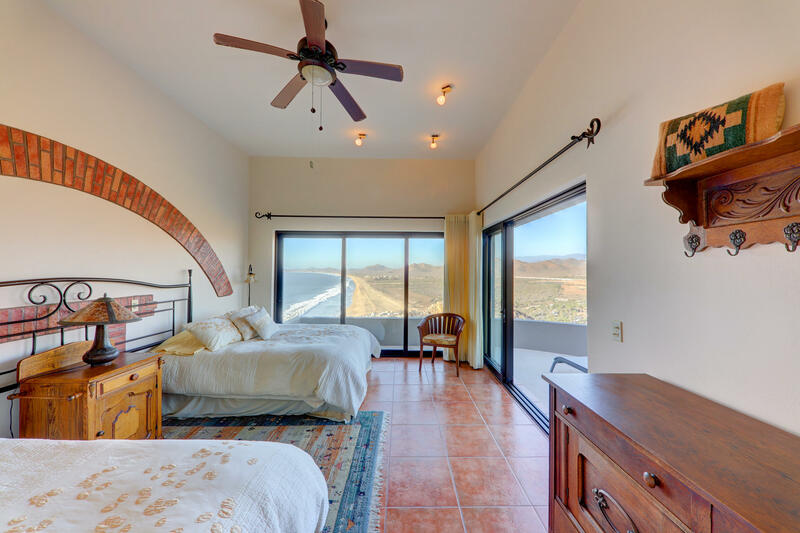 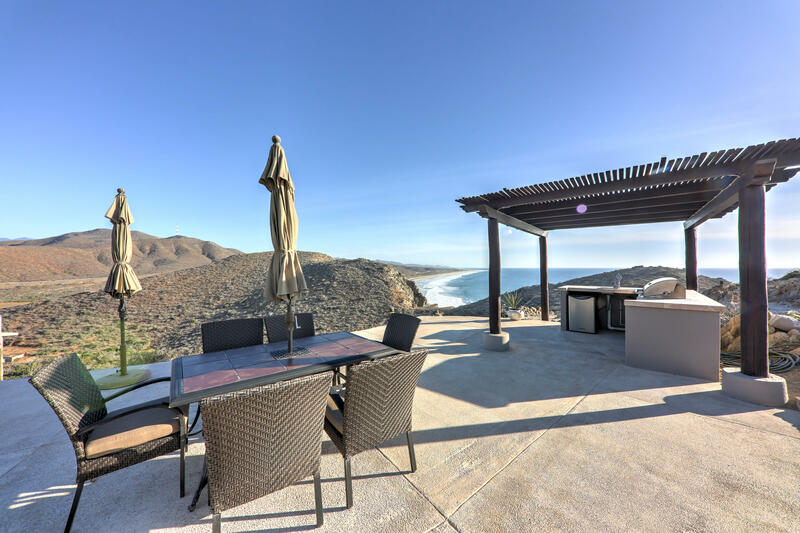 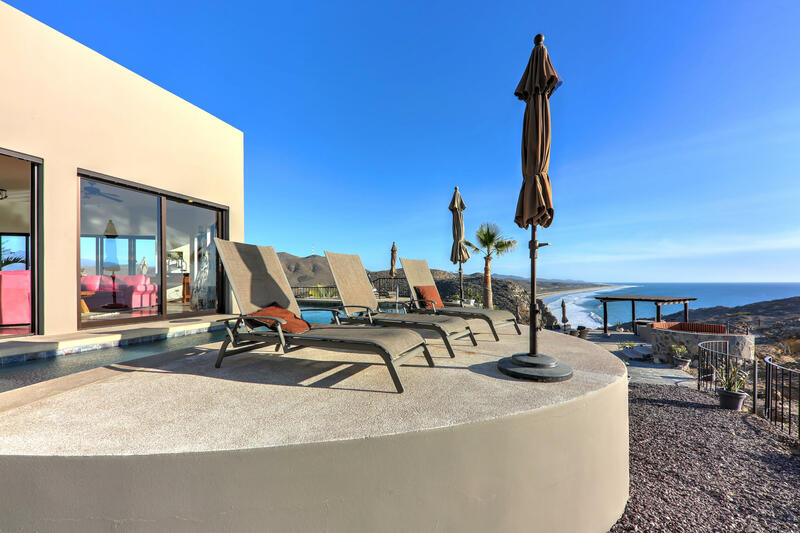 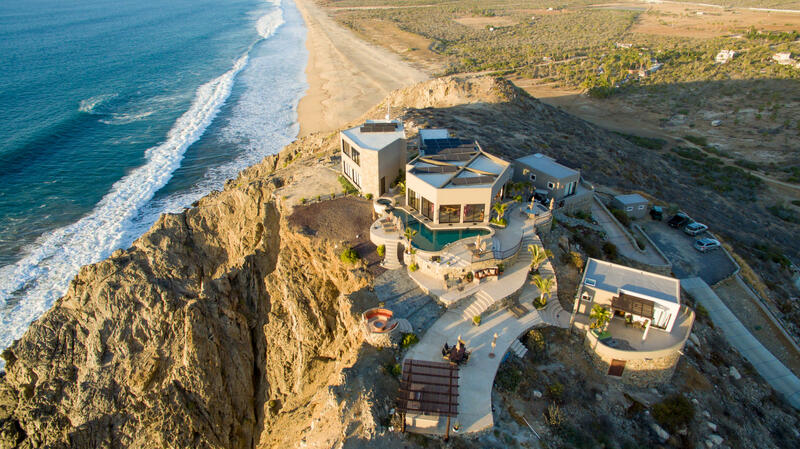 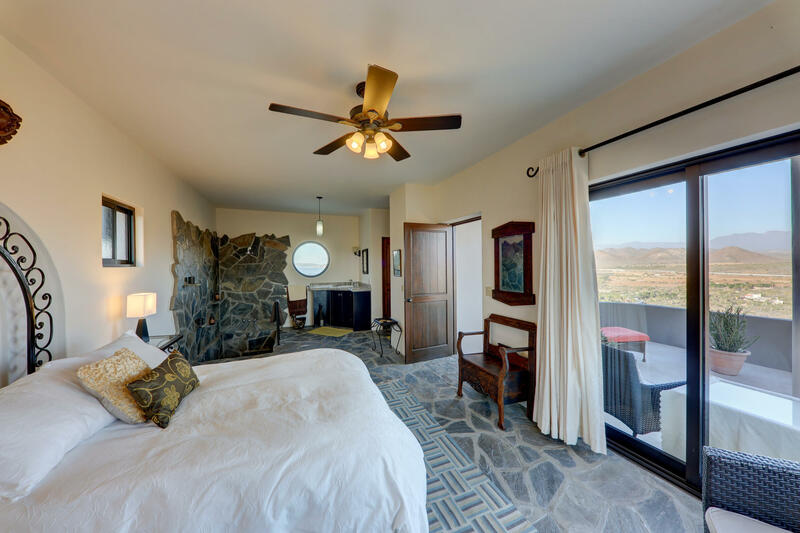 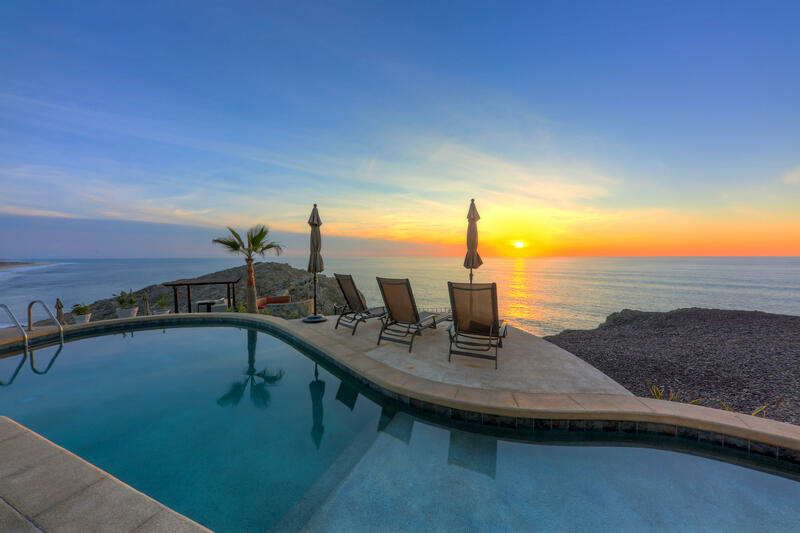 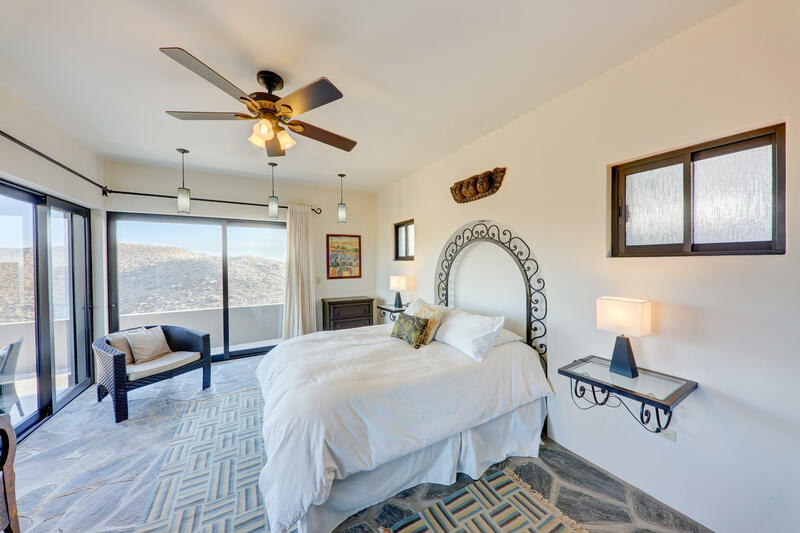 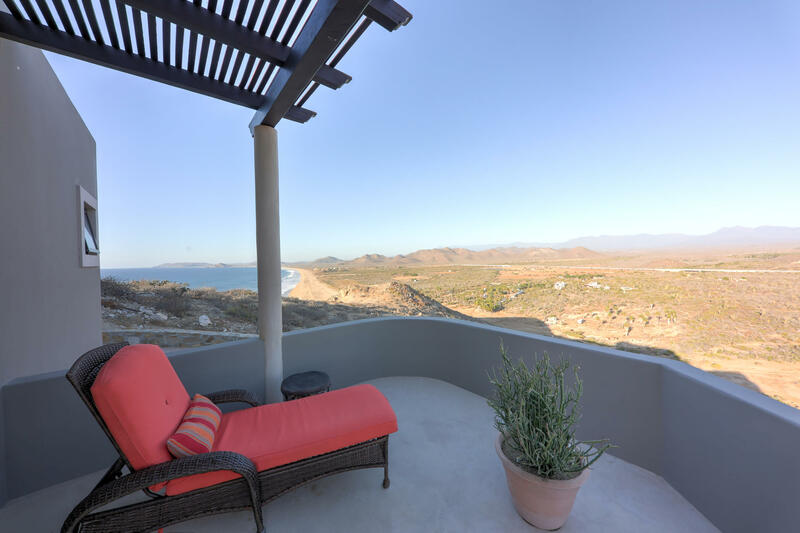 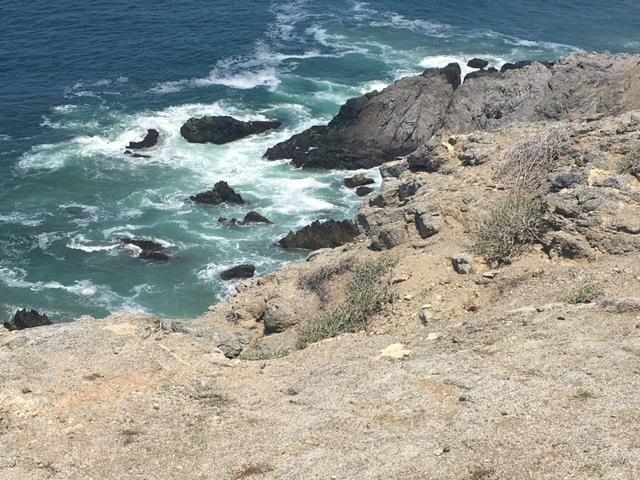 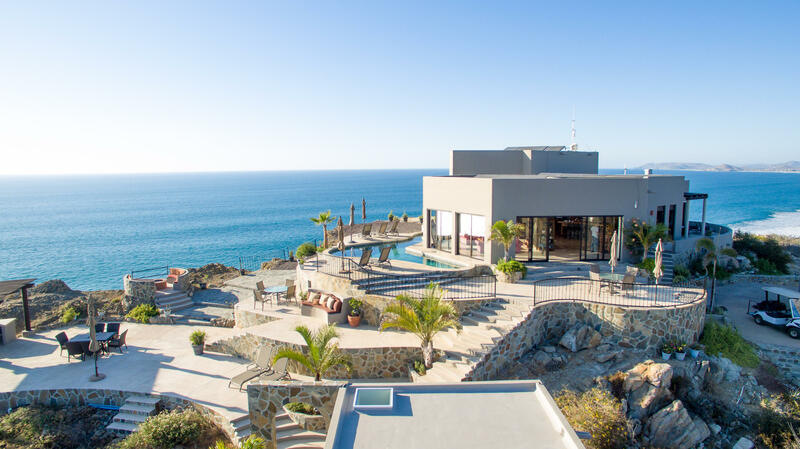 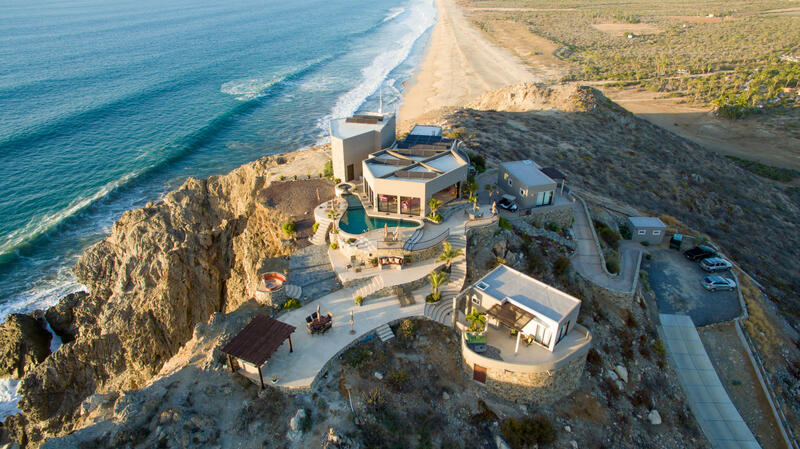 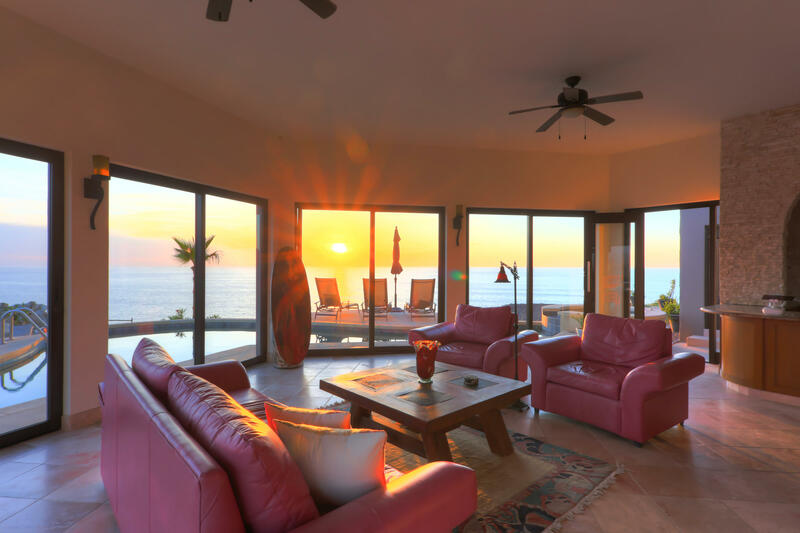 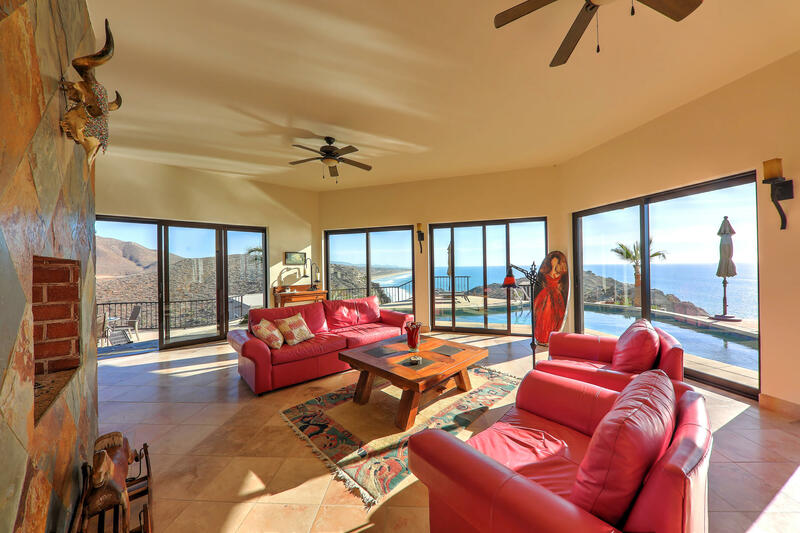 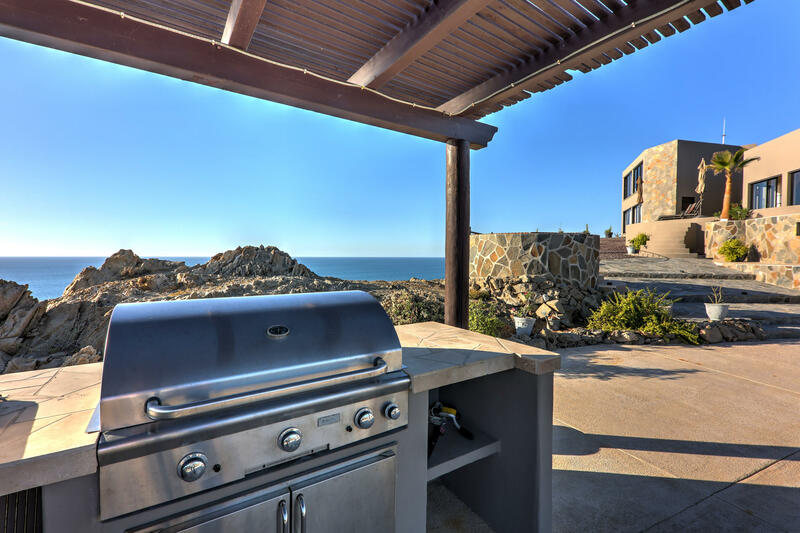 Perched on a clifftop with absolute privacy, you'll enjoy 360 degree views of ocean blue waters, as well as the Sierra de la Laguna mountains to the east. 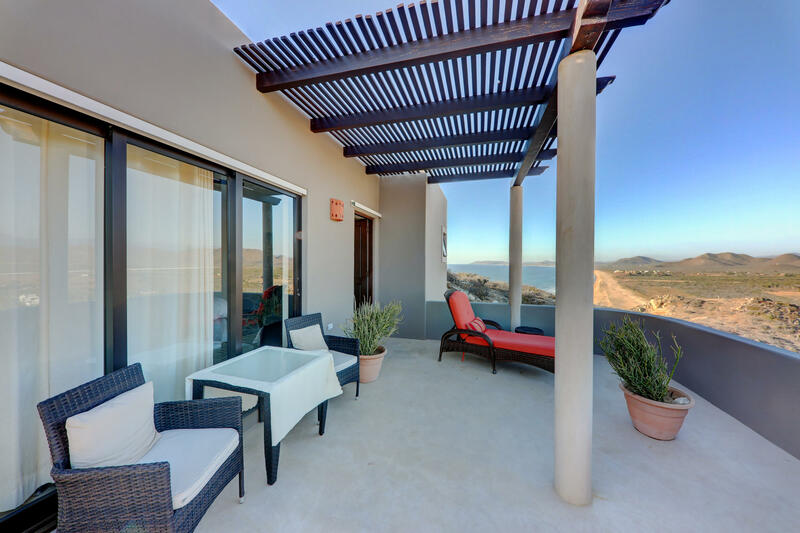 Four spacious and private bedrooms, each uniquely designed with private en suites and individual covered patios, taking in unobstructed, spectacular views and cooling sea breezes. 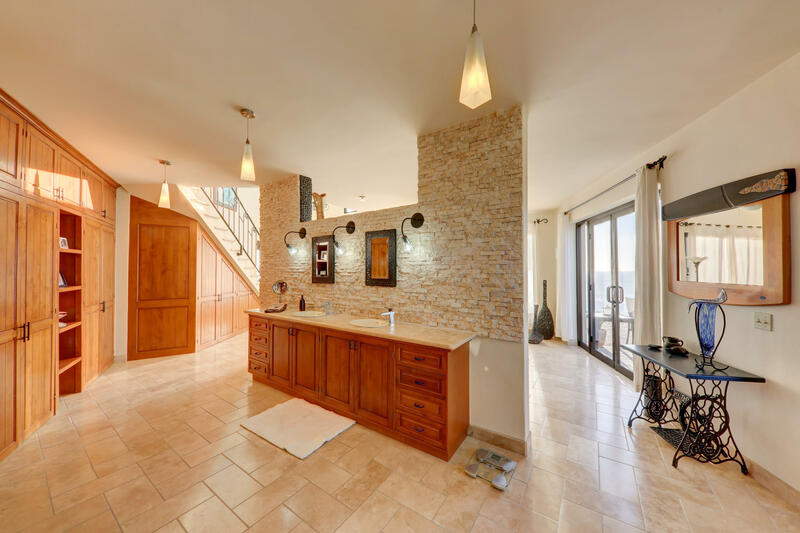 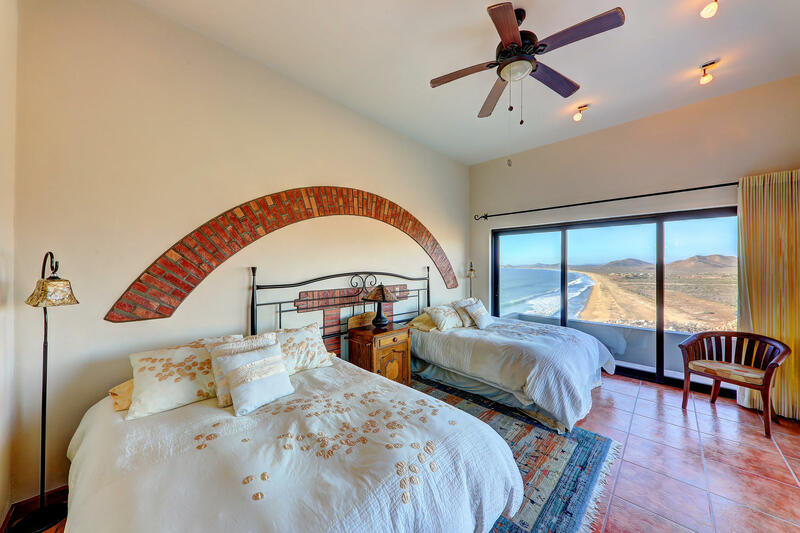 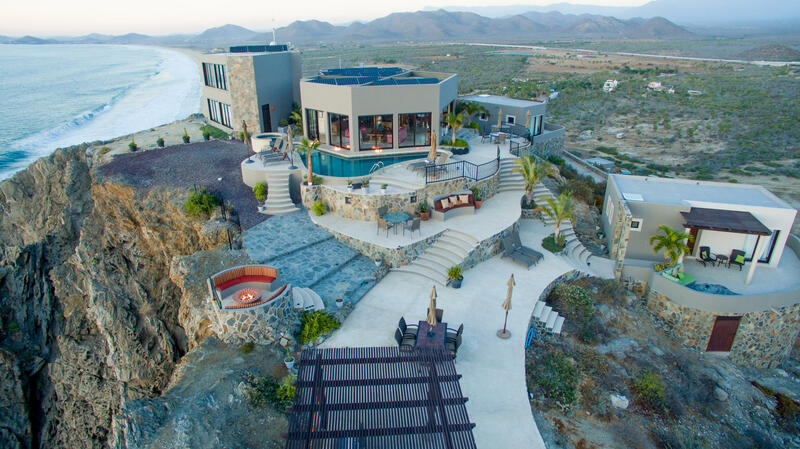 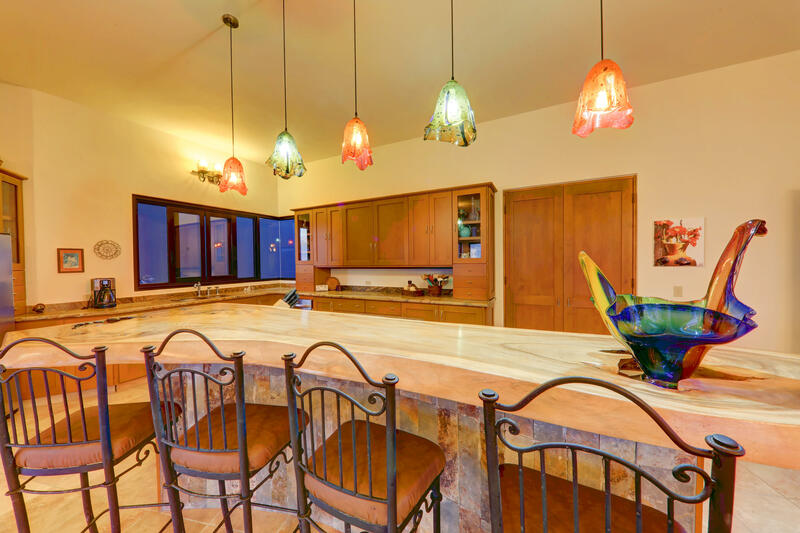 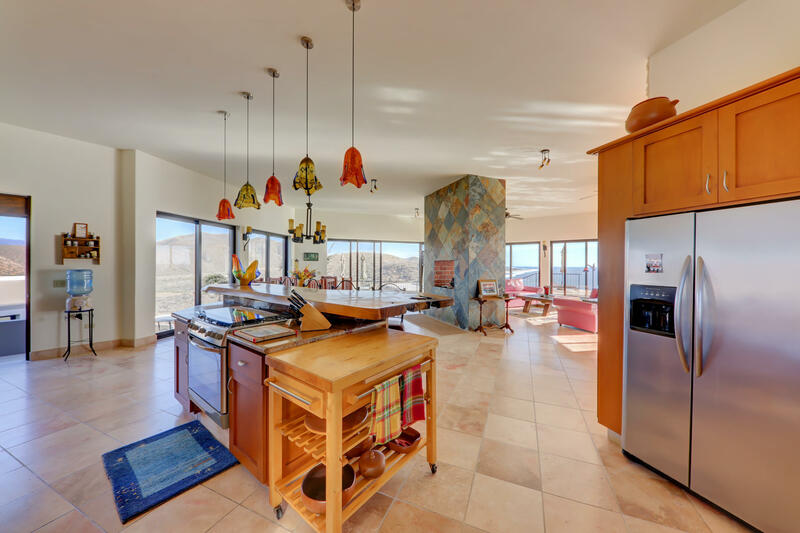 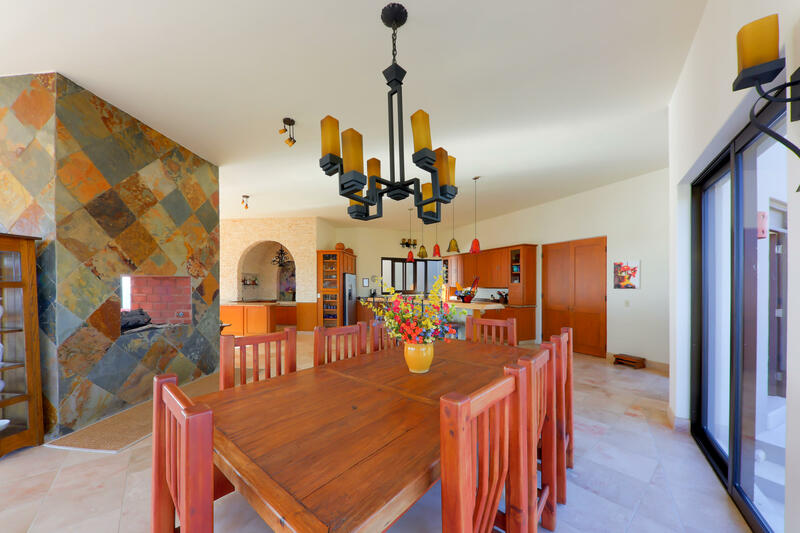 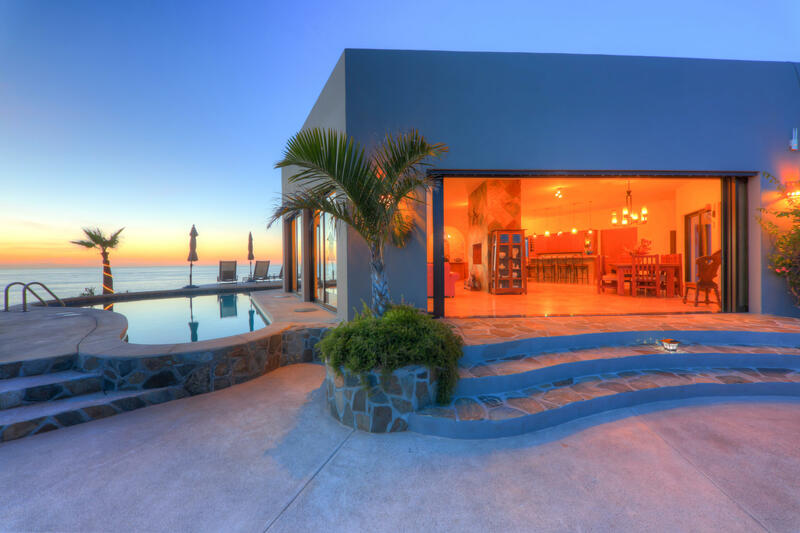 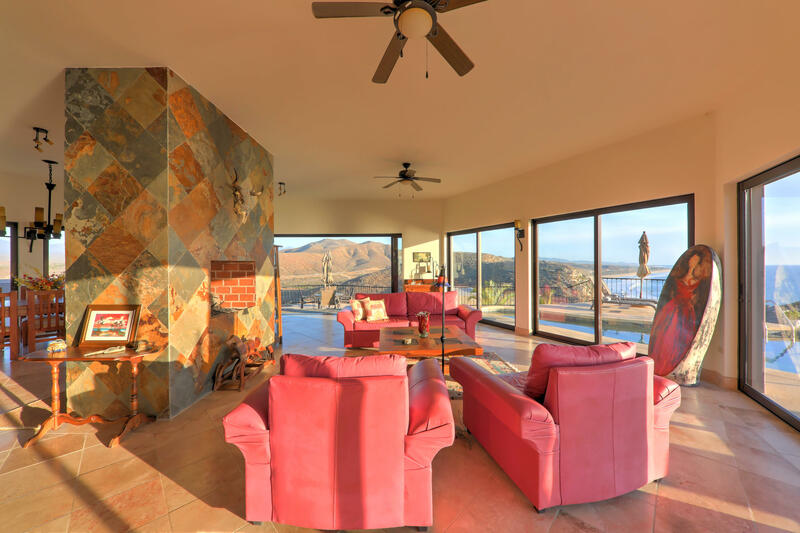 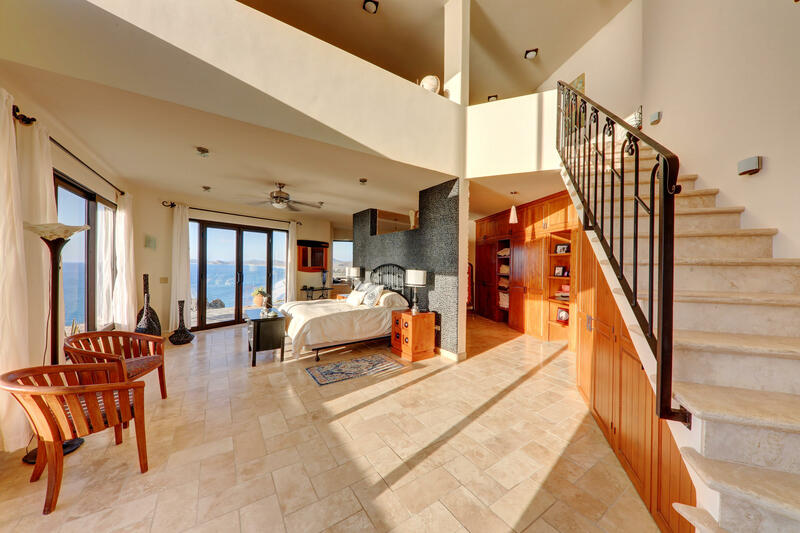 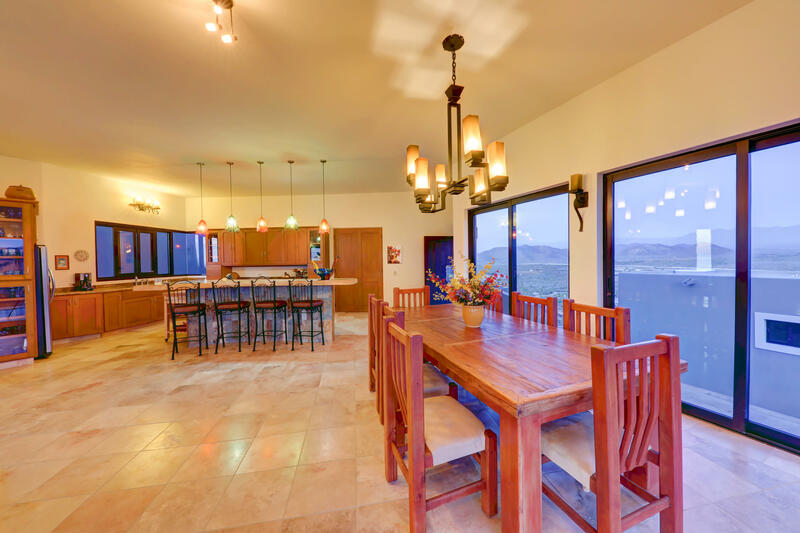 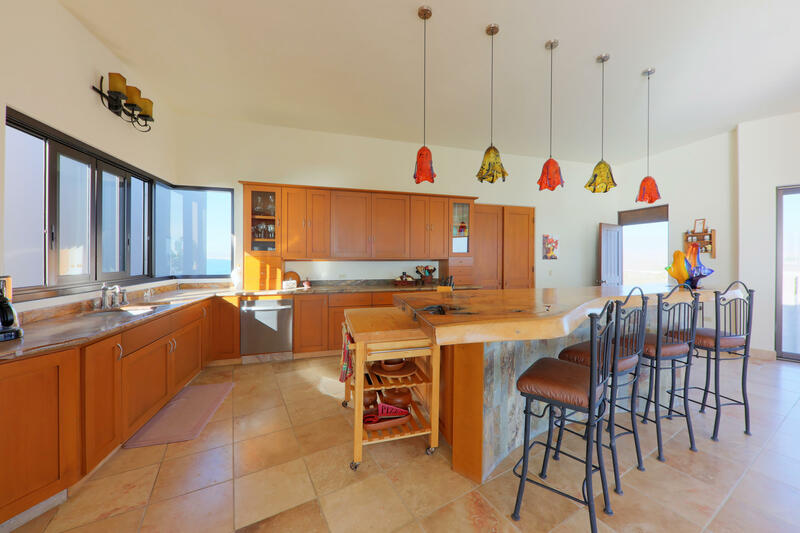 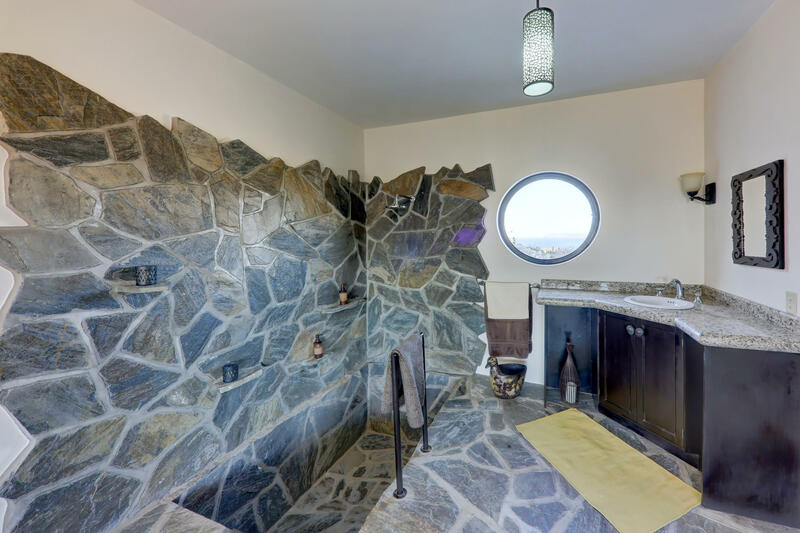 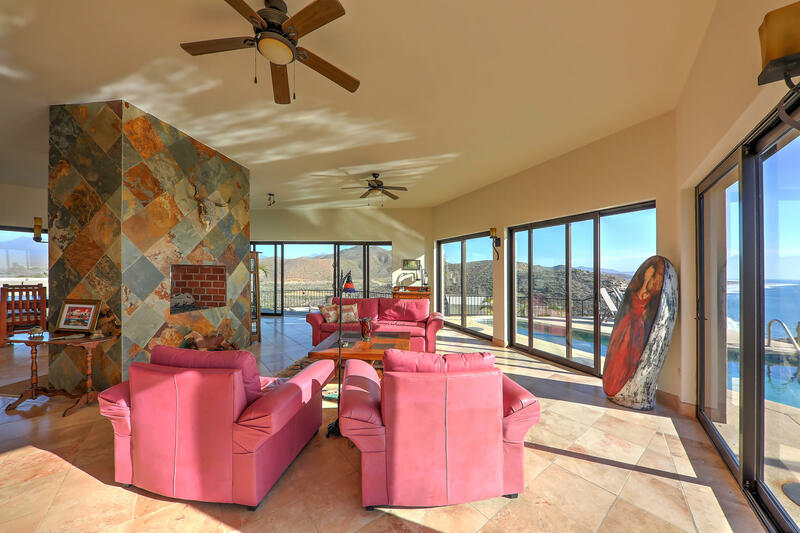 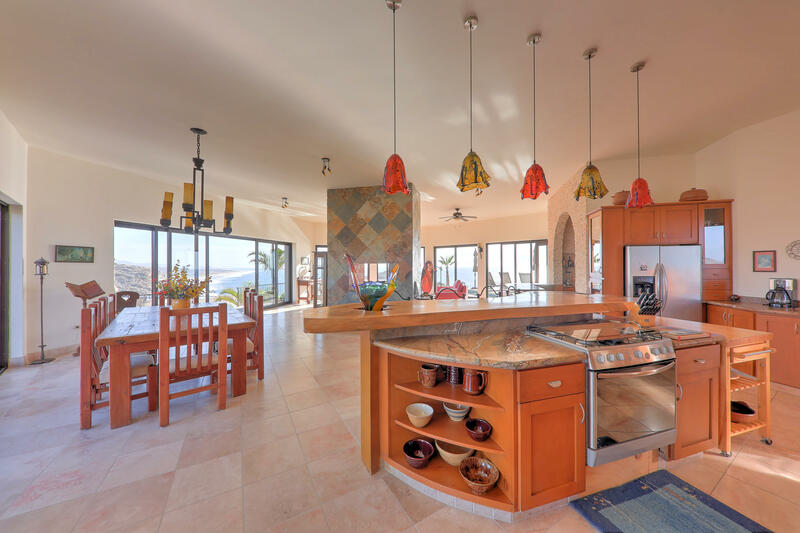 This unique home features a huge open kitchen/living/dining room with wrap around windows and doors flooding the space with light and vistas across the ocean from Punta Lobos to Migrino. 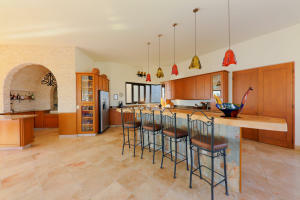 The kitchen is spacious with custom cabinetry and counters and an 11 foot hardwood slab island. 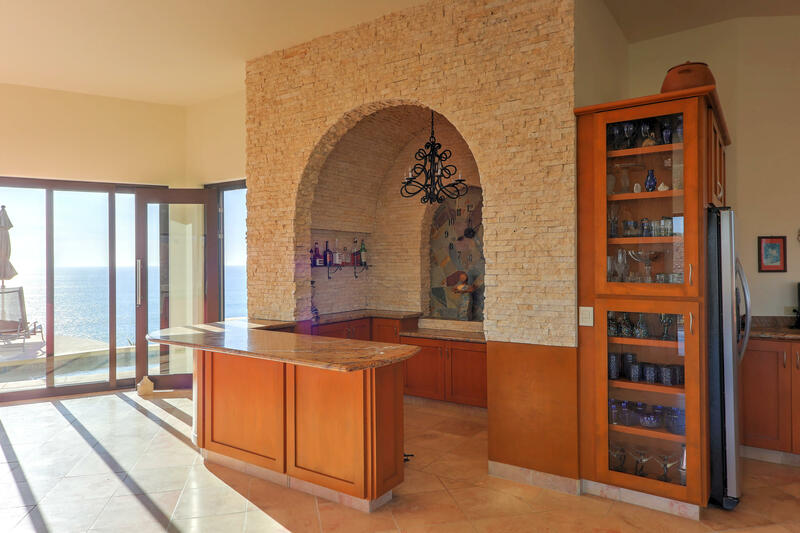 Floor to ceiling flagstone fireplace and stone bar add to the custom interior of this captivating space. 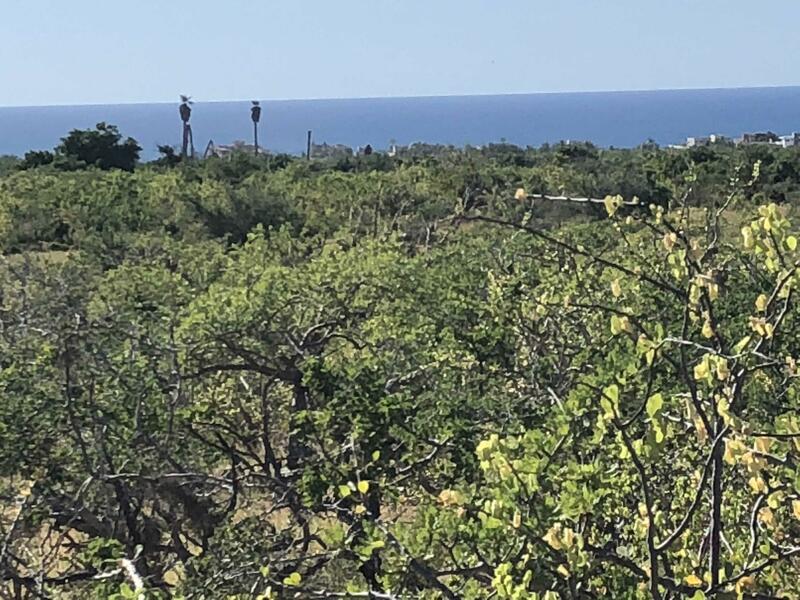 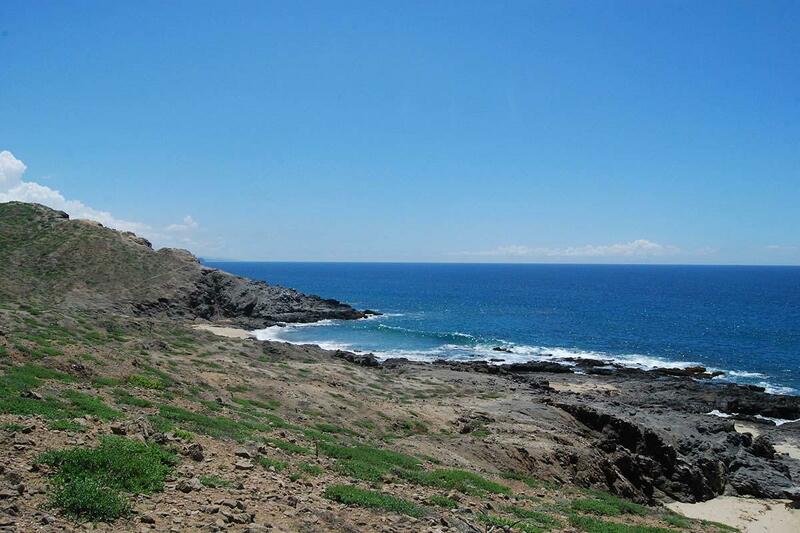 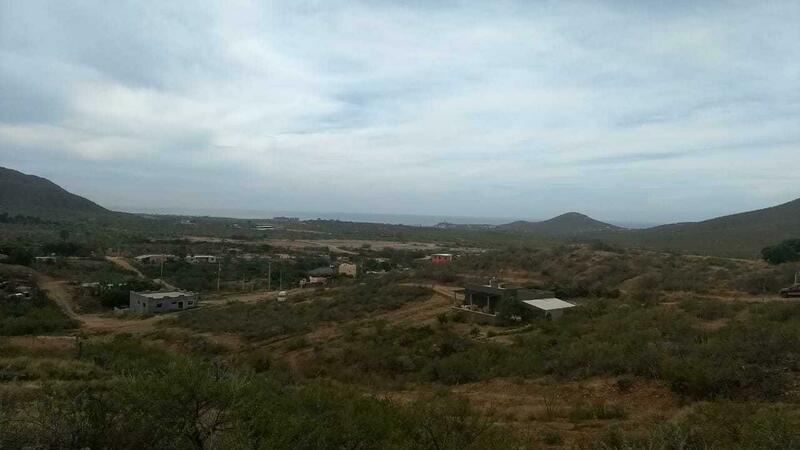 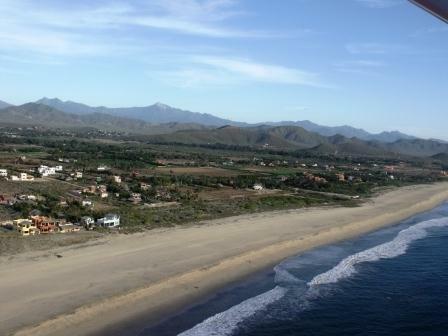 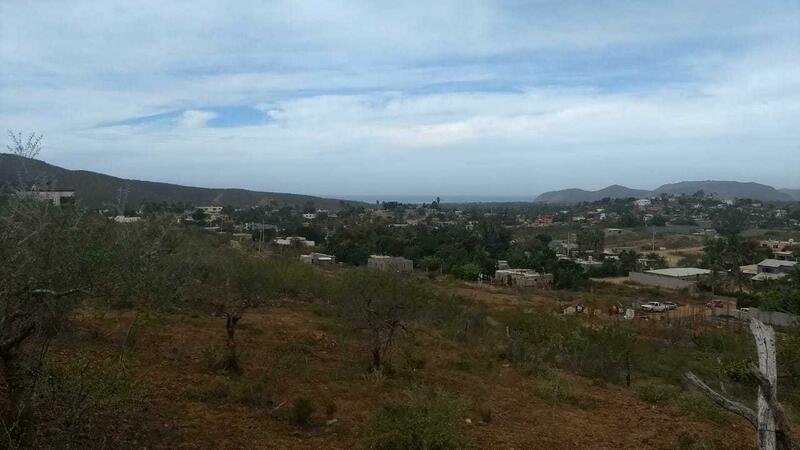 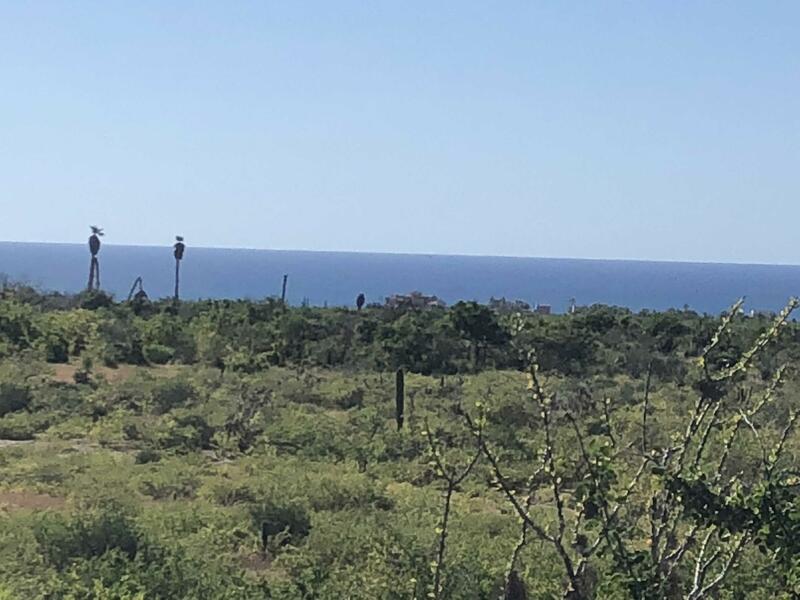 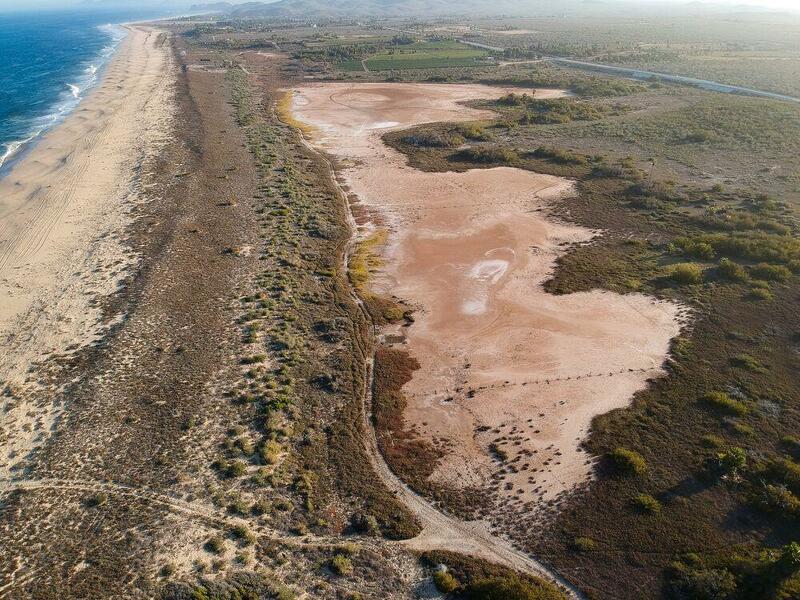 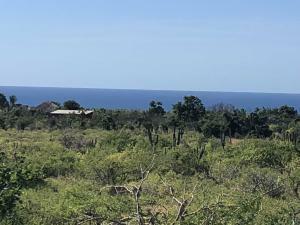 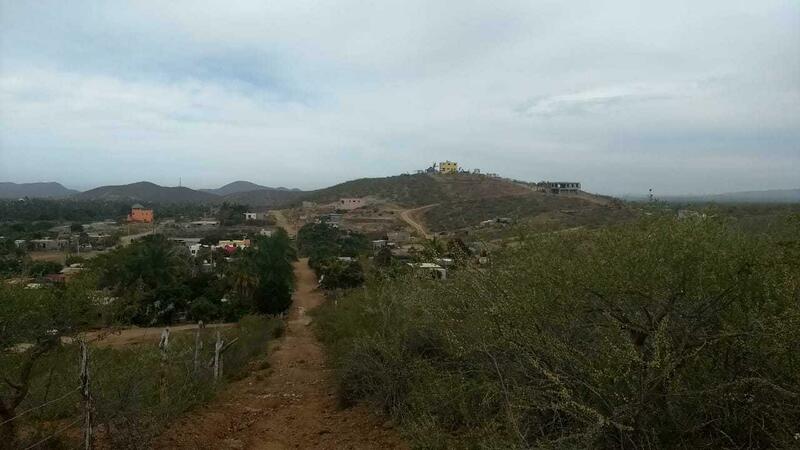 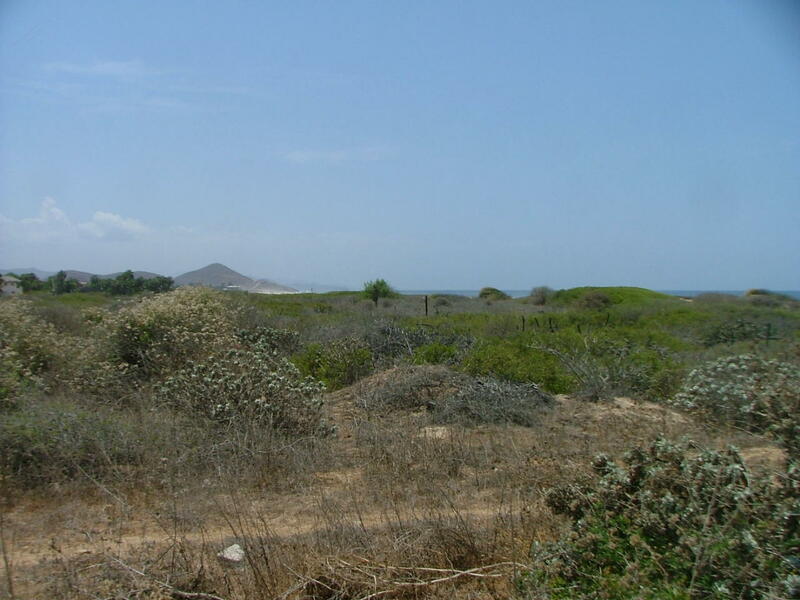 Description: Last of the great San Pedrito Beach Lots.Block of 5 Lots Totaling: 6,529m2 with 96m of beachfront X 65m$1,500,000.00 USD for all 5 lots or each lot separately starting from the Southern end of the block. 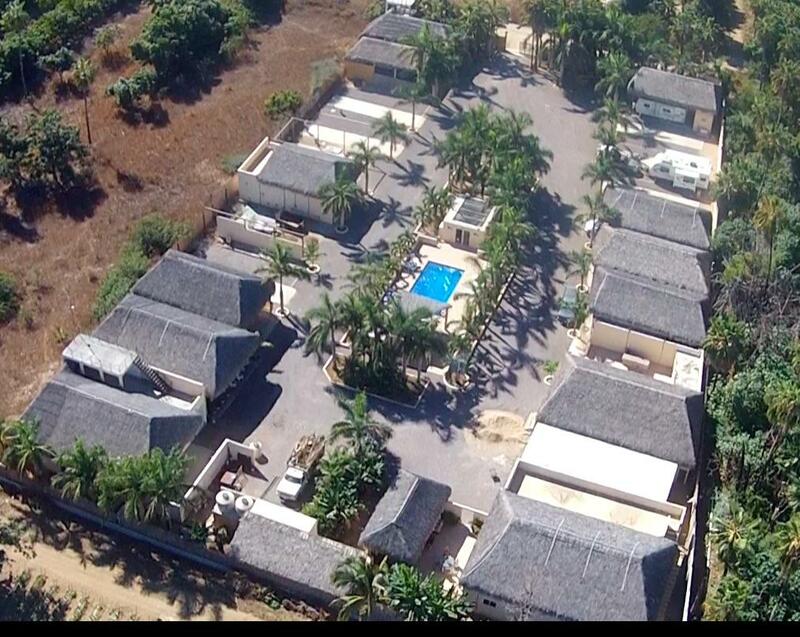 Pricing per lot starting from North to South1-03-159-2864: $280,000USD 1,216m = 20m X 60m1-03-159-2865: $290,000USD 1,254m =20m X 61m1-03-159-2866: $300,000USD 1,304m =20m X 66m1-03-159-2867: $311,000USD 1,354m =20m X 69m1-03-159-0320: $322,000USD 1,399m =16m X 70mIncredible Beach Community at the famous San Pedrito Surf Break. 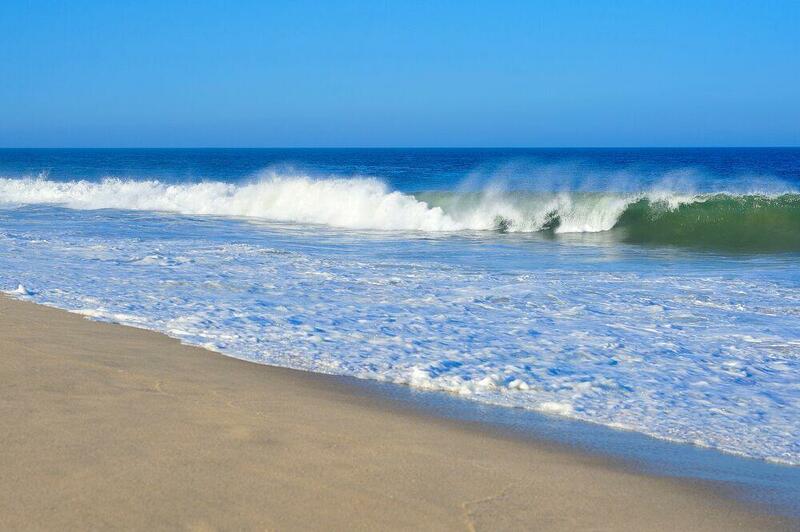 Walk out onto the beach, surf and chill. 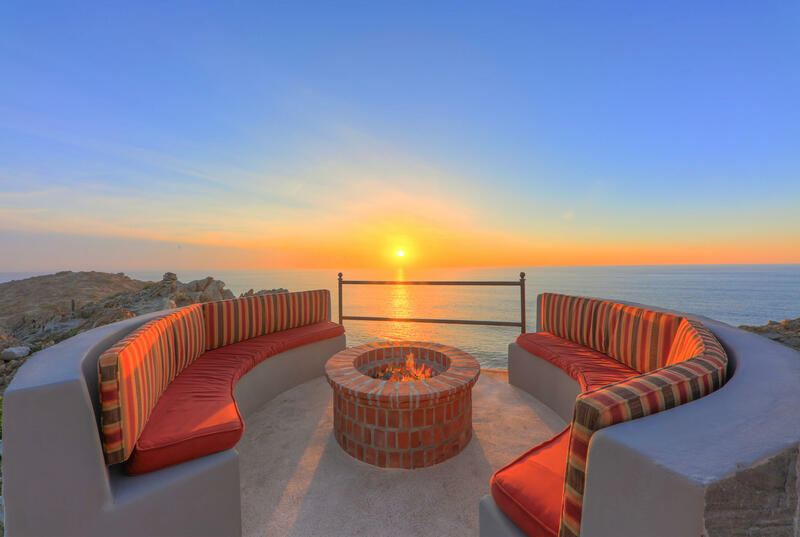 Unbelievable sunset and mountain views! 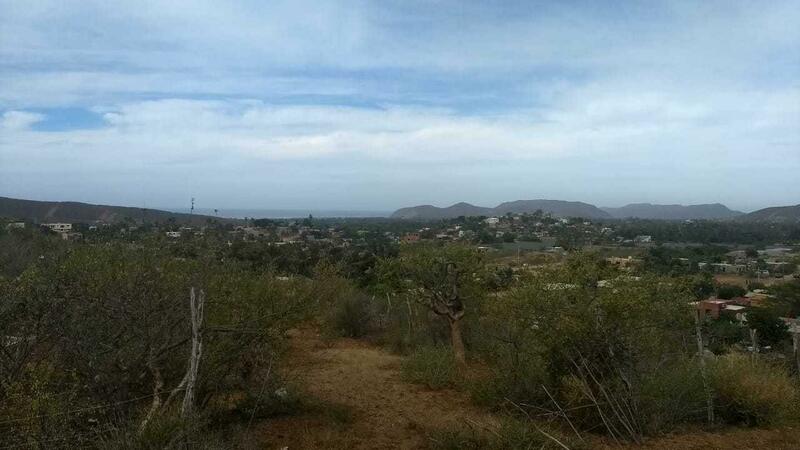 Description: Spectacular possibilities, Great Prices... Six lots, side by side, from the winding hillside road down to the tidepools and sandy beach in the hidden area west of Cerro Gavilan.A fabulous setting for private residences or boutique hotel, where every room of the over 2 acre property would have a stunning view. 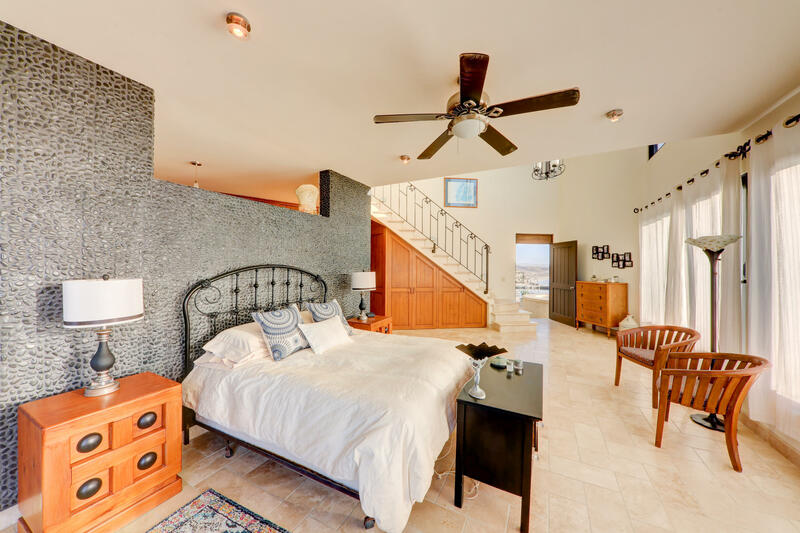 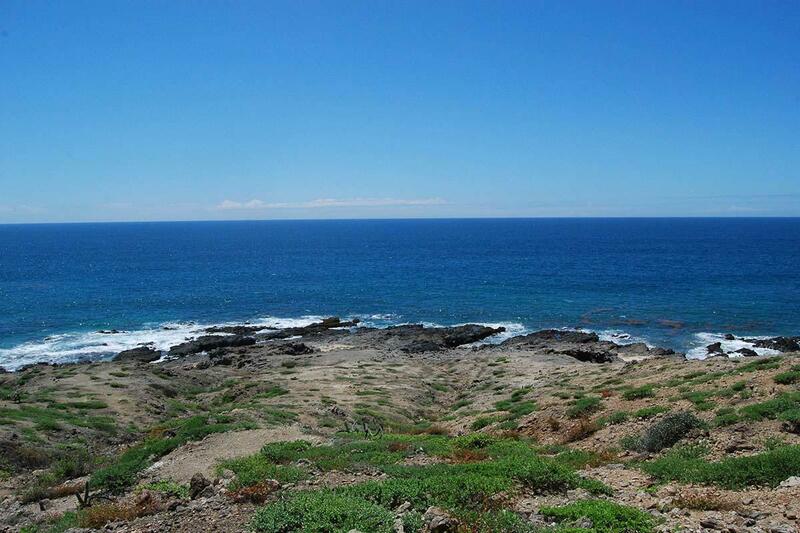 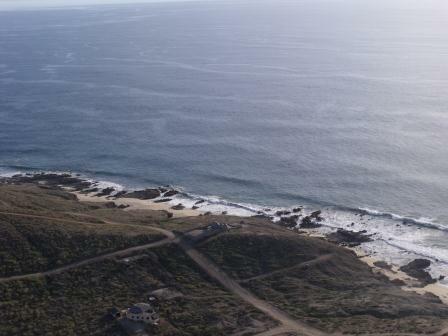 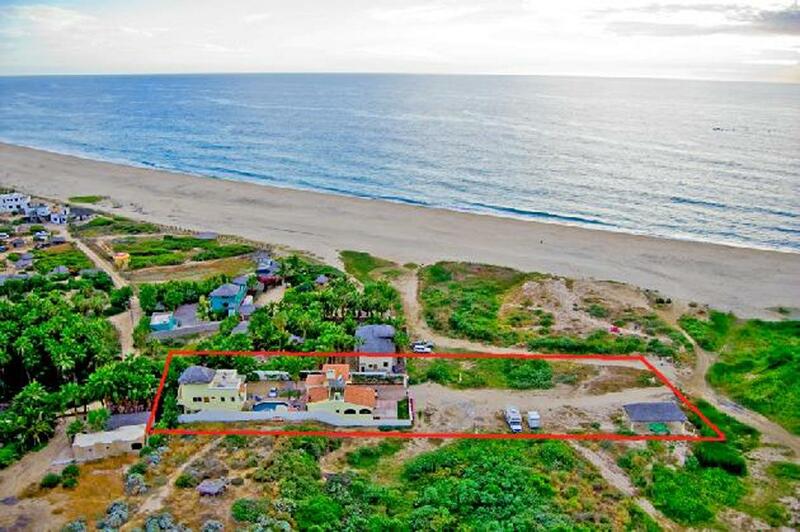 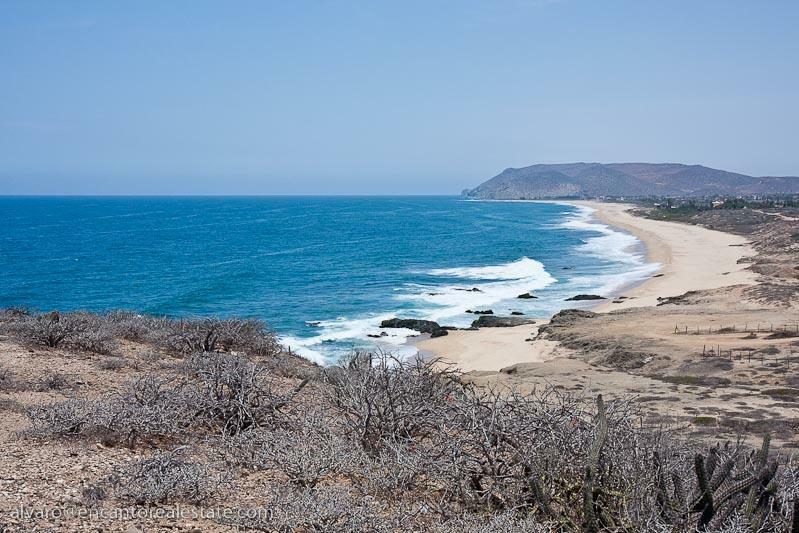 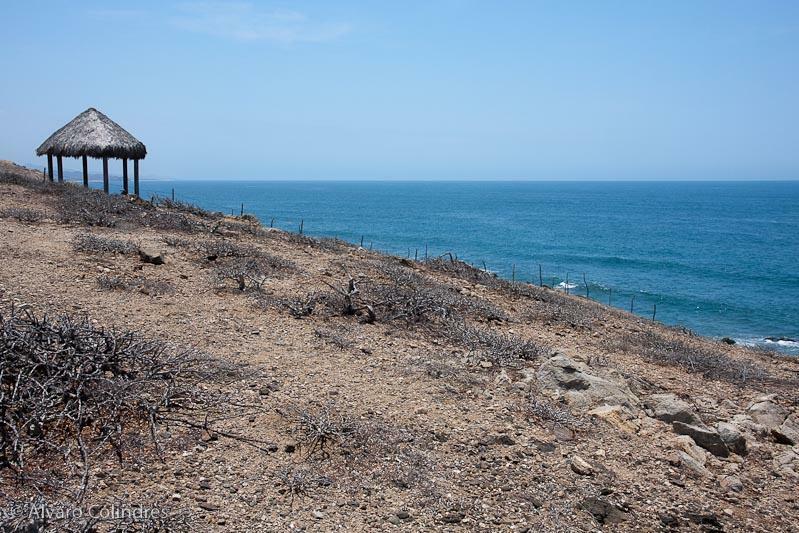 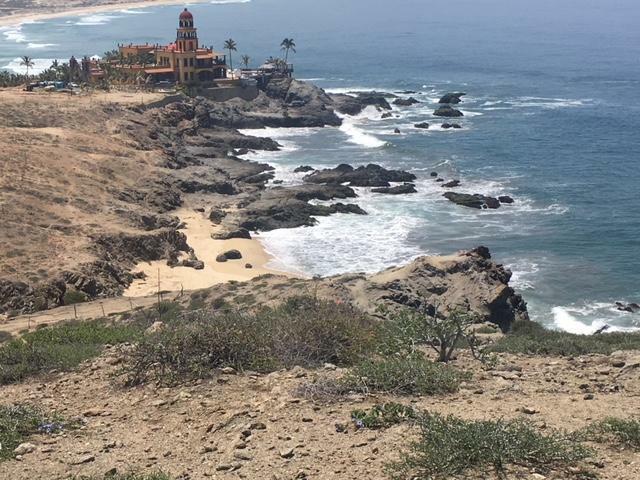 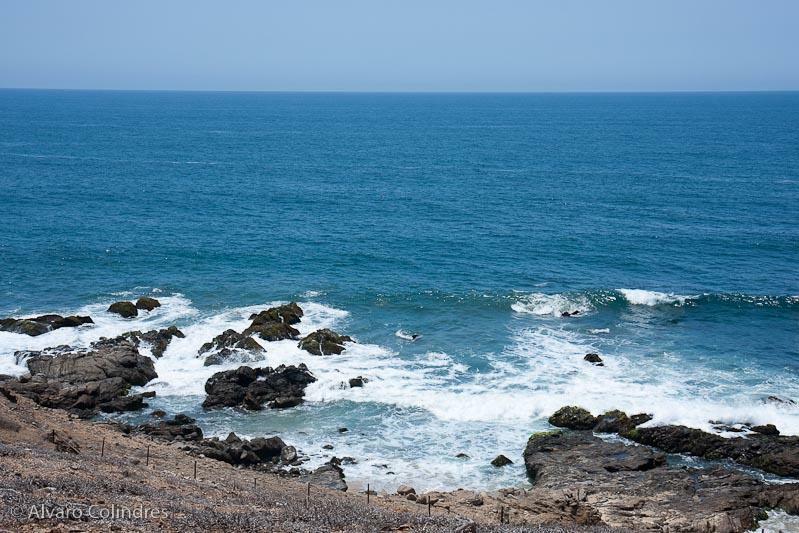 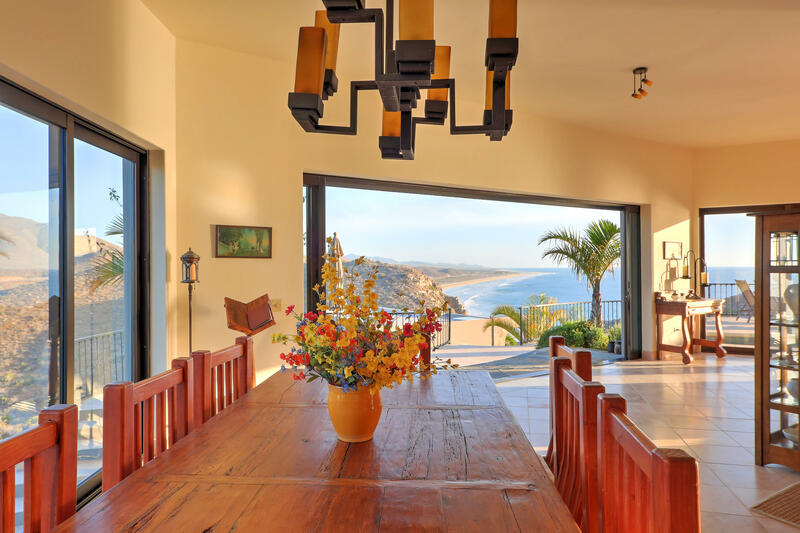 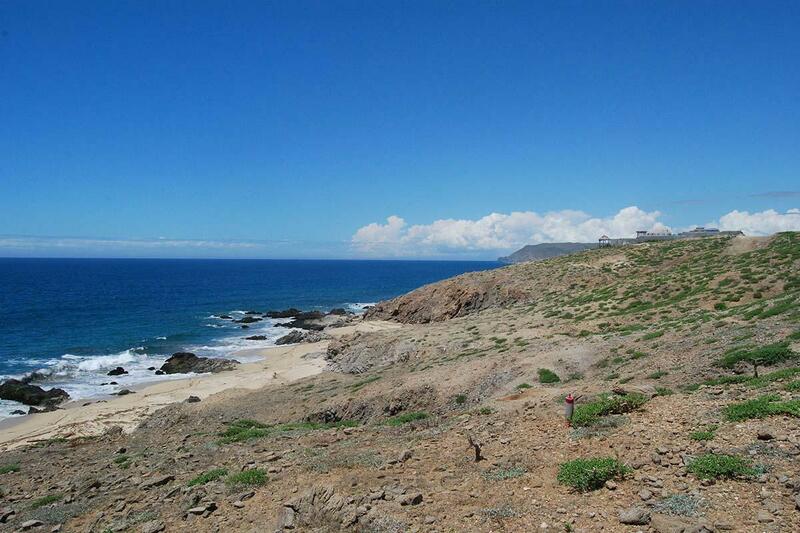 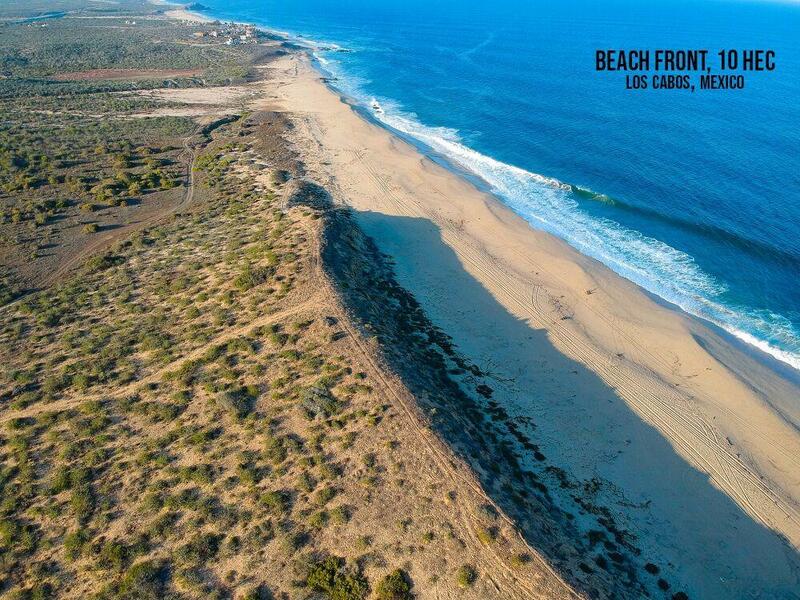 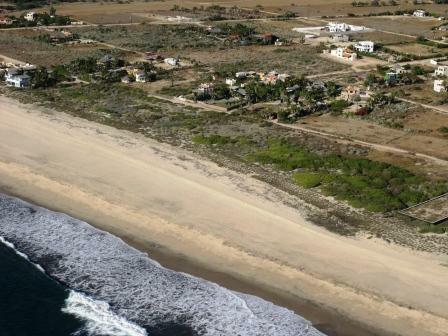 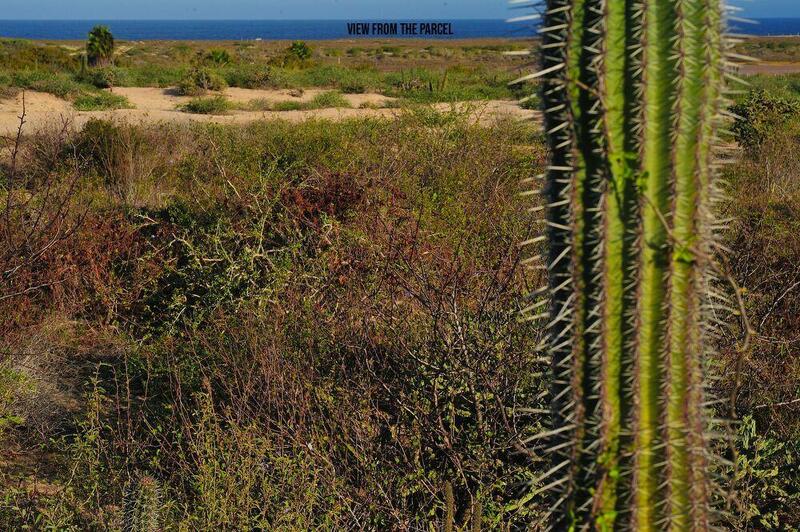 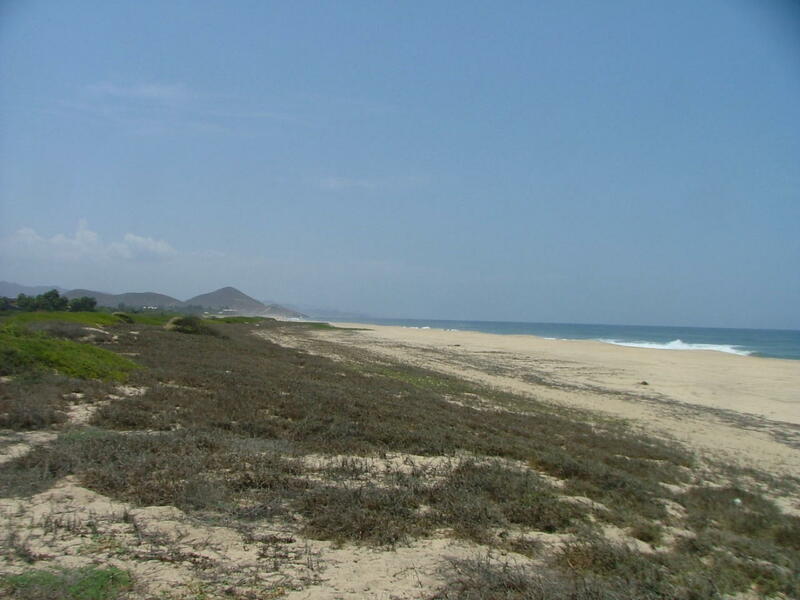 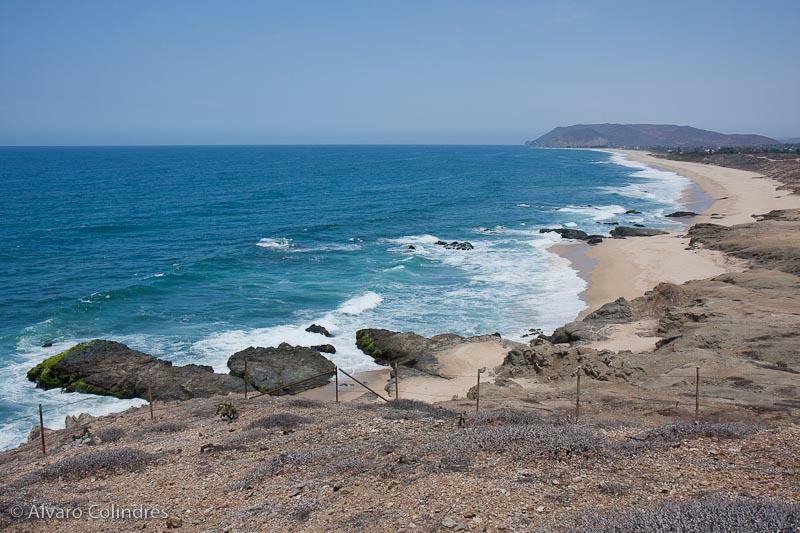 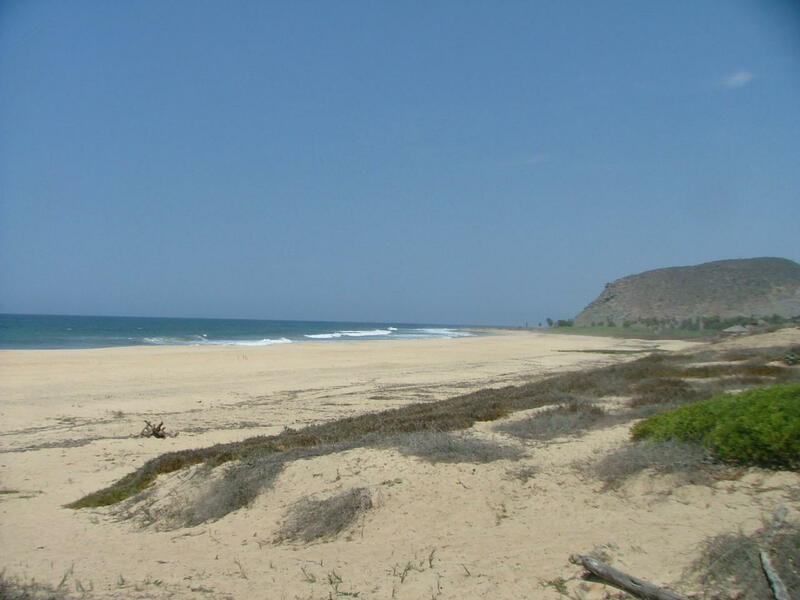 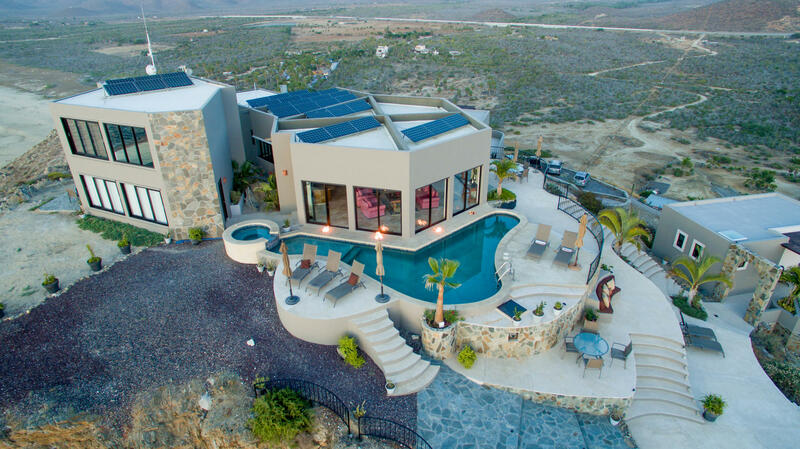 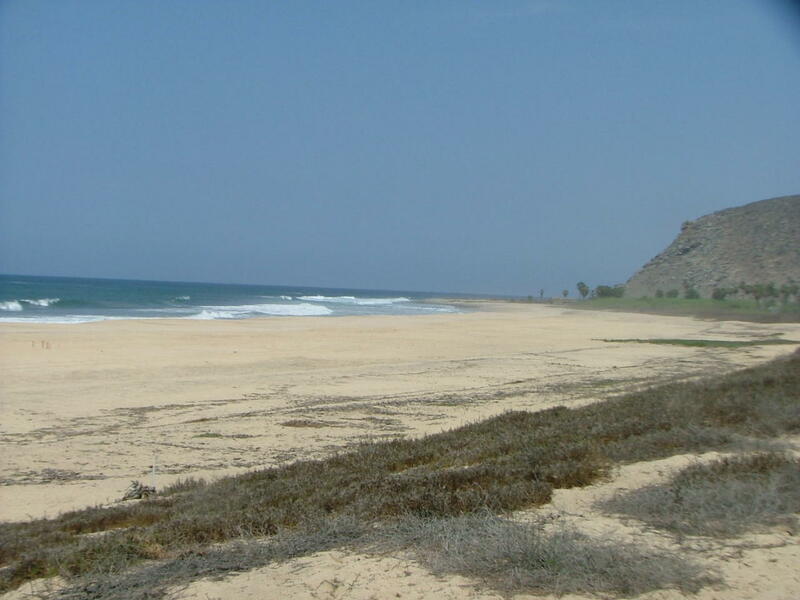 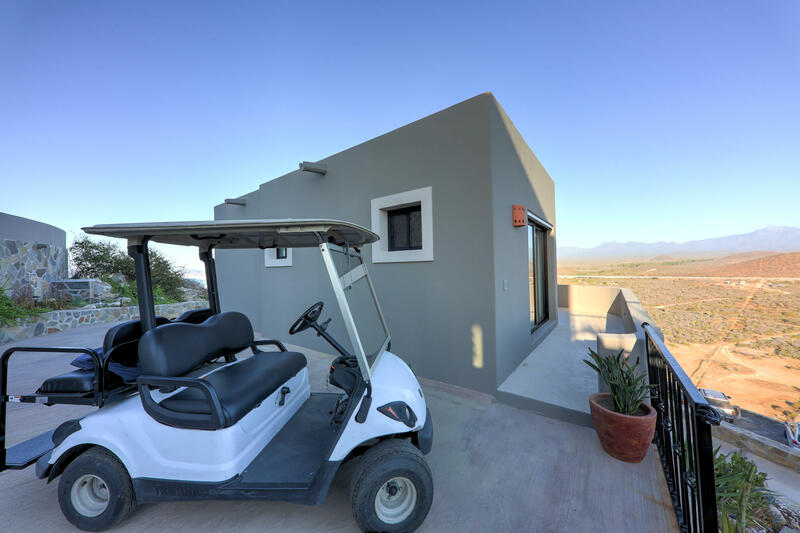 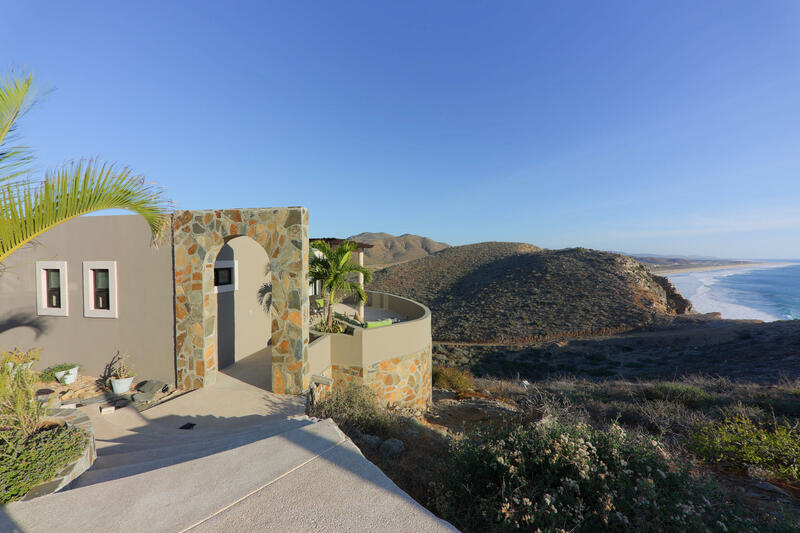 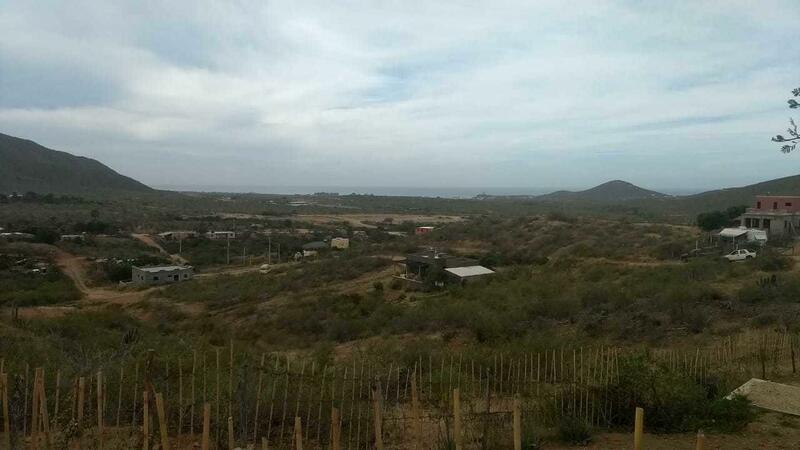 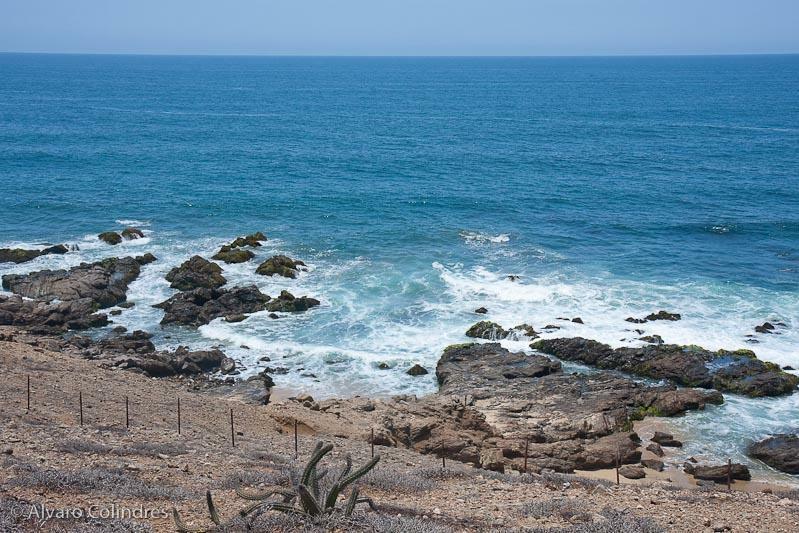 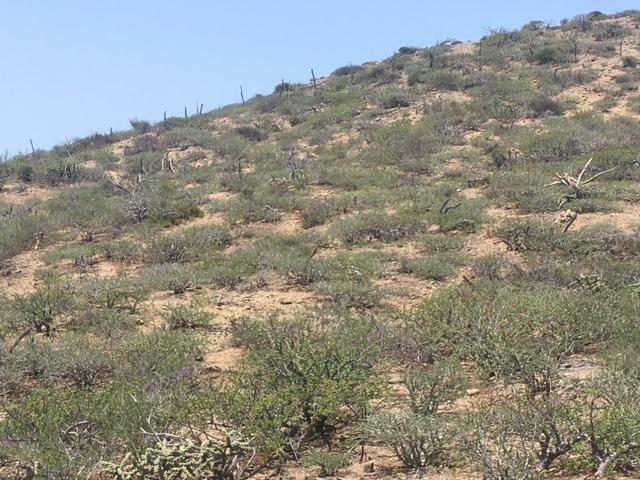 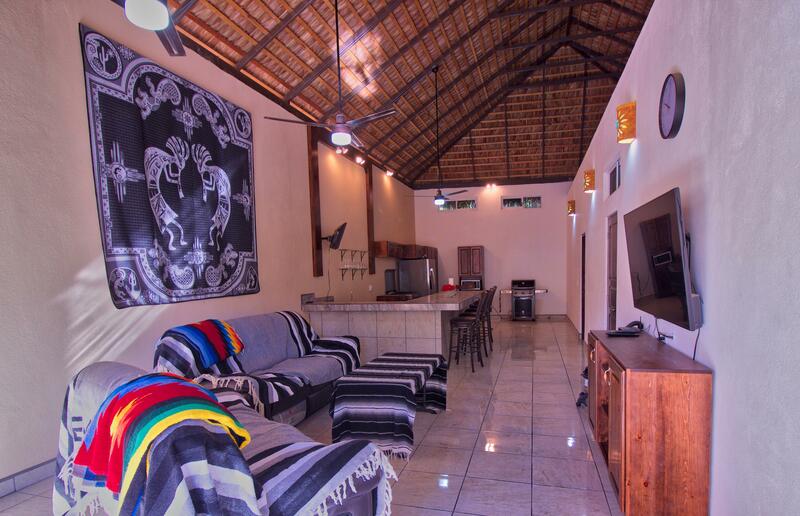 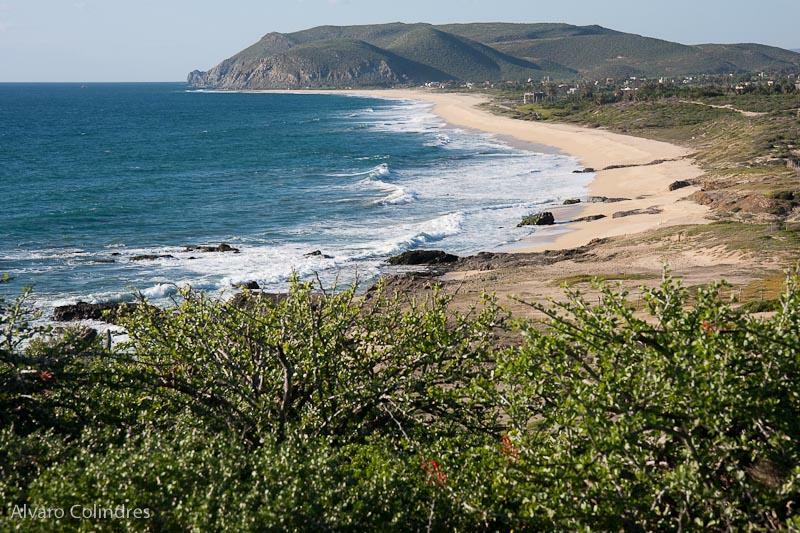 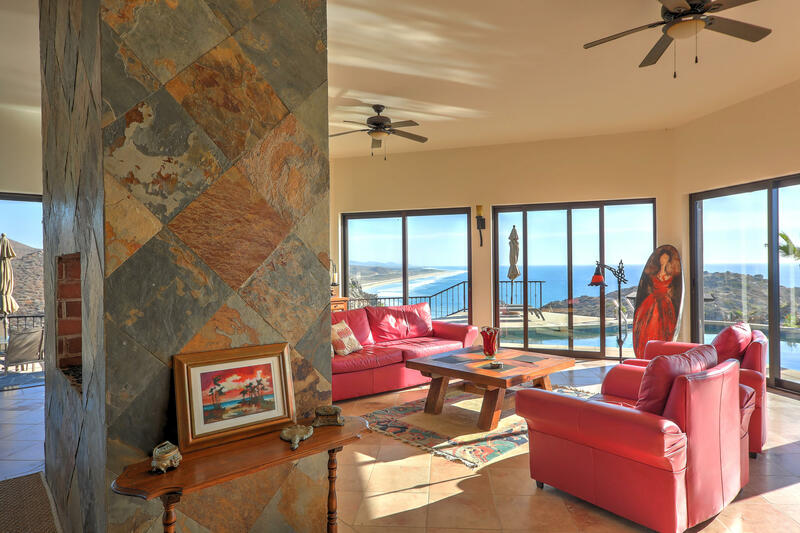 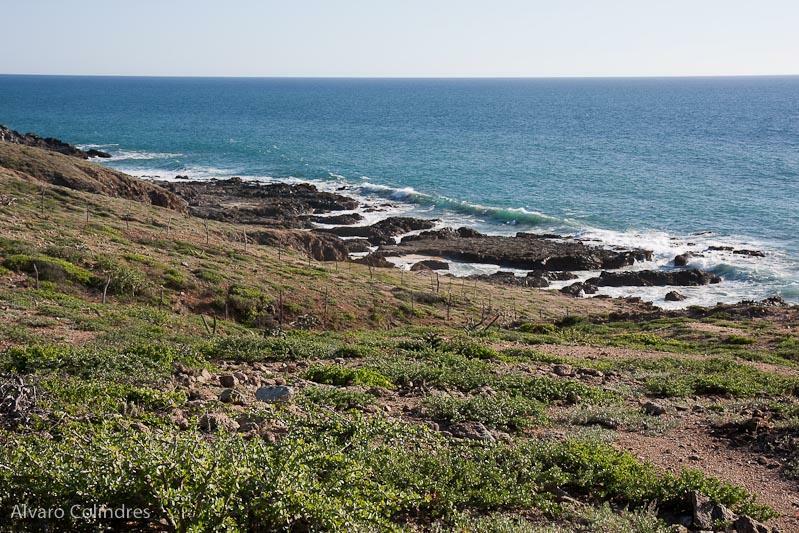 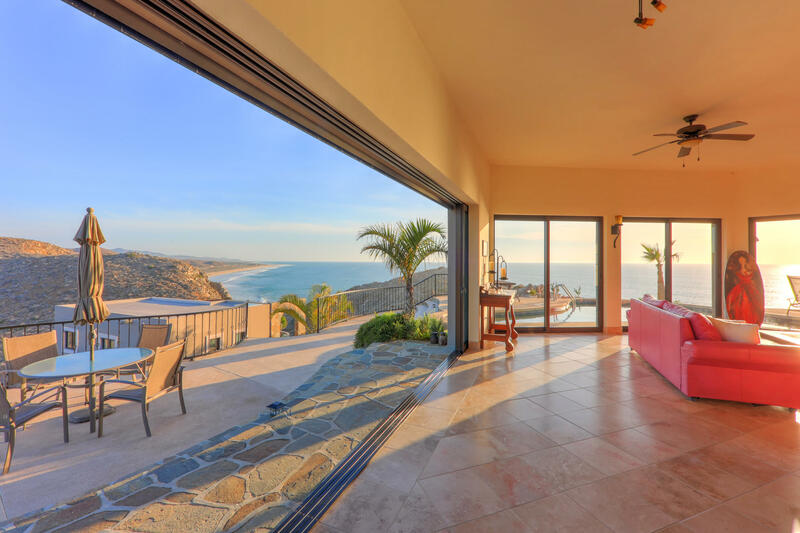 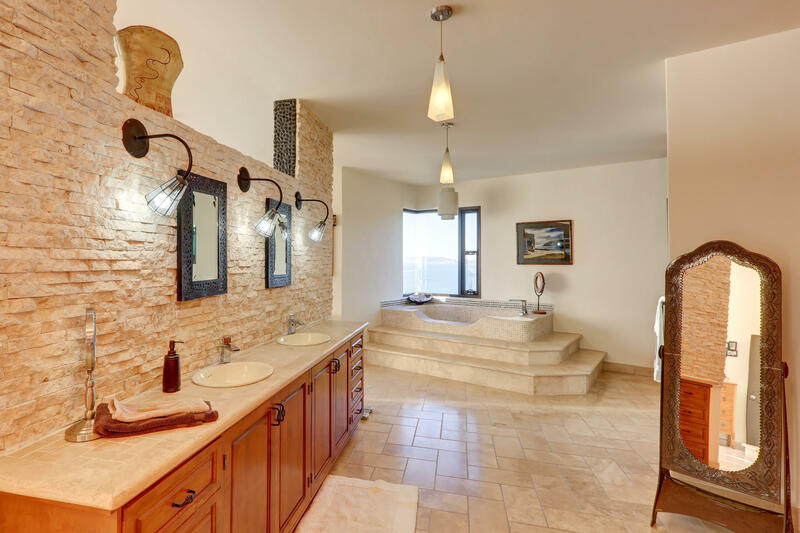 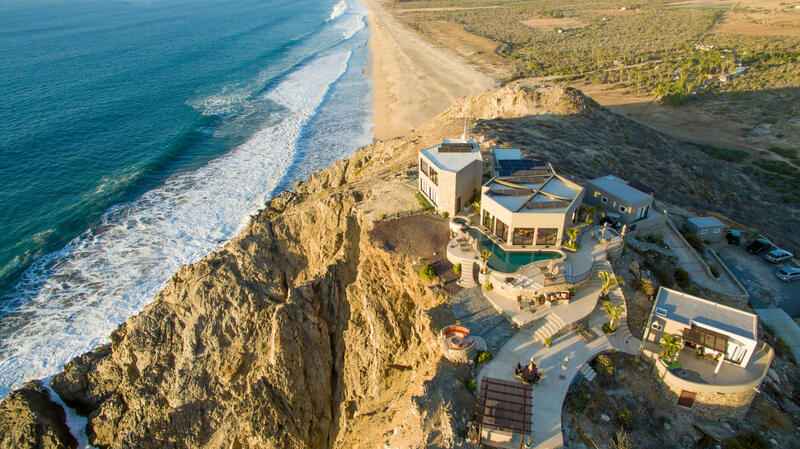 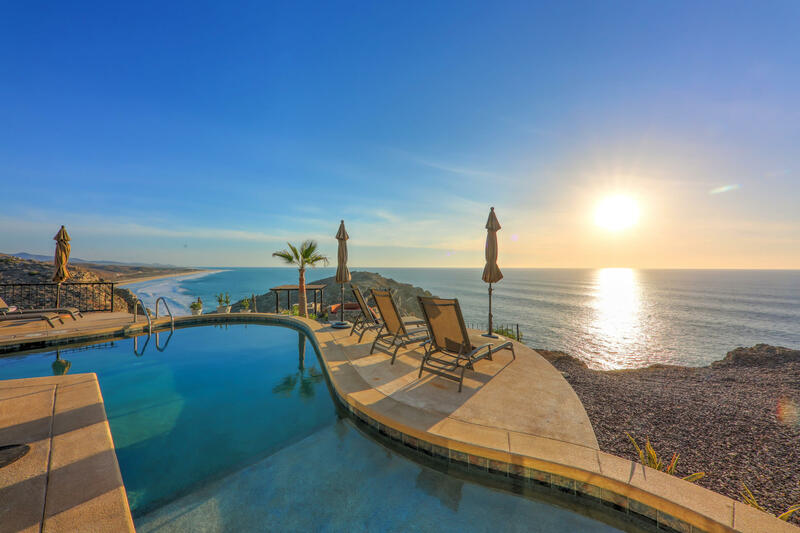 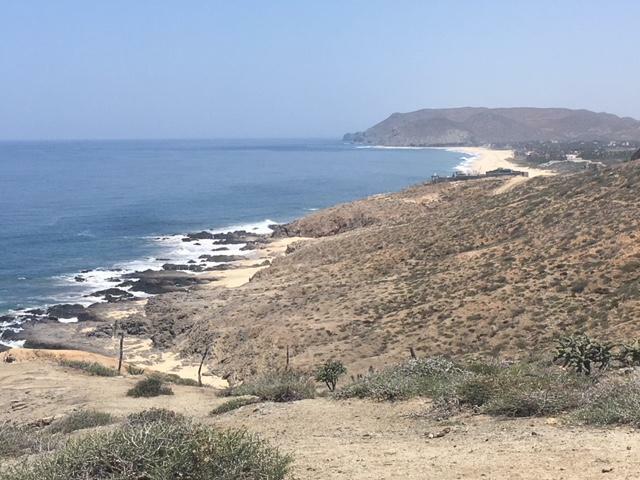 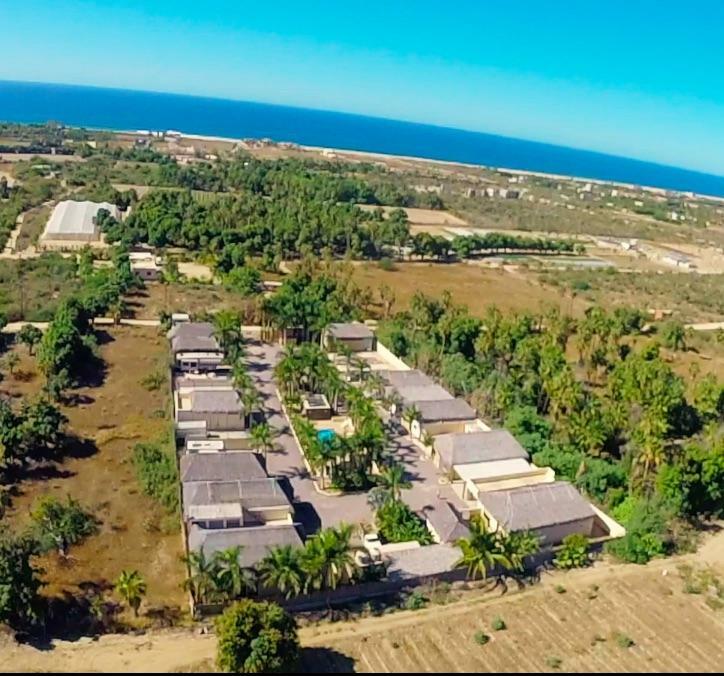 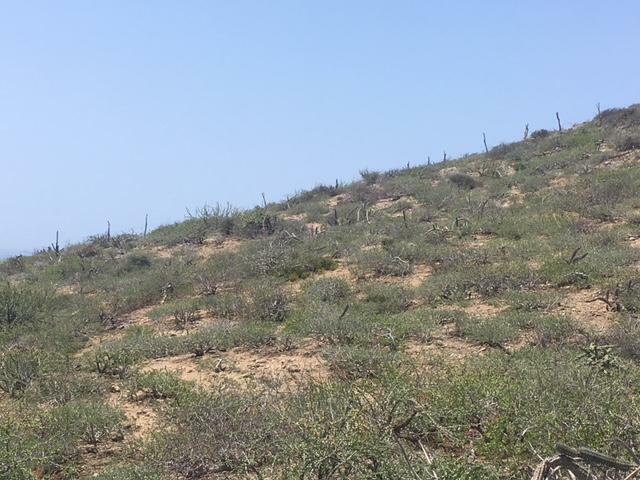 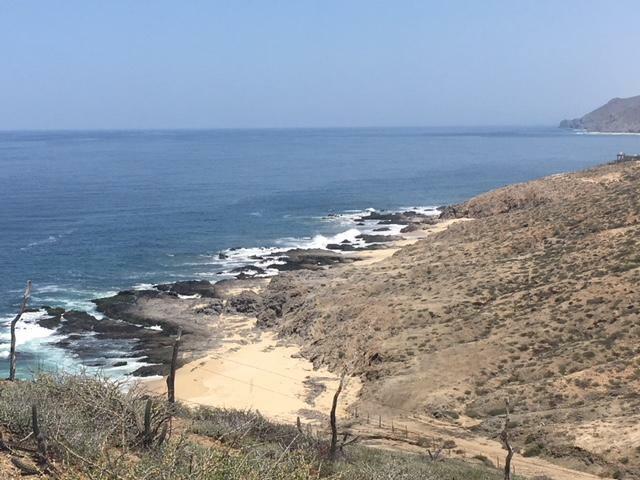 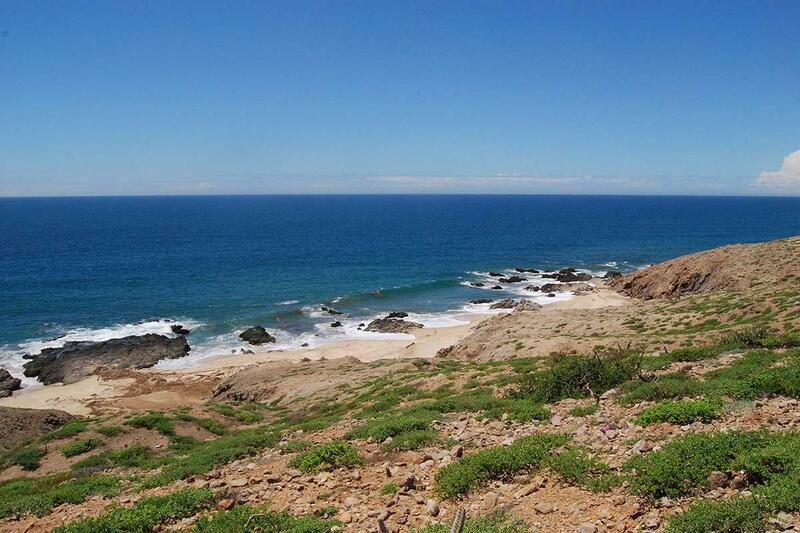 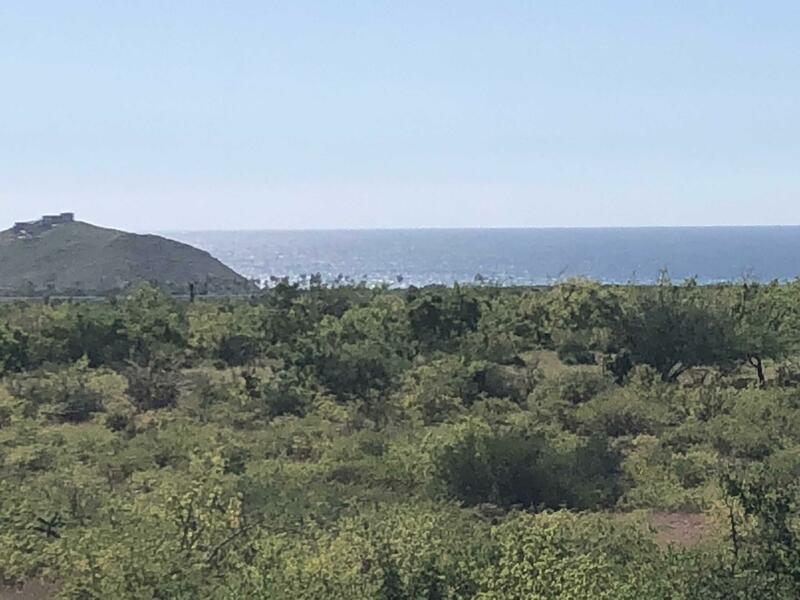 The property is 120 meters wide and about 75 meters from road to the beach and rocks.It is only a short walk from the swimming and surfing at Los Cerritos, and there is easy access to the highway if you want to go to Todos Santos, La Paz or Los Cabos. 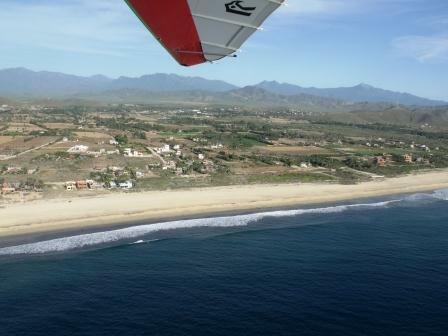 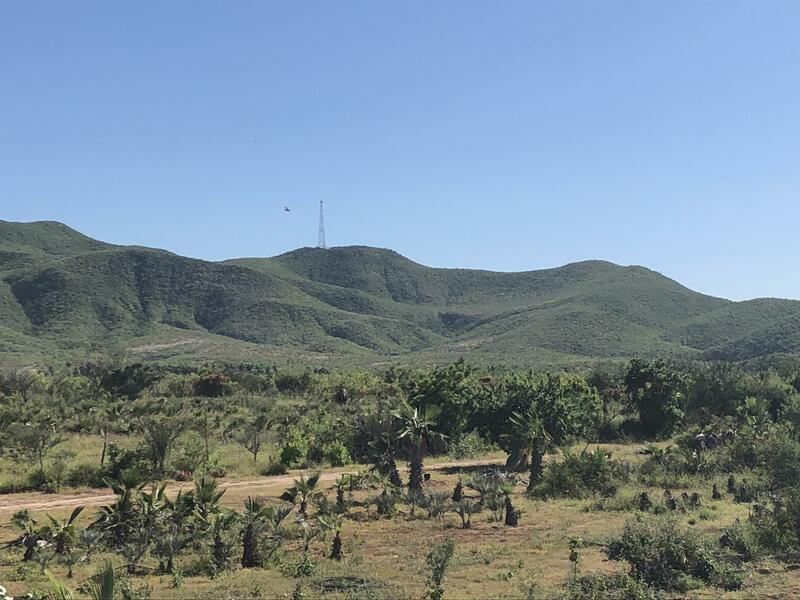 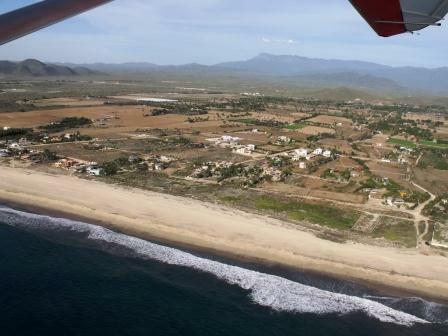 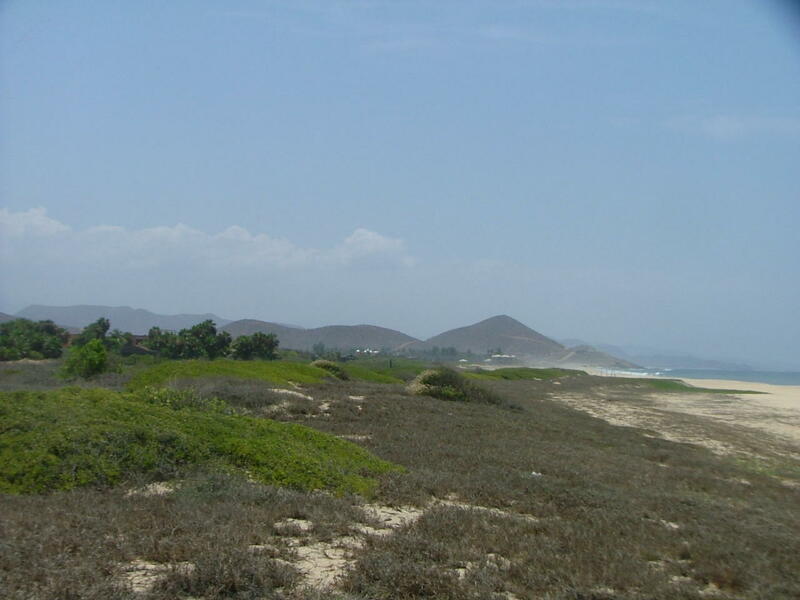 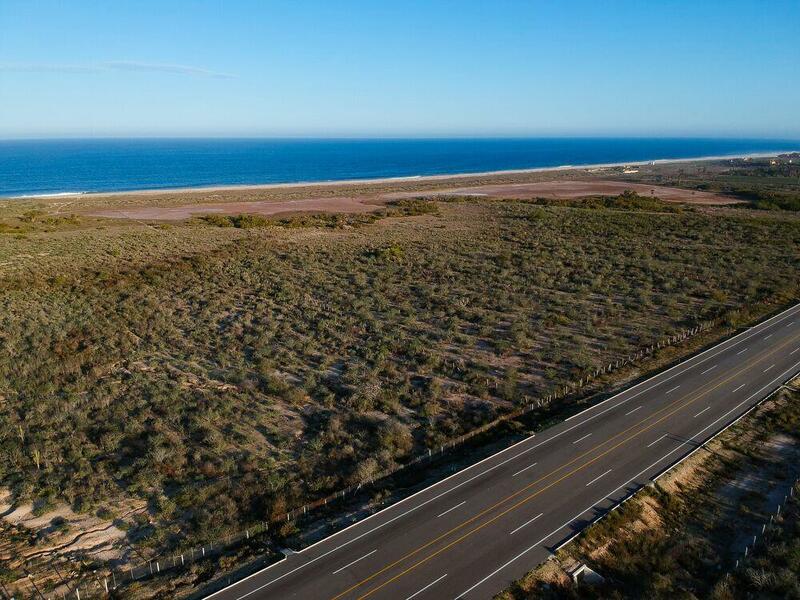 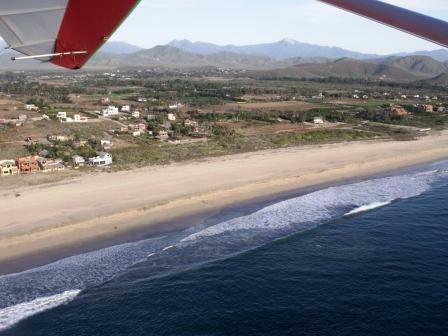 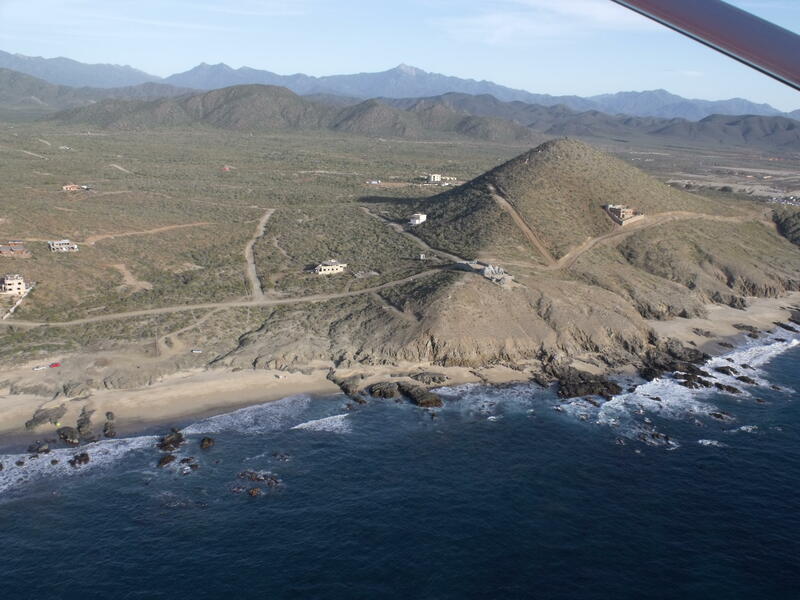 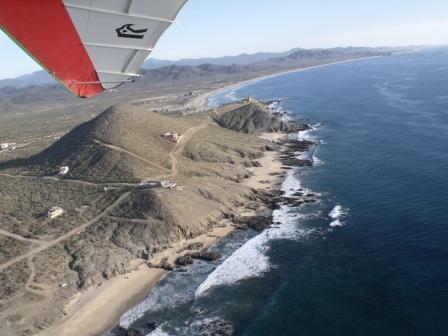 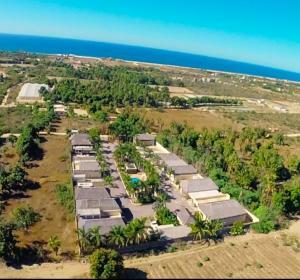 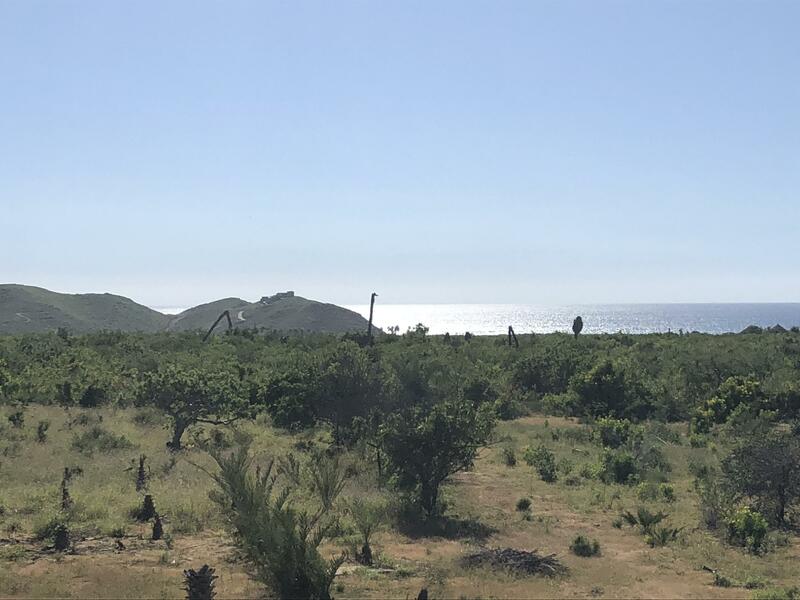 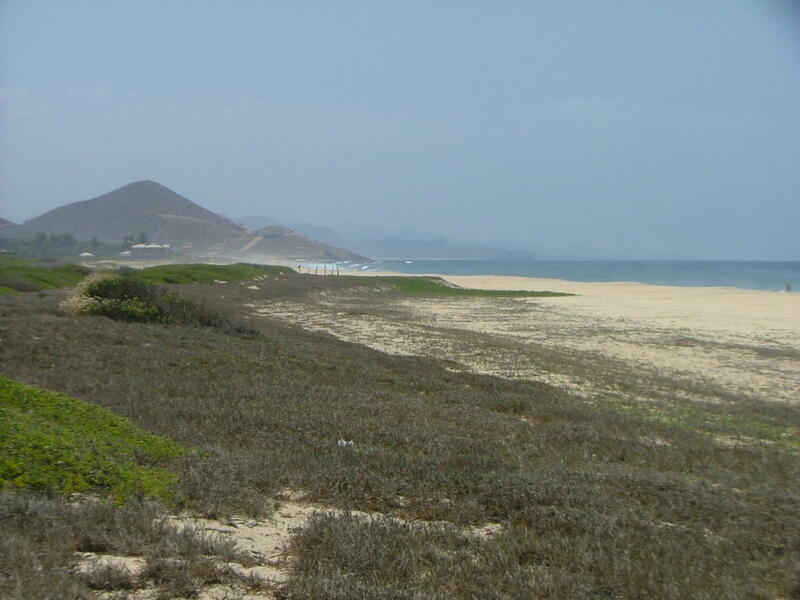 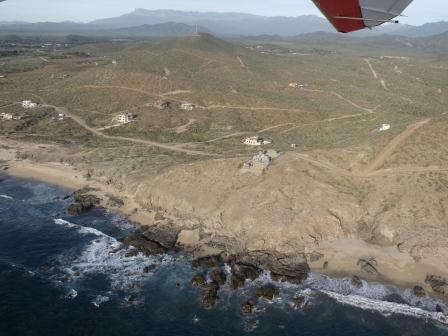 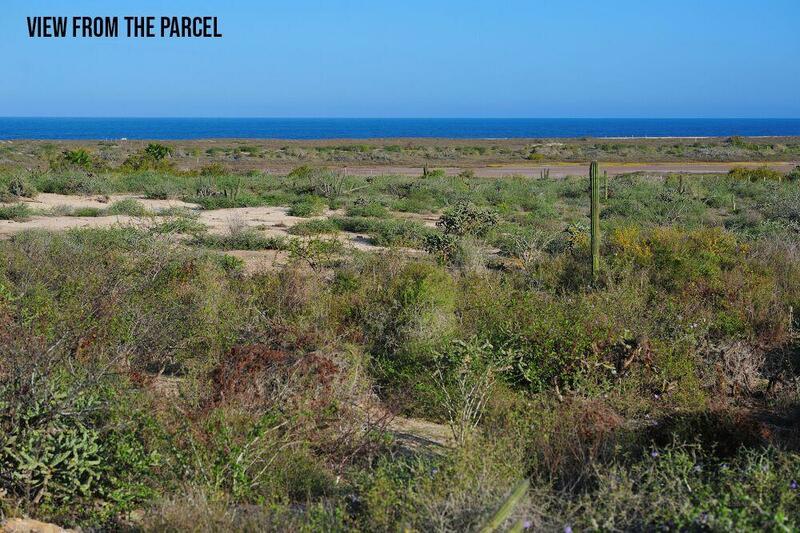 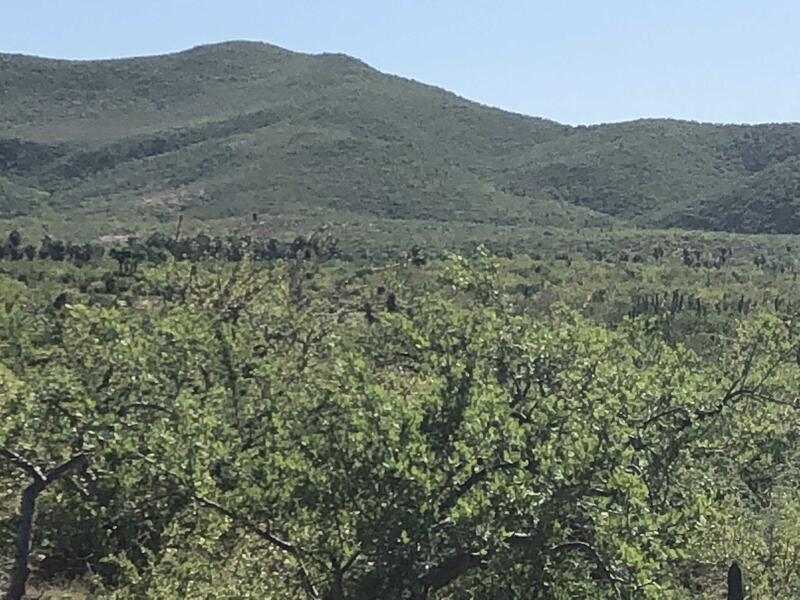 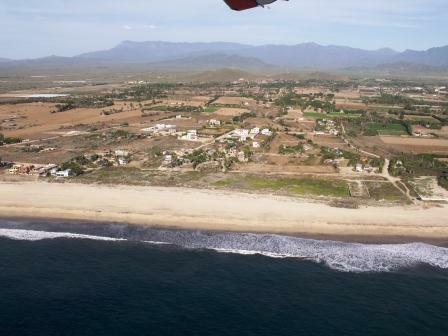 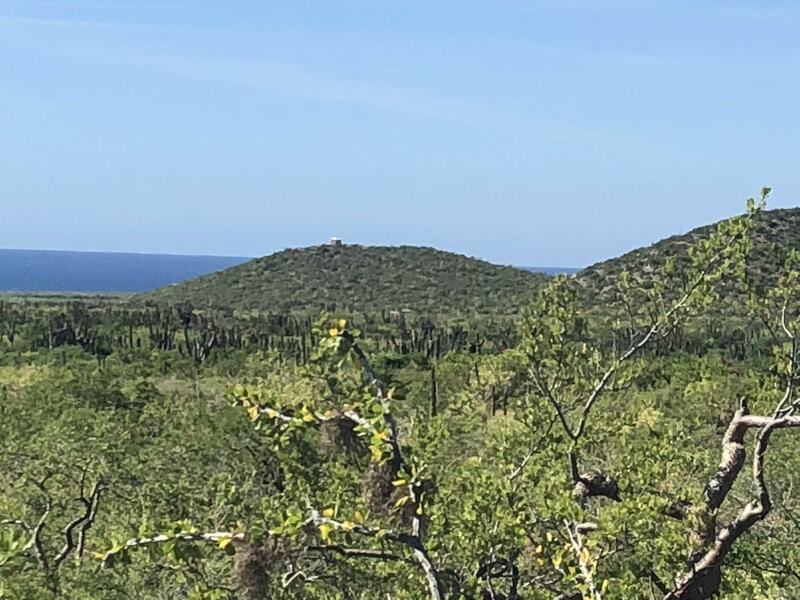 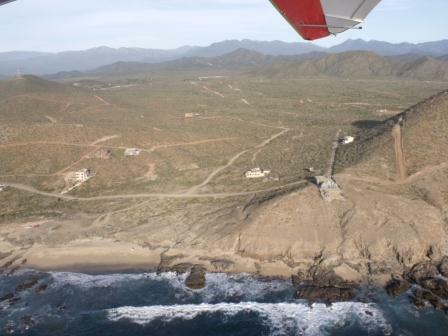 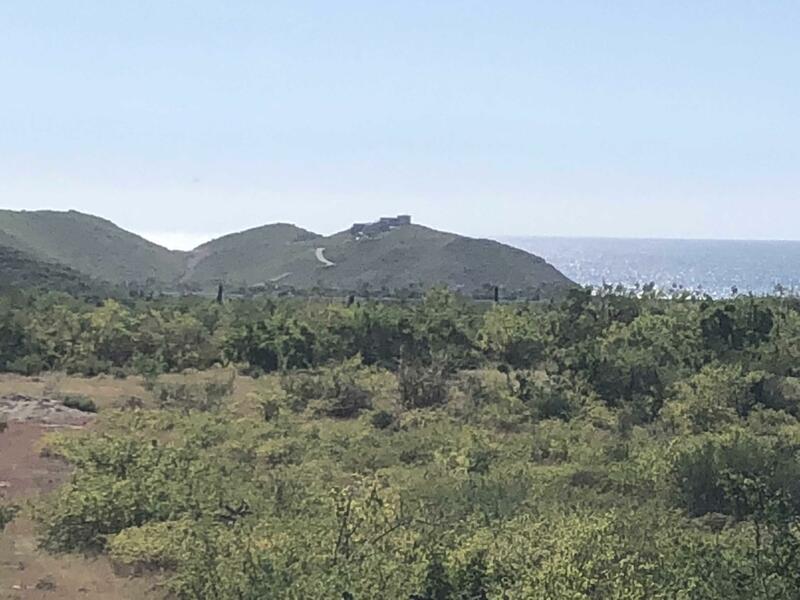 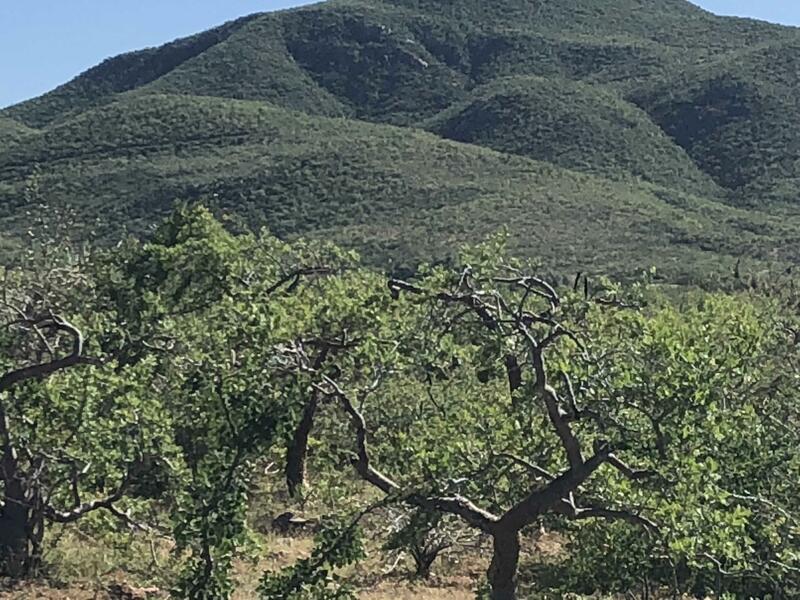 The International airport in Los Cabos is just about an hour away on the new bypass highway.We are offering all six parcels together at $1,200,000 or make offer on individual lots. 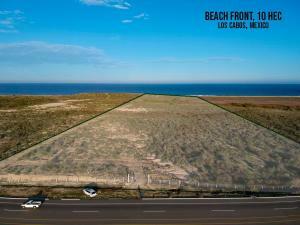 Description: For sale under business! 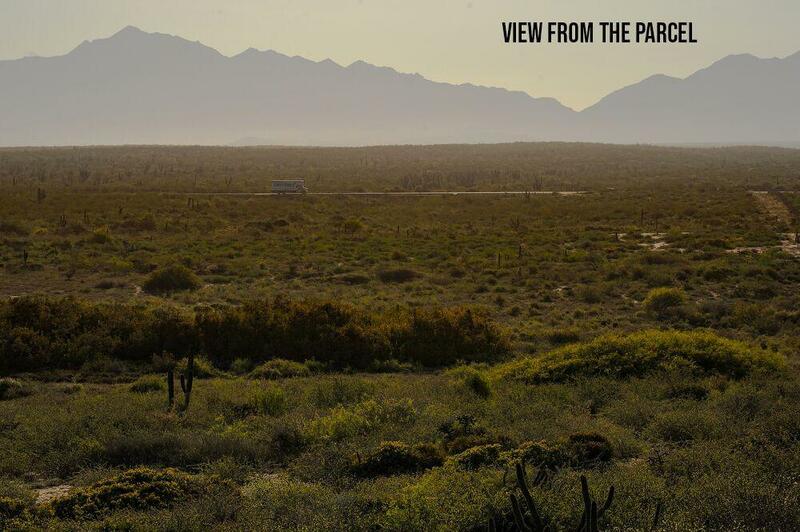 Turnkey compound with 22 rv spaces. 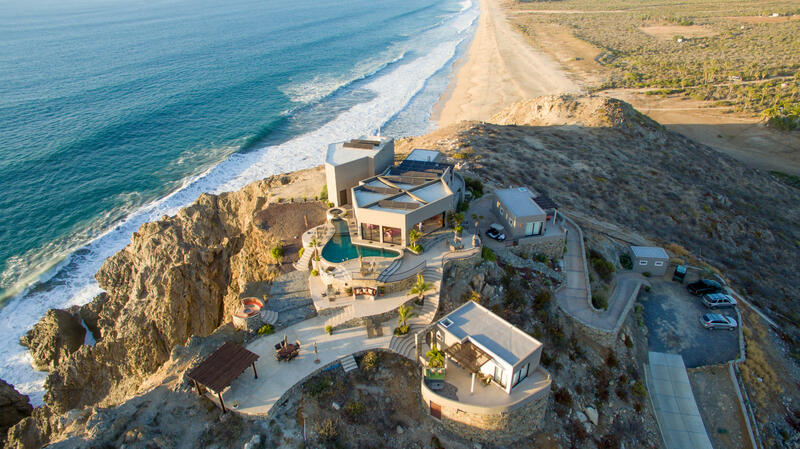 Full time and part time occupancy. 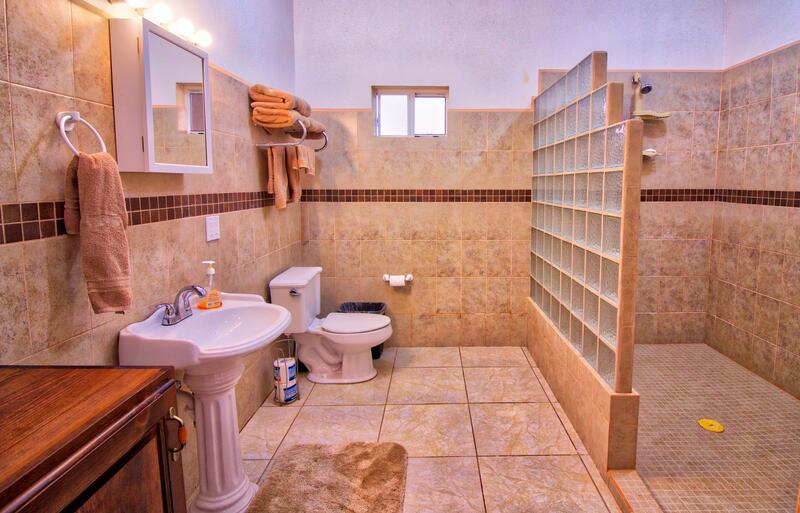 Three spaces currently occupied by owner. 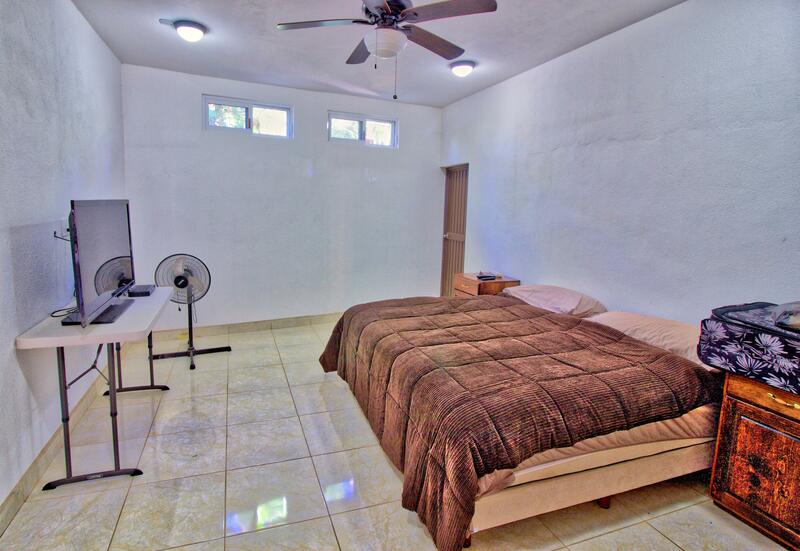 Additional spaces bring a minimum of $400 usd per month. 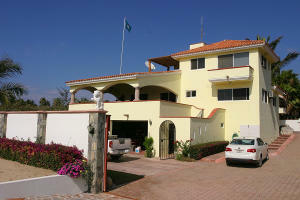 Main house occupied by seller. 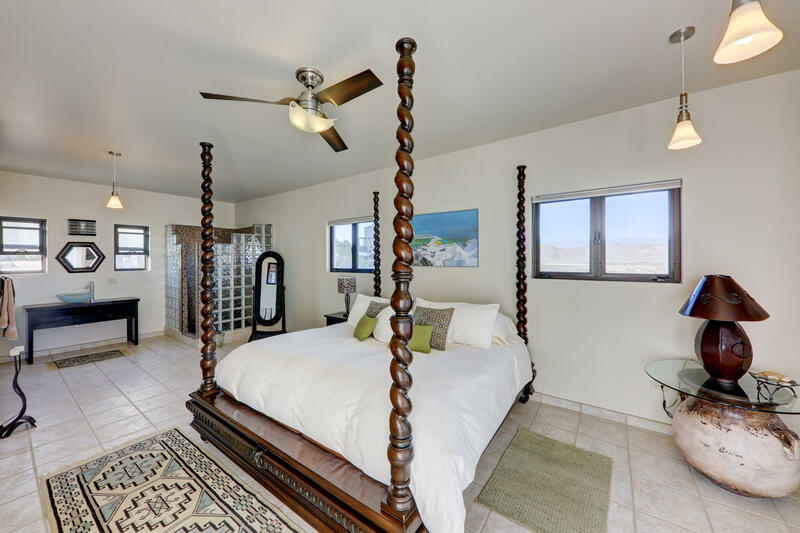 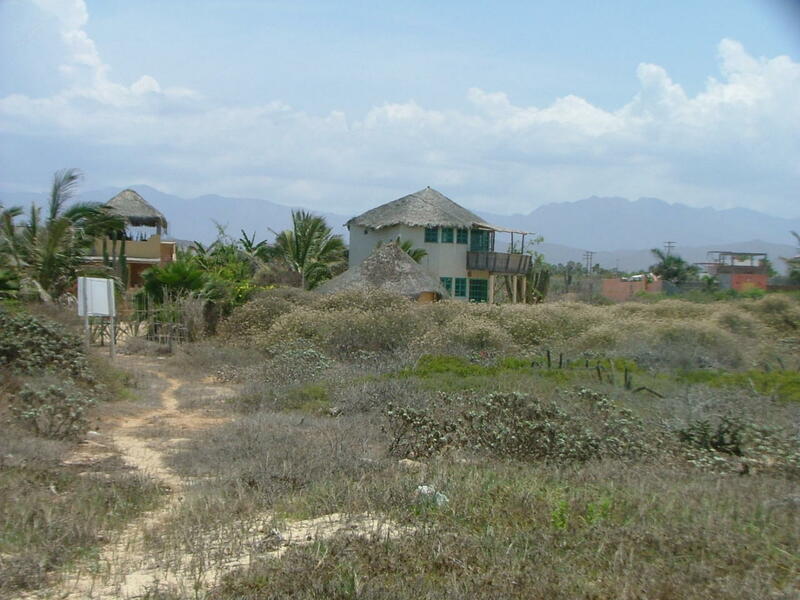 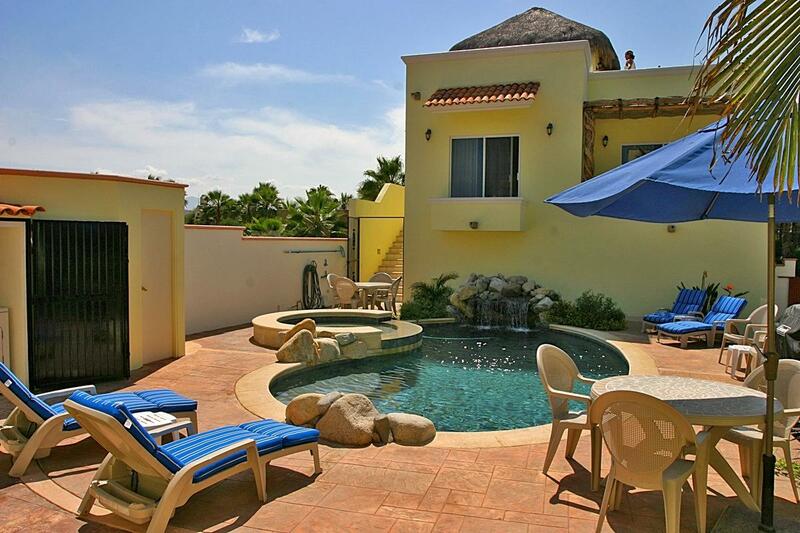 Two additional fully constructed residences owned by seller and used as vacation rentals. 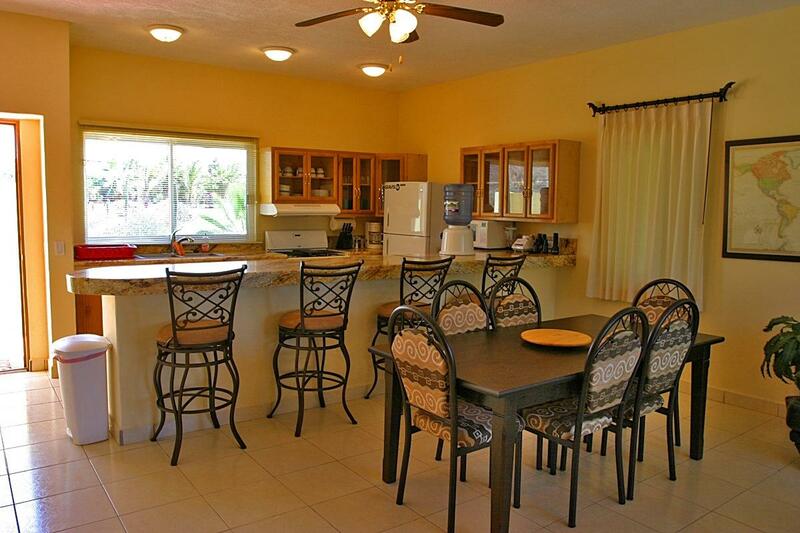 Completely secured with all amenities. 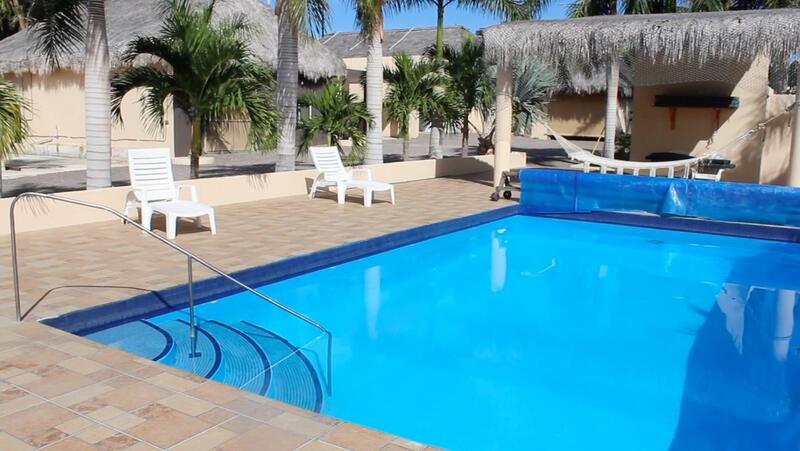 Power, water, laundry facilities, swimming pool. 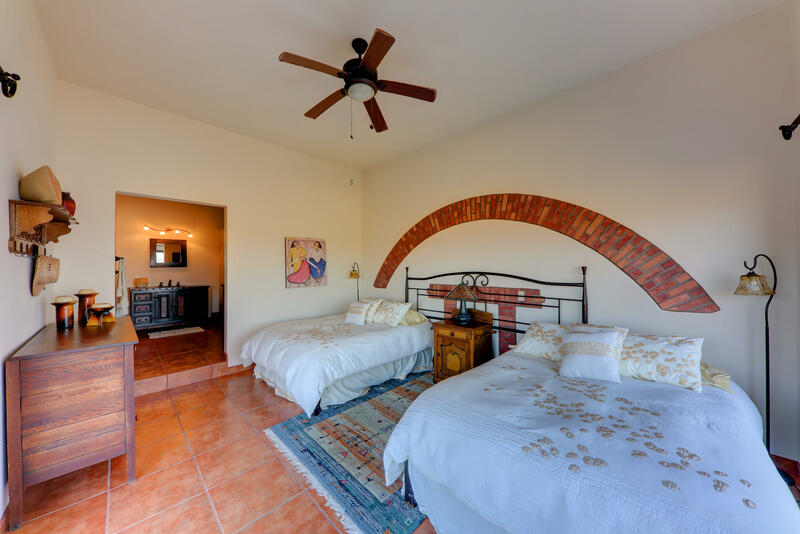 Situated in the heart of the Pescadero huertas. 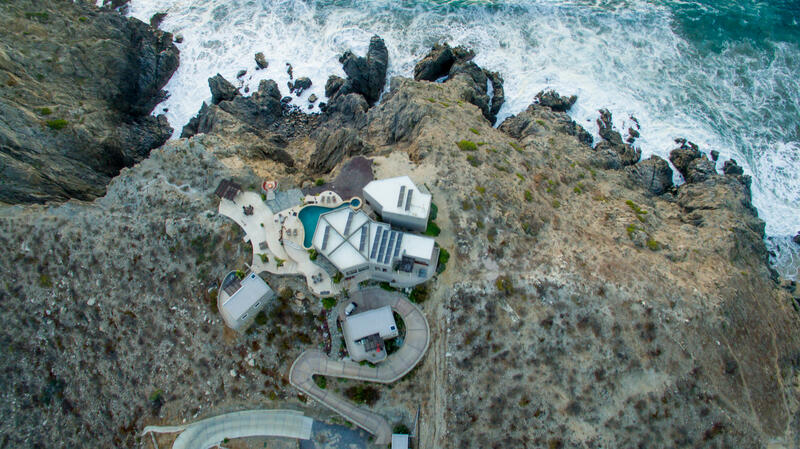 A perfect retirement opportunity with built in income. 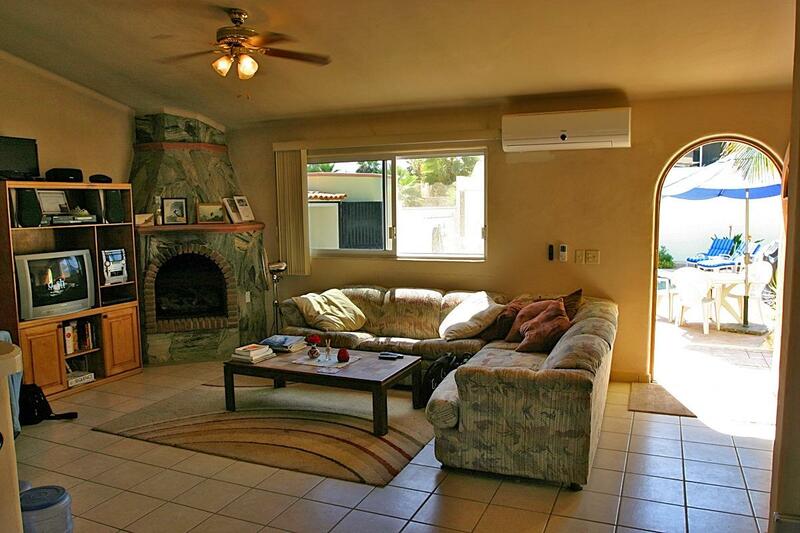 Low maintenance, minimal overhead operation. 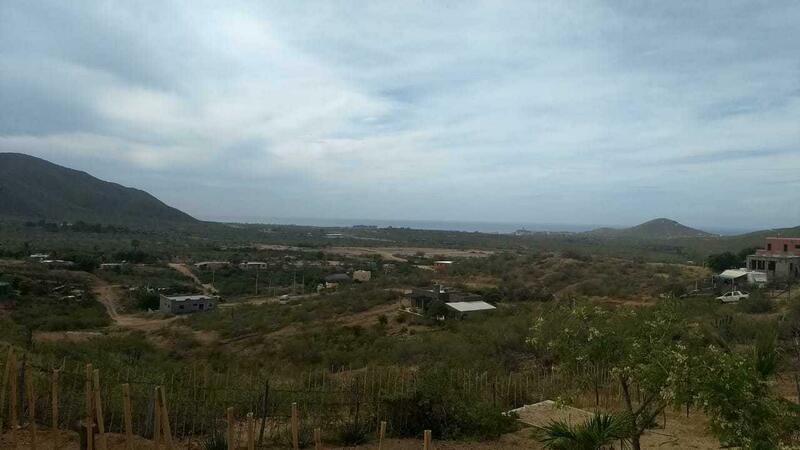 Description: The one and only prominent bluff in El Gavilon where earth and water meet to bring you to the pinnacle of your dream location.Nepenthe! 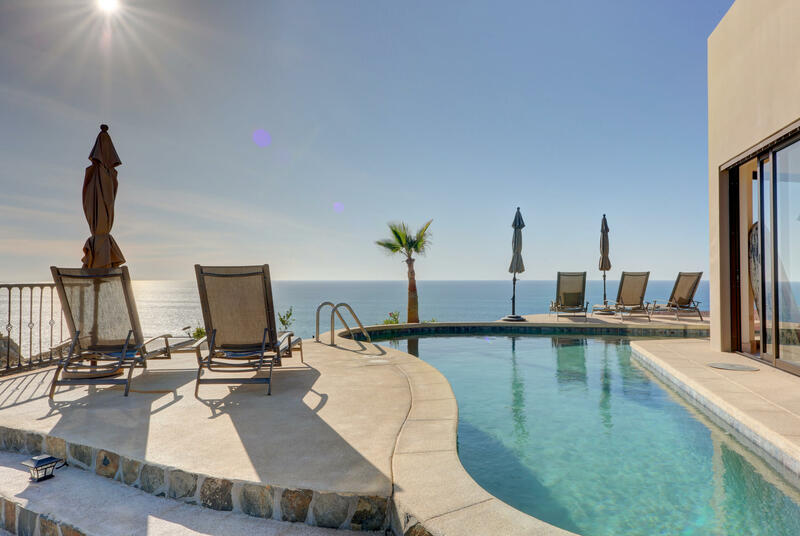 Your spirit will float in the dramatic and endless blue Pacific Ocean, Mountain and Valley Views while listening to the endless song of the sea beneath. 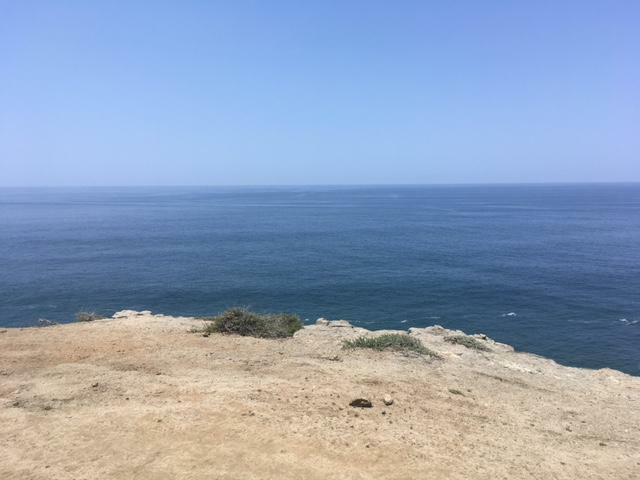 Nourish and balance your soul! 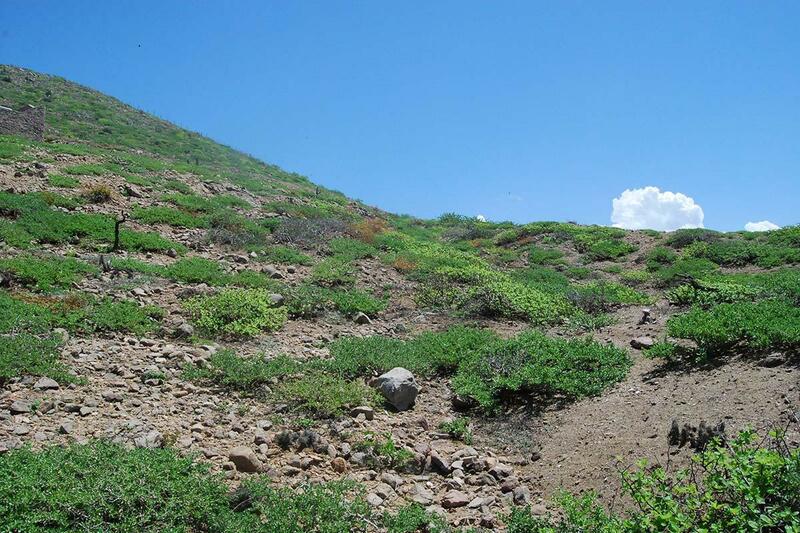 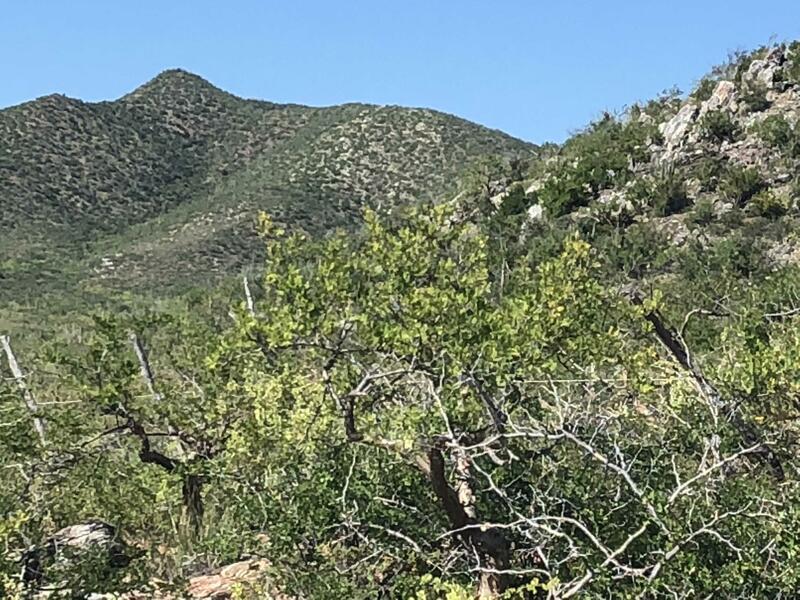 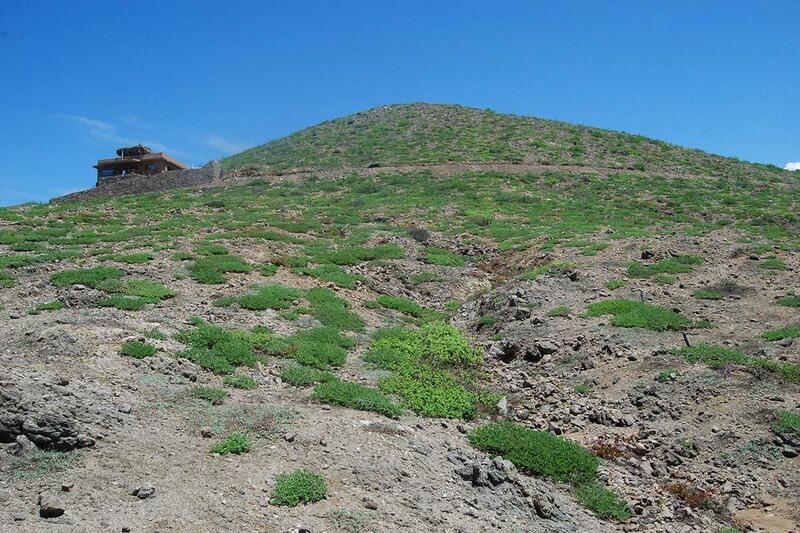 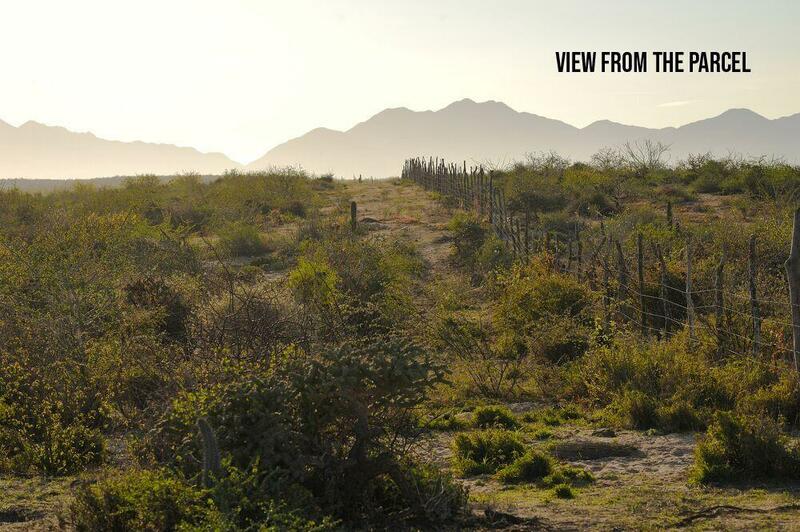 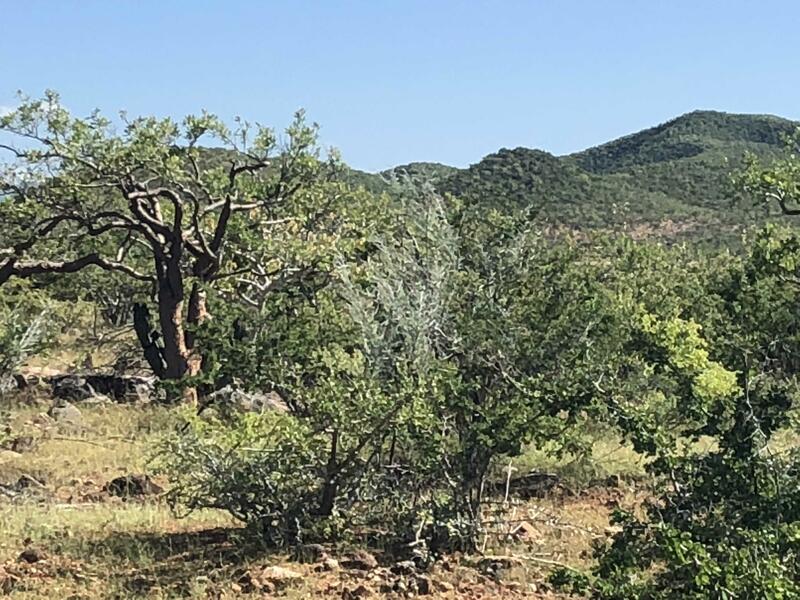 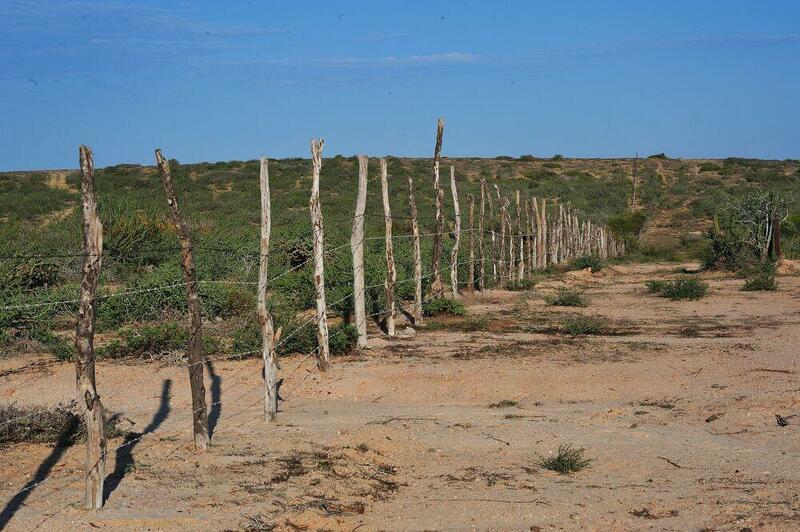 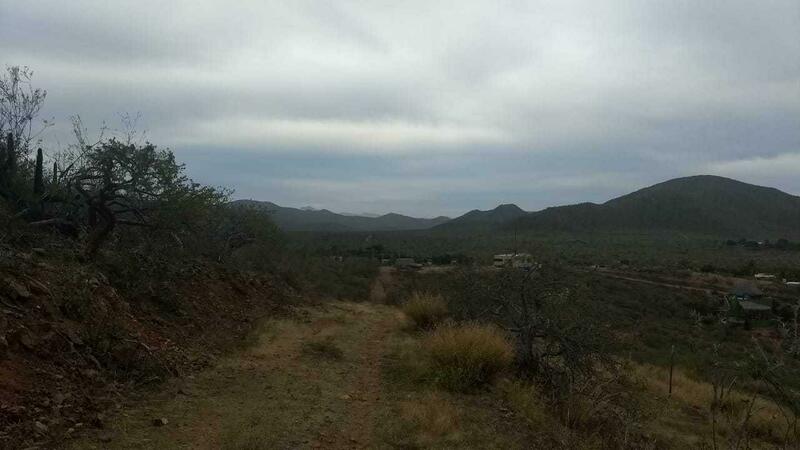 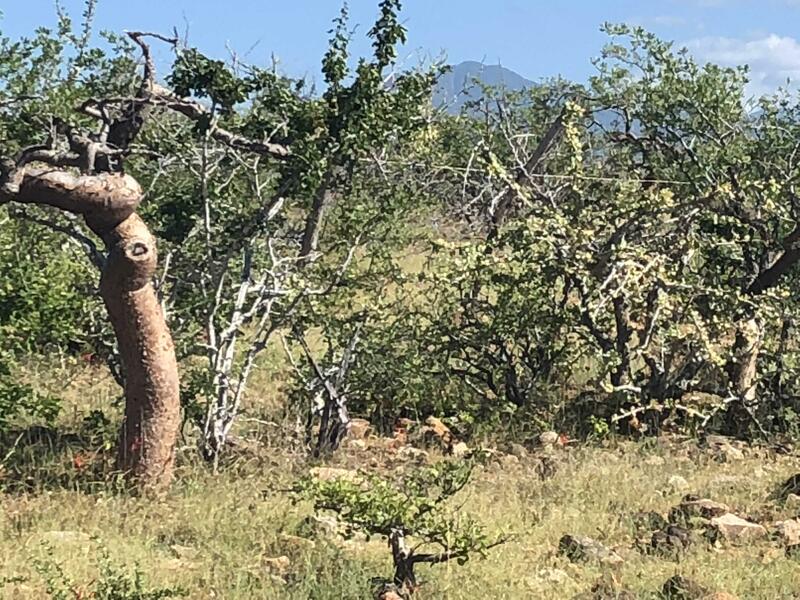 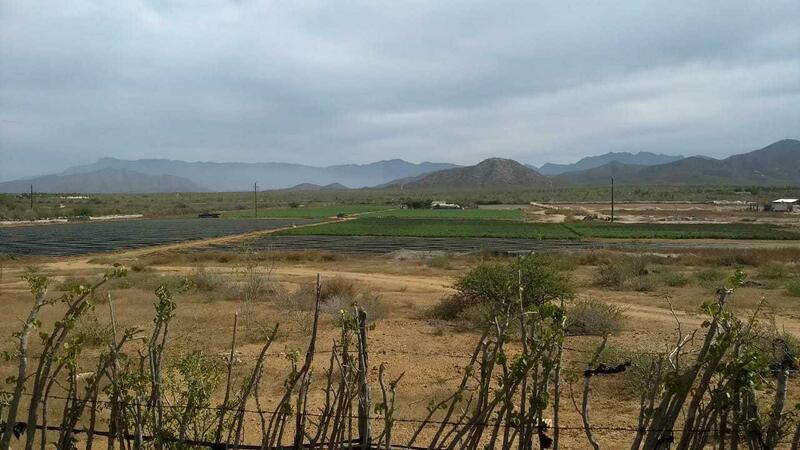 Description: 12 hectares of prime development land or private ranch. 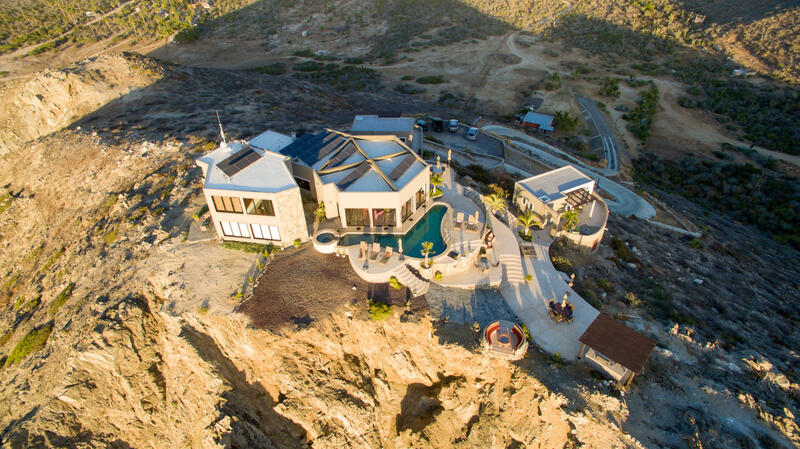 Nestled at the base of the foothills. 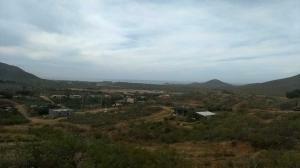 Topography is flat. 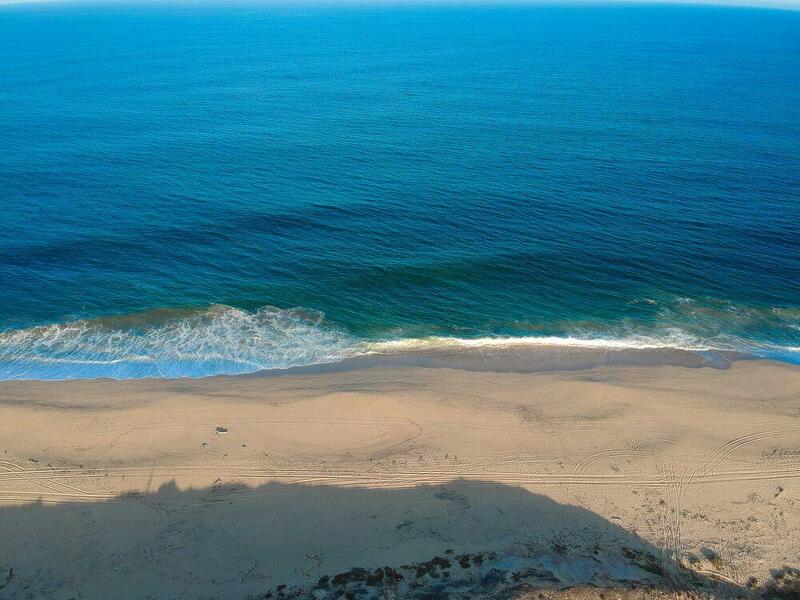 Views of the Pacific. 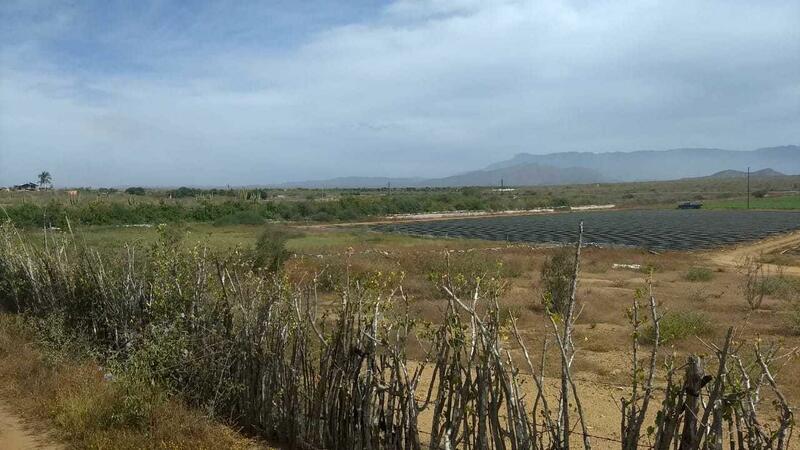 Surrounded by Sierra Madres. 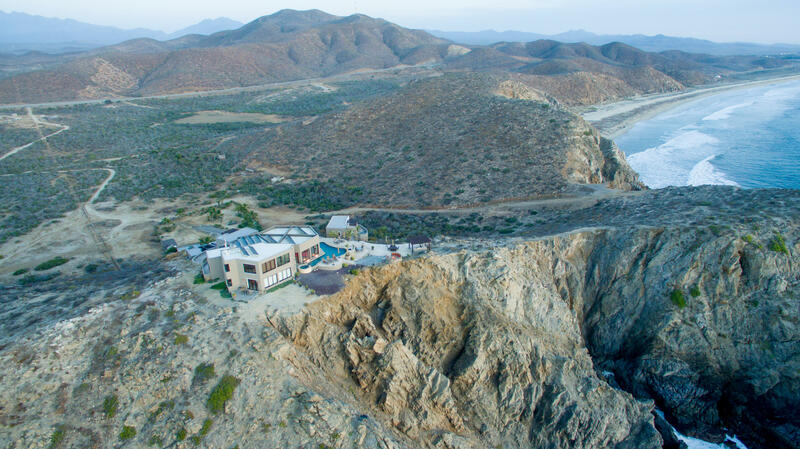 20 miladas of water. 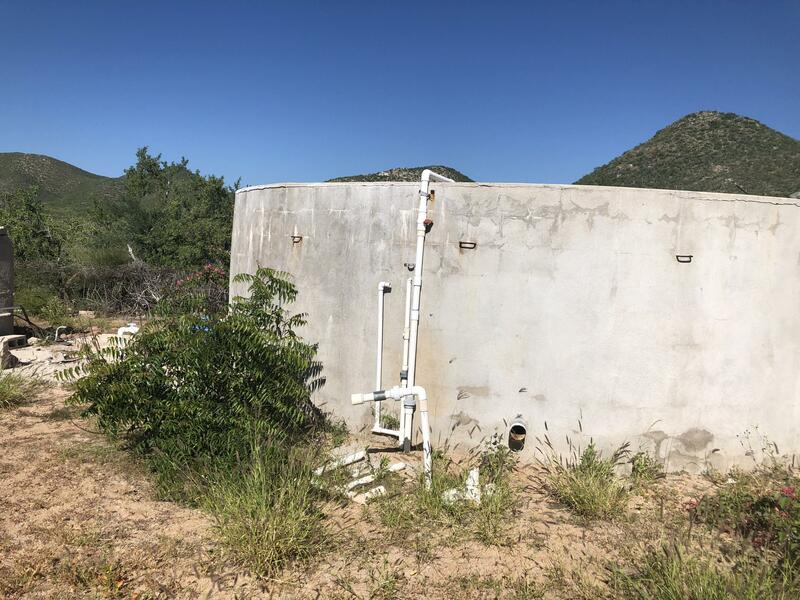 Legal well. 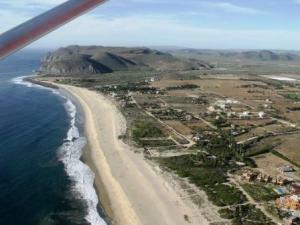 Arroyo with seasonal water. 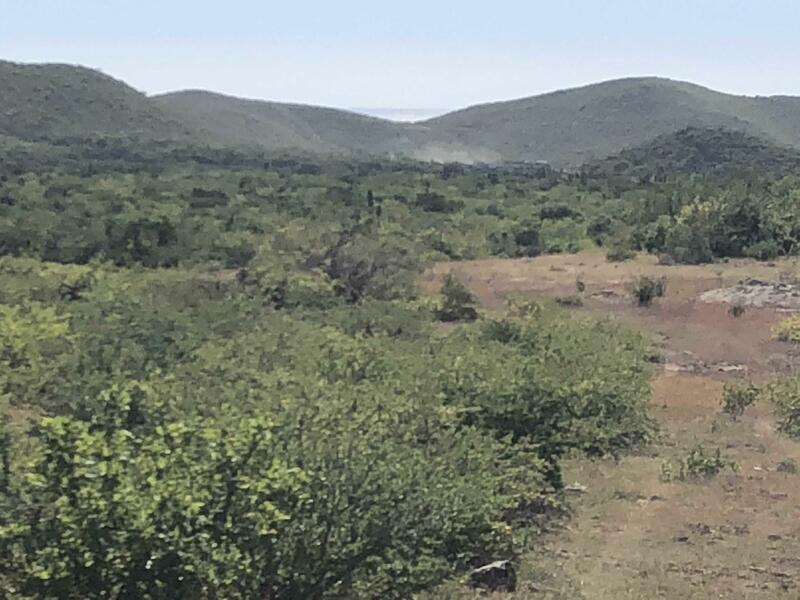 Well maintained dirt road. 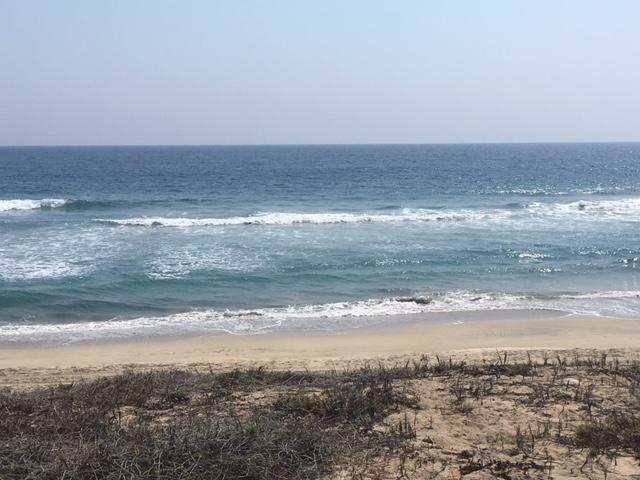 5 minutes off the highway. 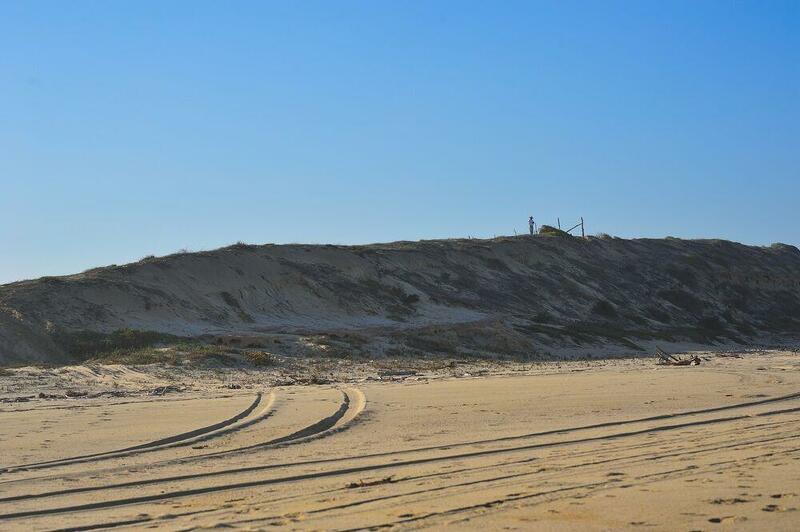 5 minutes to the beach with easy atv and vehicle access. 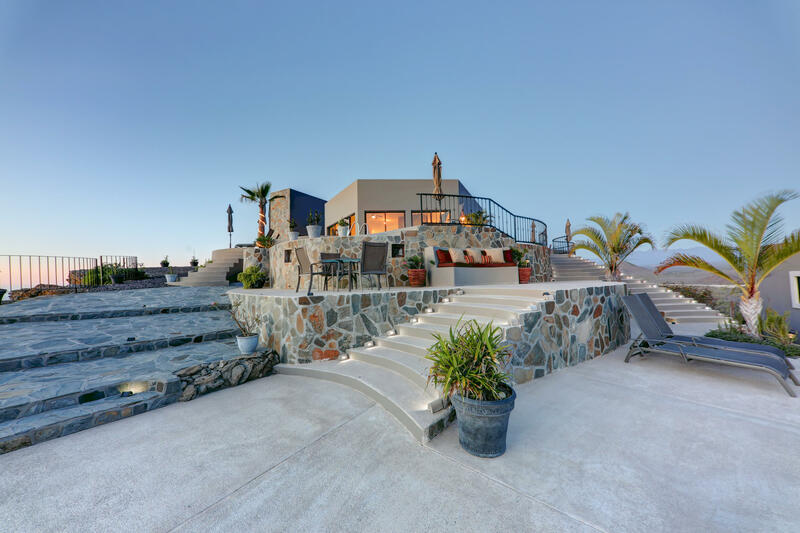 Absolutely beautiful piece of Cerritos paradise. 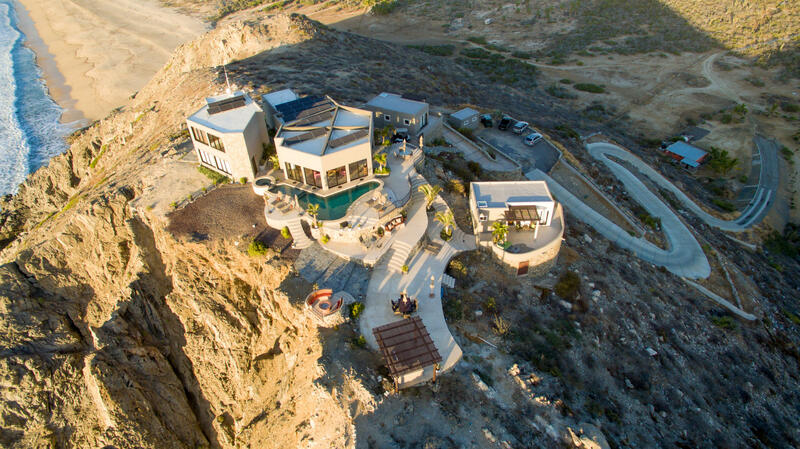 Description: Welcome to Cerritos. 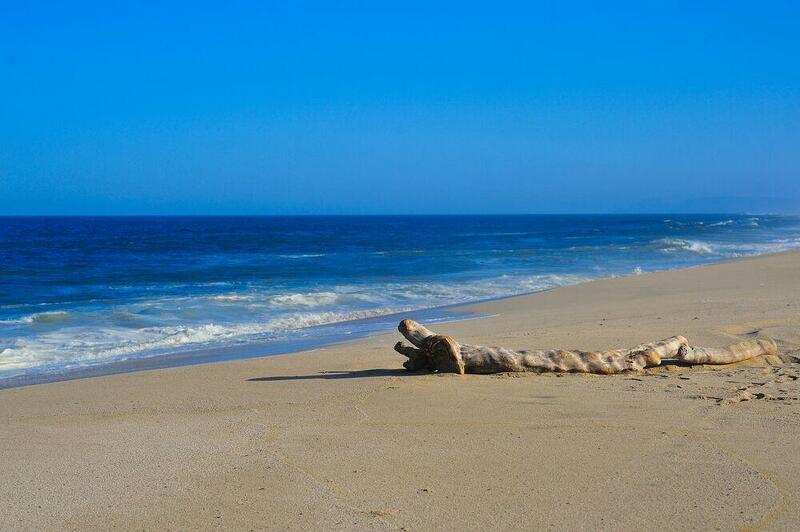 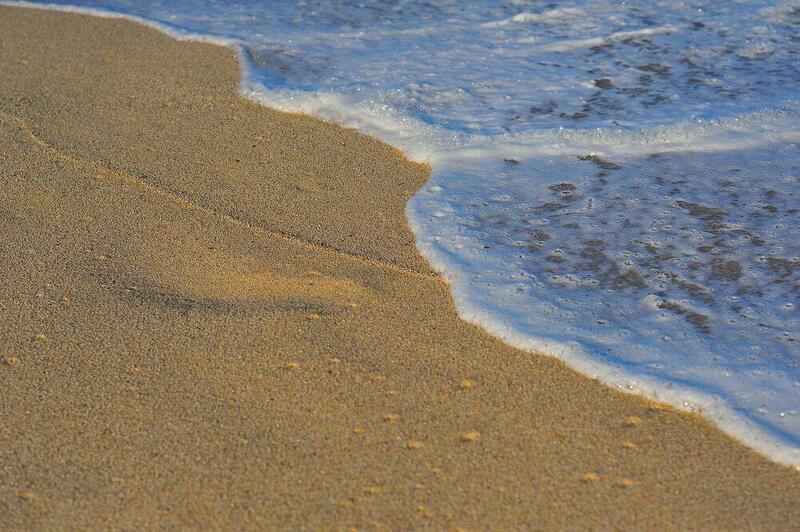 Nothing is more relaxing than listening to the ocean waves cracking on the sand and rocks. 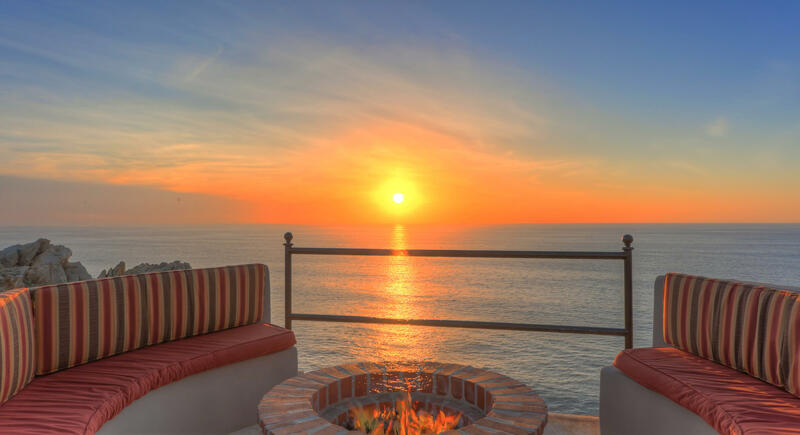 Experience the beautiful sunsets slowly sinking under the ocean waters of the horizon. 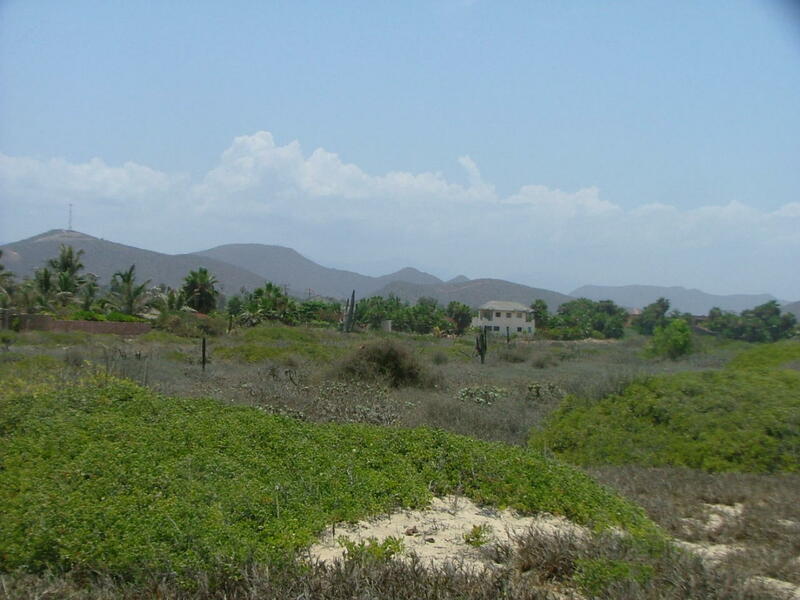 This property being sold is 3 contiguous lots totaling 4500m2. 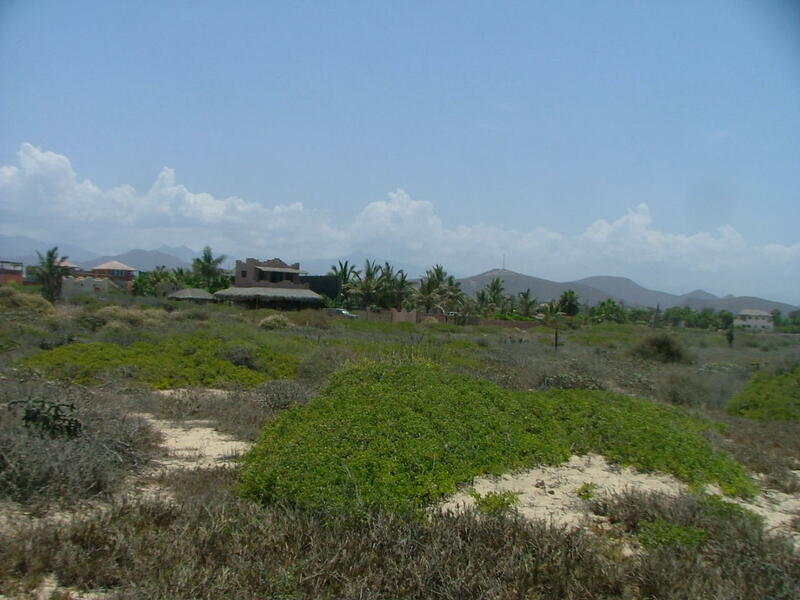 Its an ideal spot to build your recreational retreat. 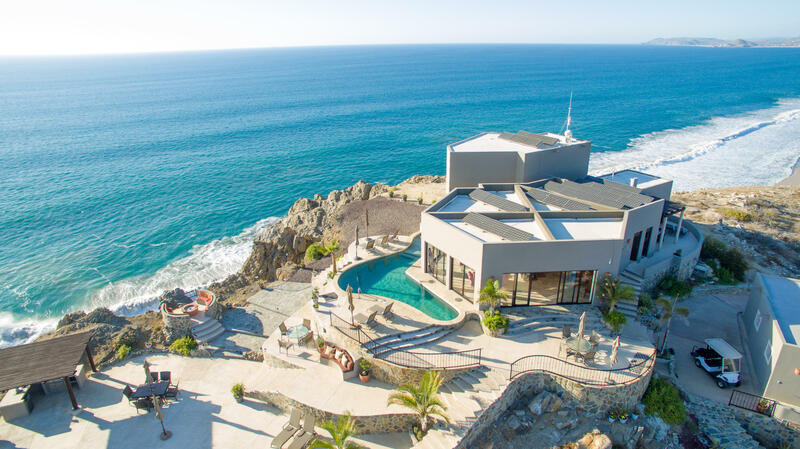 Start living your dream! 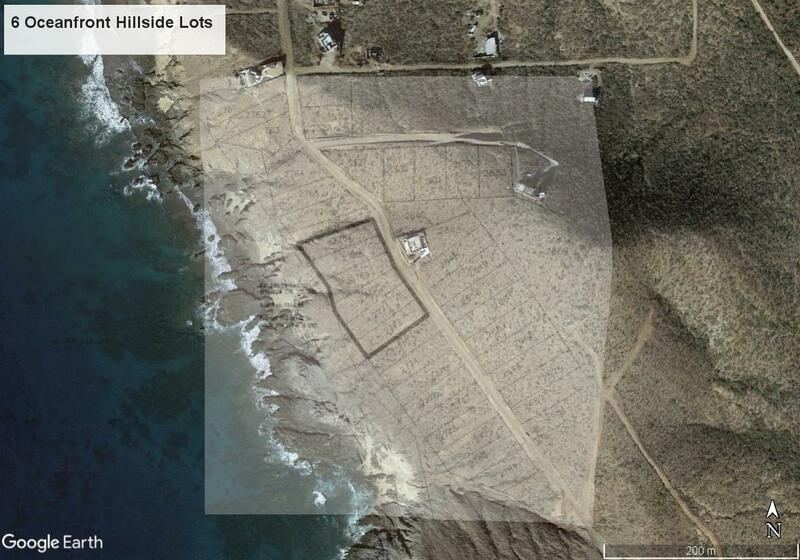 Description: $500,000 PRICE REDUCTION !!!!! 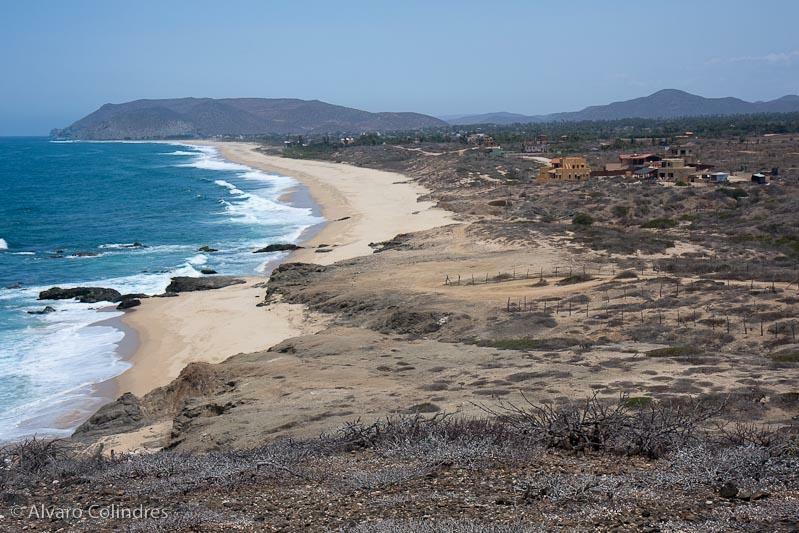 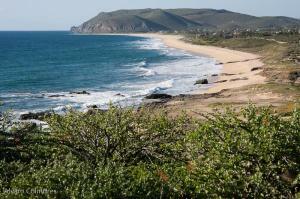 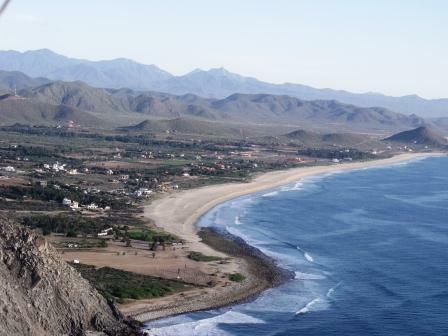 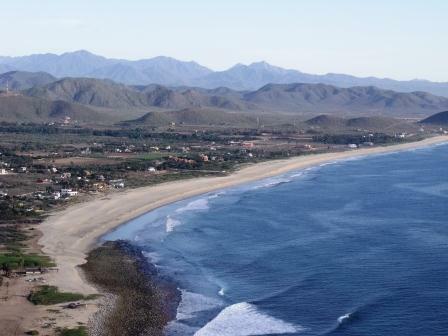 Walk out of your house to San Pedrito surf break. 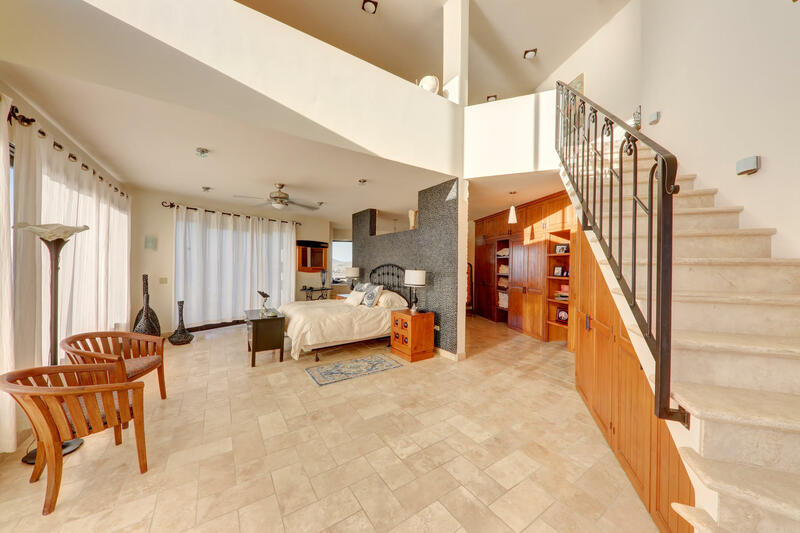 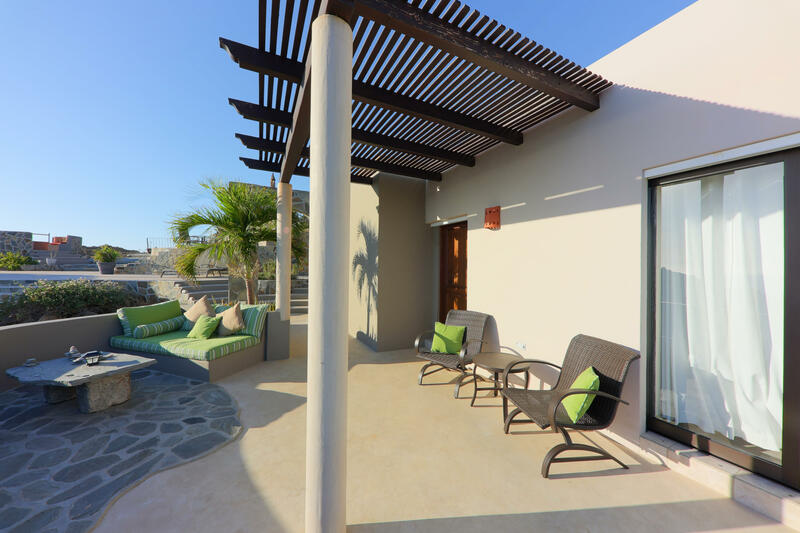 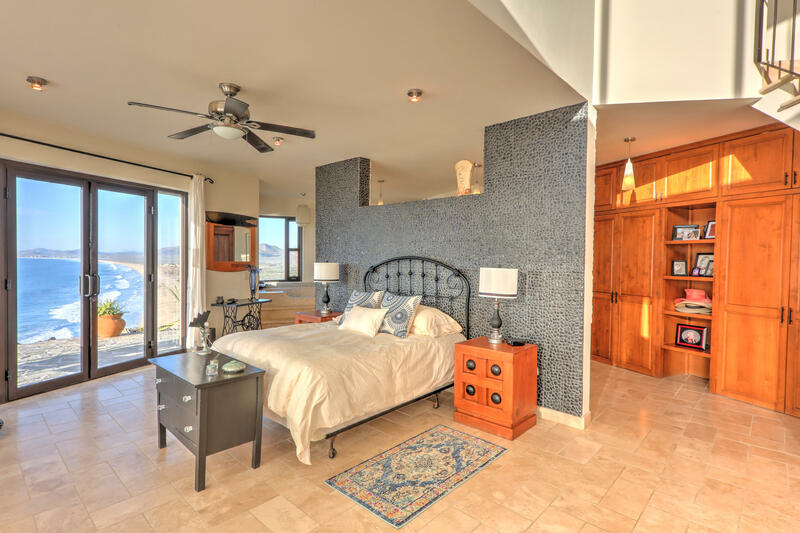 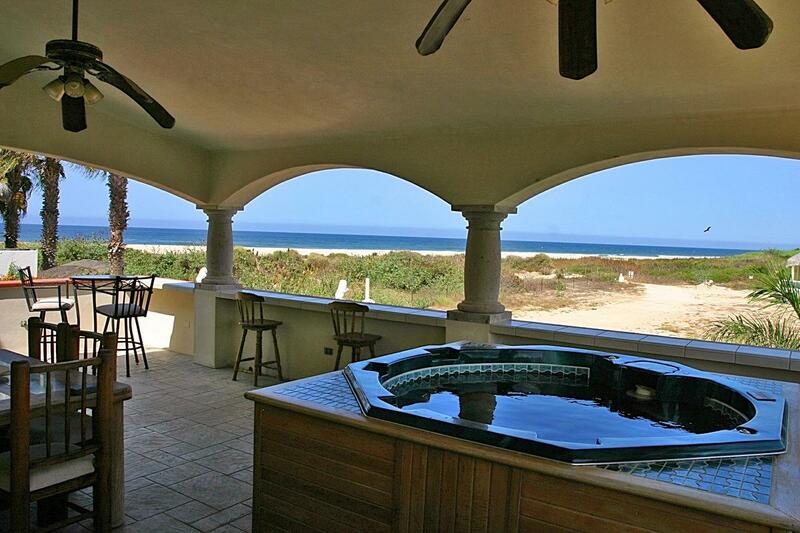 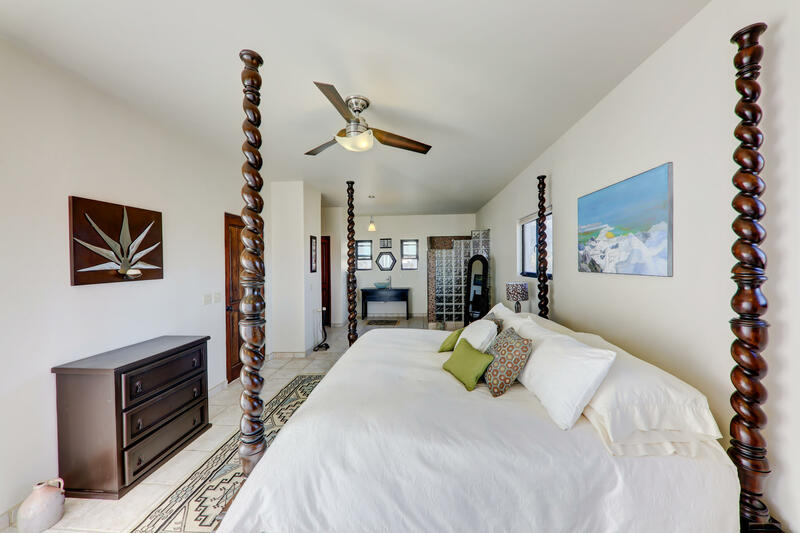 These are two individual houses both three stories with luxury beachfront rentals. 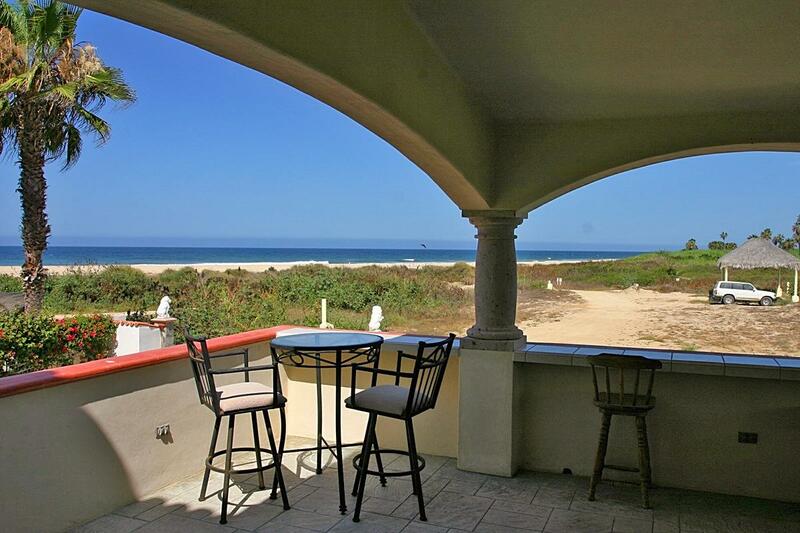 You can either have a great residence or exclusive rental units on the beach. 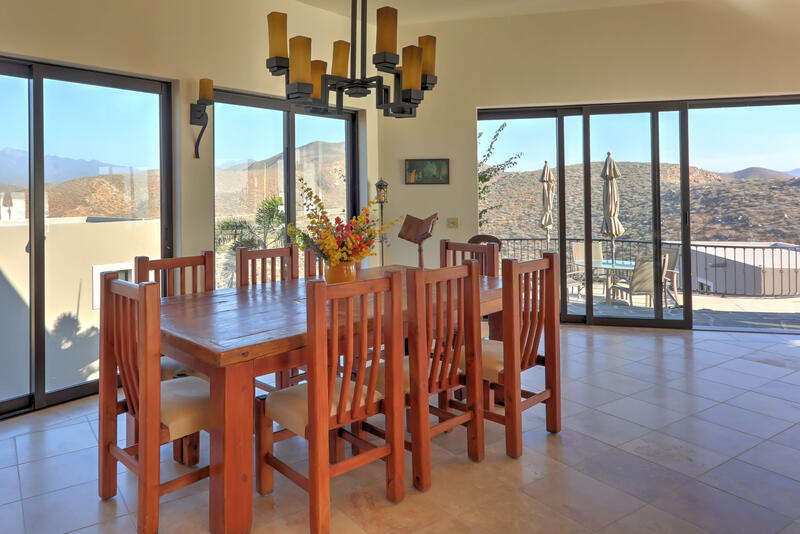 Sleeps up to 17 people with 7 bedrooms and 8 bathrooms total. 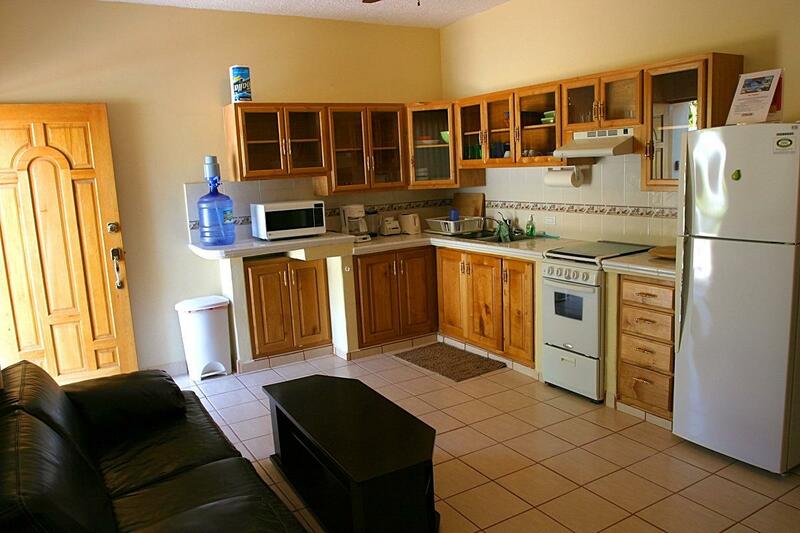 Each unit except one has it's own kitchen. 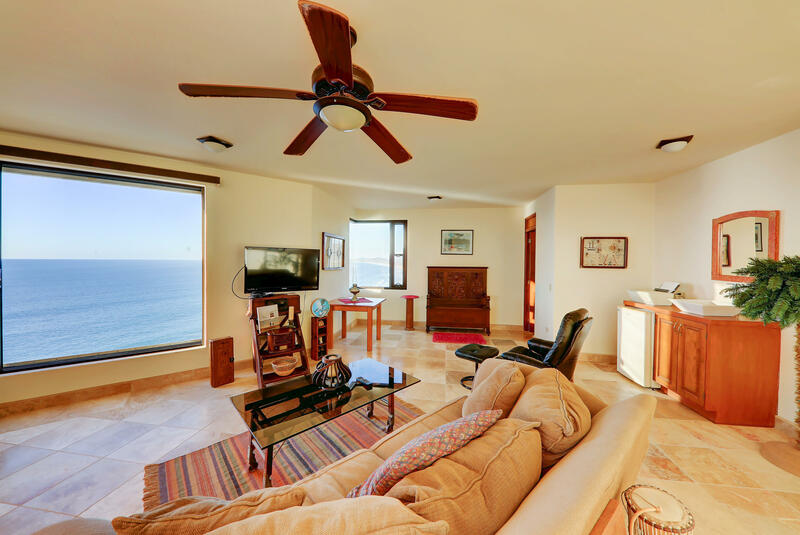 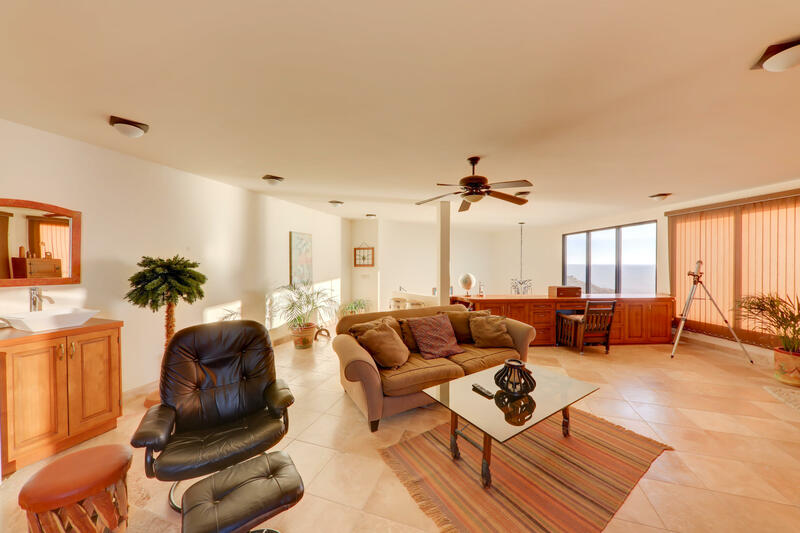 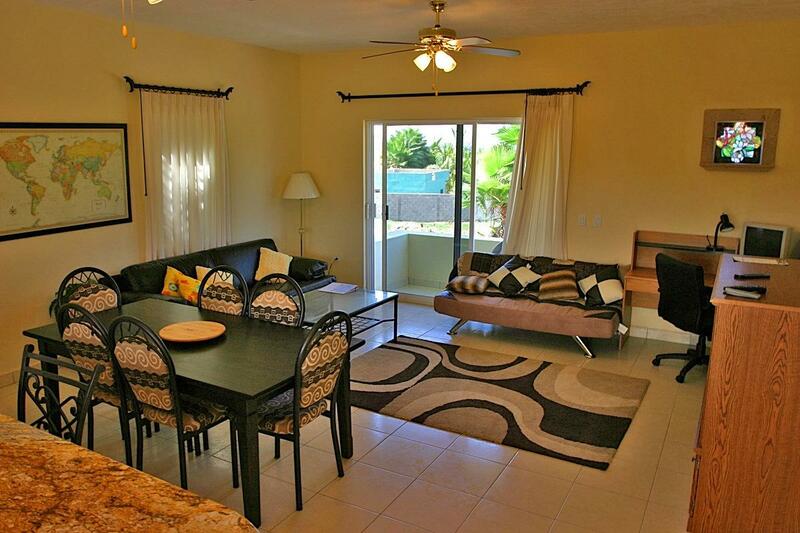 Air conditioning in each unit.Incredible views of the water and surf break. 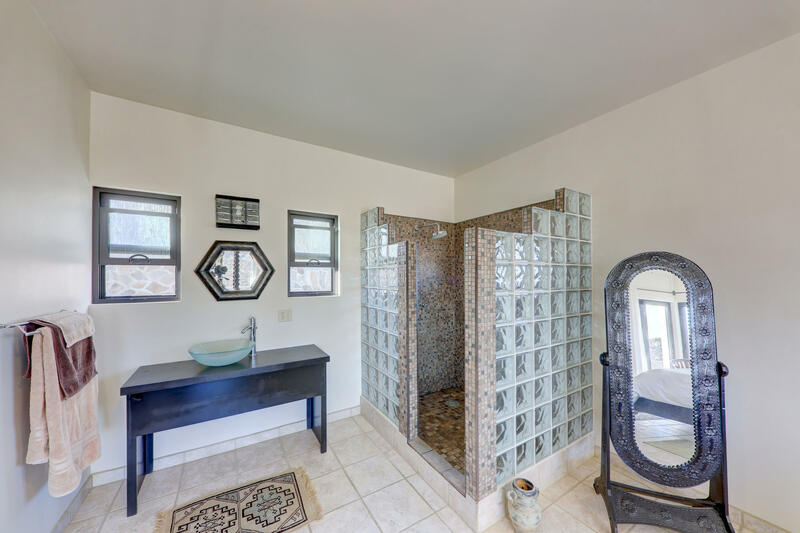 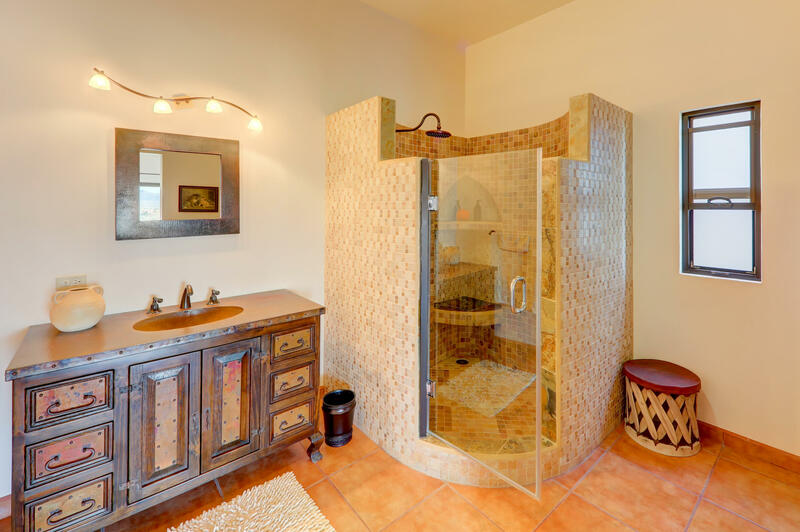 Beautiful heated pool, jacuzzi and rock, waterfall feature with lush landscaping including palms, mangos and bouganvilleas.Two separate entrances, Seven satellite TV's and high speed wireless internet available in each unit. 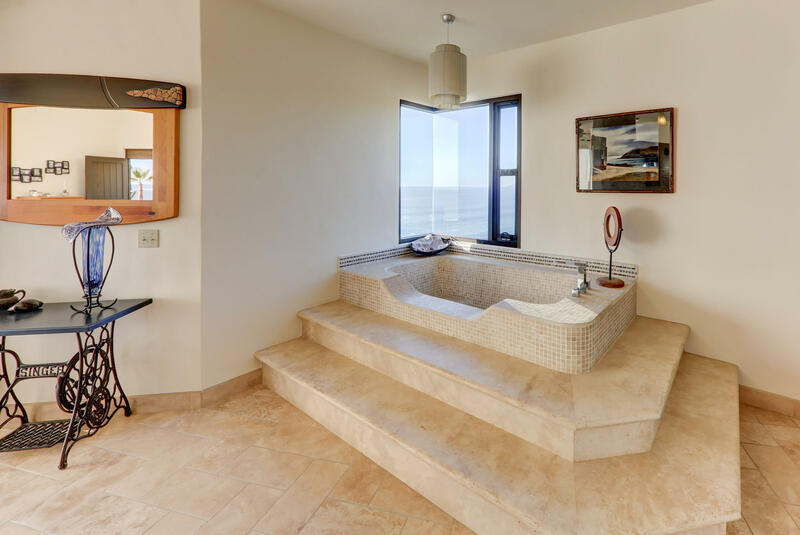 Separate jacuzzi on the front deck. 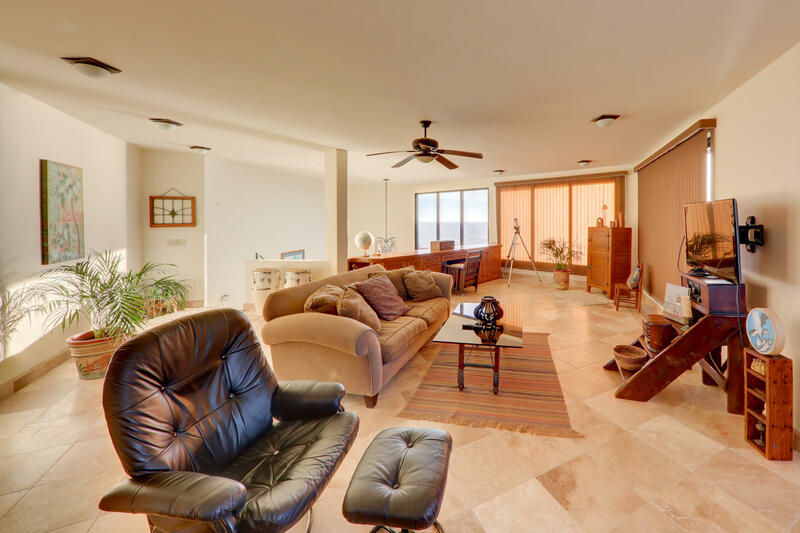 View decks on each unit. 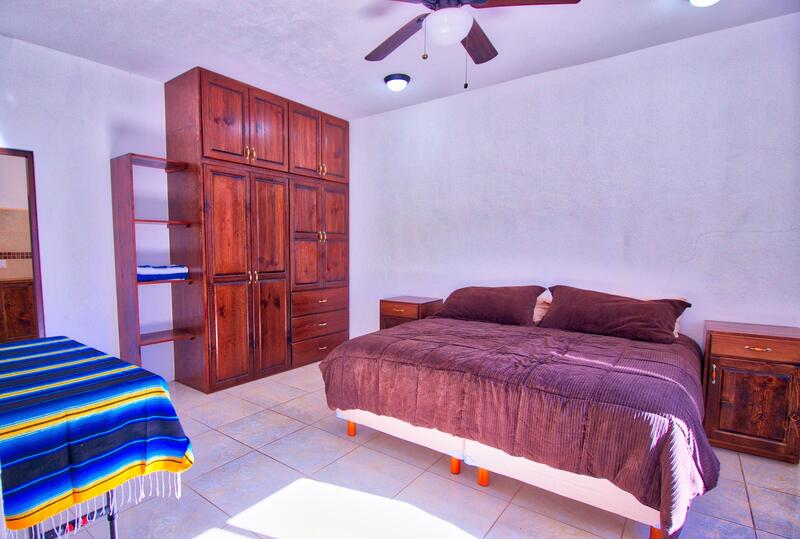 Laundry facility. 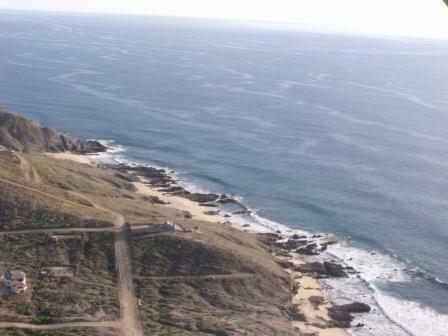 Municipal water.